We have everything you need to expand your product lineup in the areas of friction, force, motion, mass, gravity, and more! 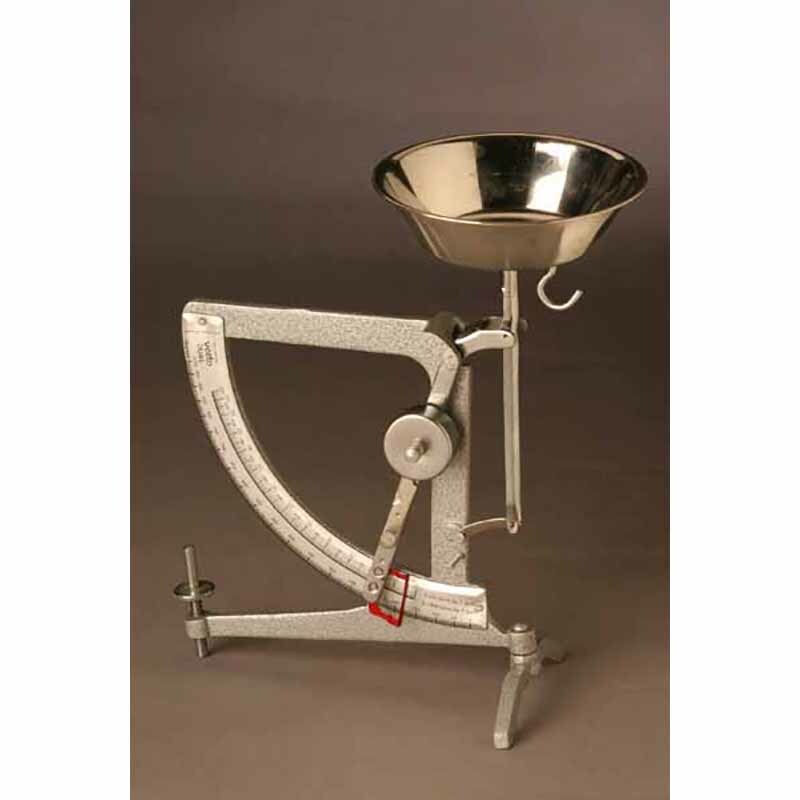 We offer you an extensive line of weights, scales, timers, masses, as well as our exclusive Newton’s Apples, Gas Law Apparatus, and Trundle Wheel. 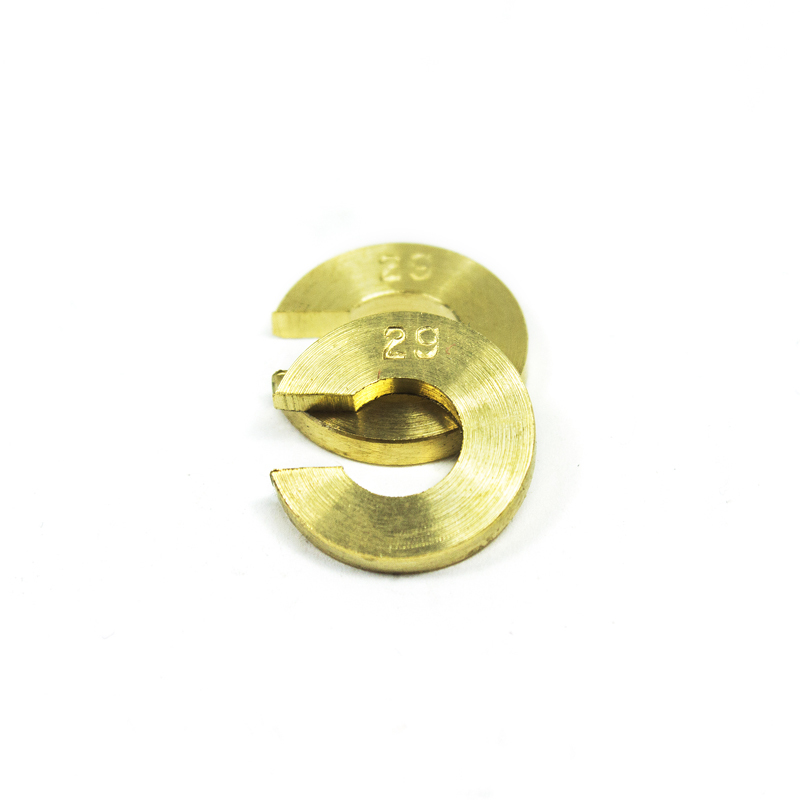 They are sure to leave a lasting impression that will entice your customers to crave more. 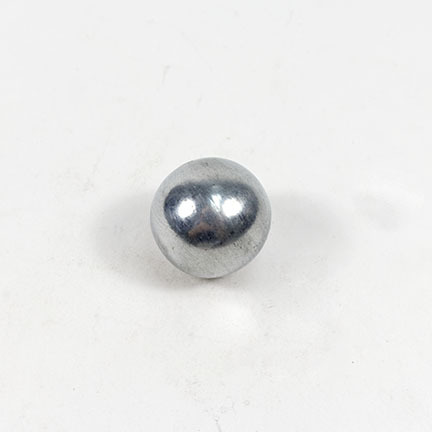 All of our solid steel balls are great for physics experiments and demonstrations! 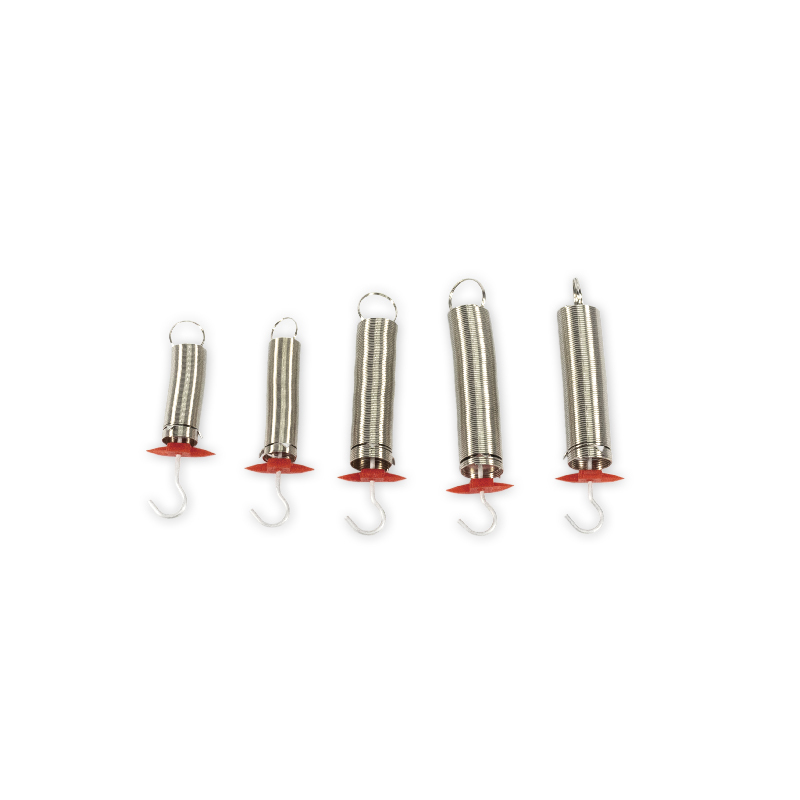 Use them for density and volume measurements, pendulum bob, potential energy and conservation experiments, ballistics, and more. 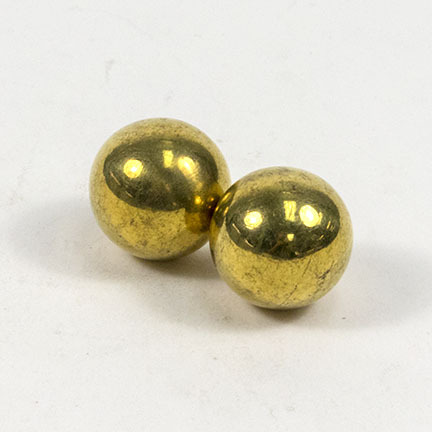 These small spheres make a useful addition to labs and classrooms. 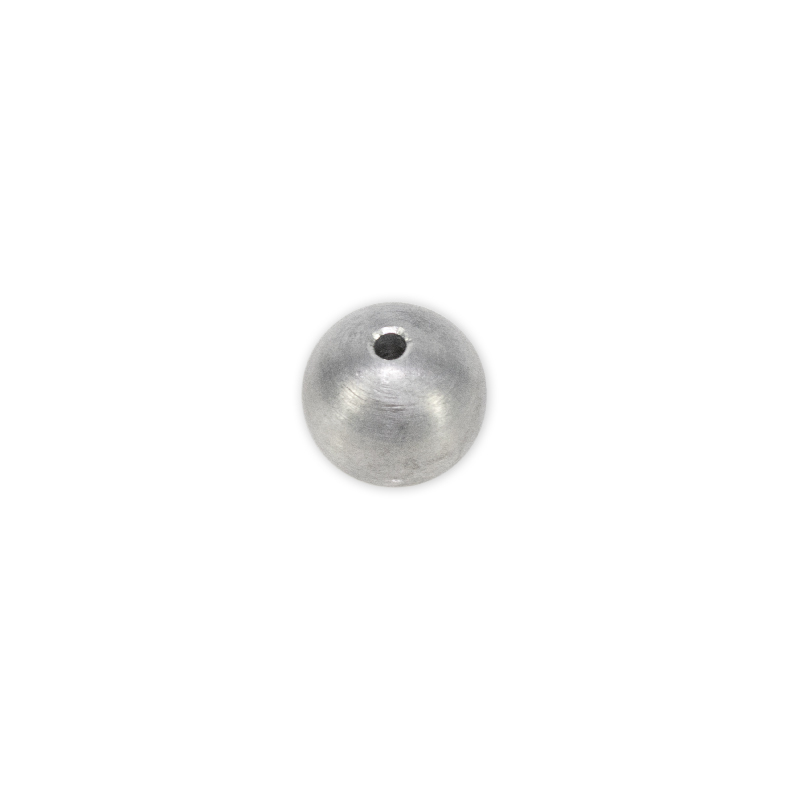 • 0.38″ (10 mm) Dia. devices can also serve as unique tools in STEM education, as educators seek out exciting opportunities to engage students and promote a mindset of creativity and innovation. 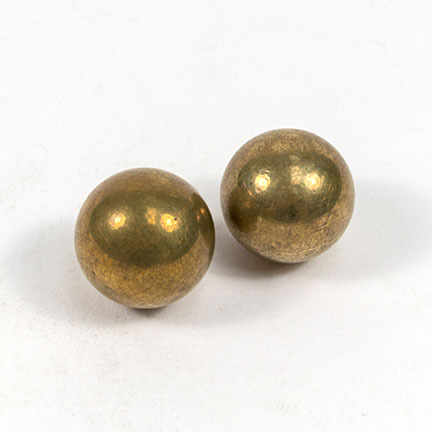 Use these solid steel balls for a multitude of scientific applications. 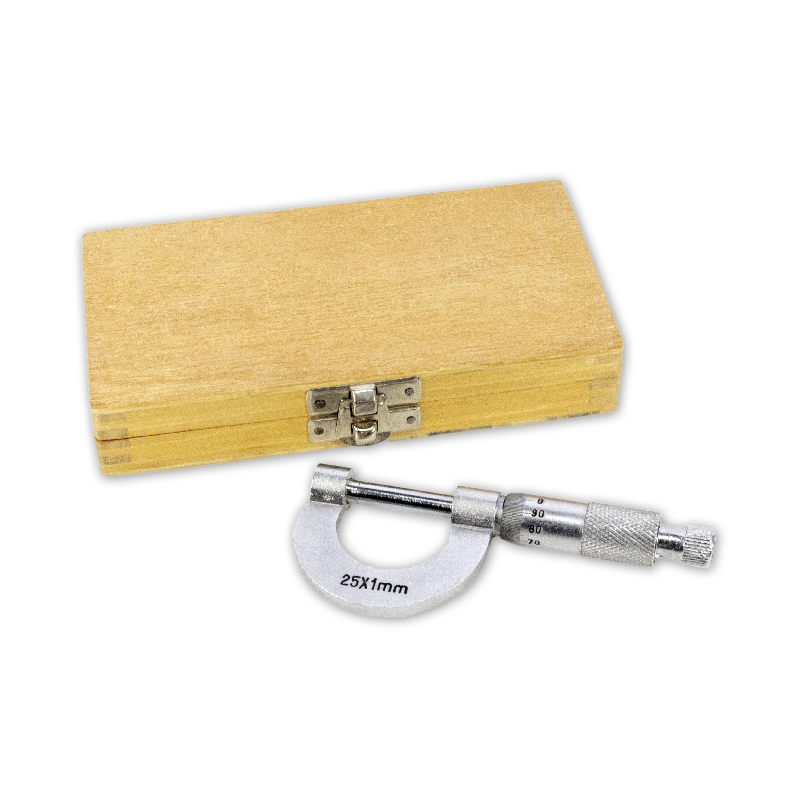 Get the most out of your Perfect Series Kit (Perfect 600 Robotics Stem Kit, Item #3570-60) with this great add-on set. 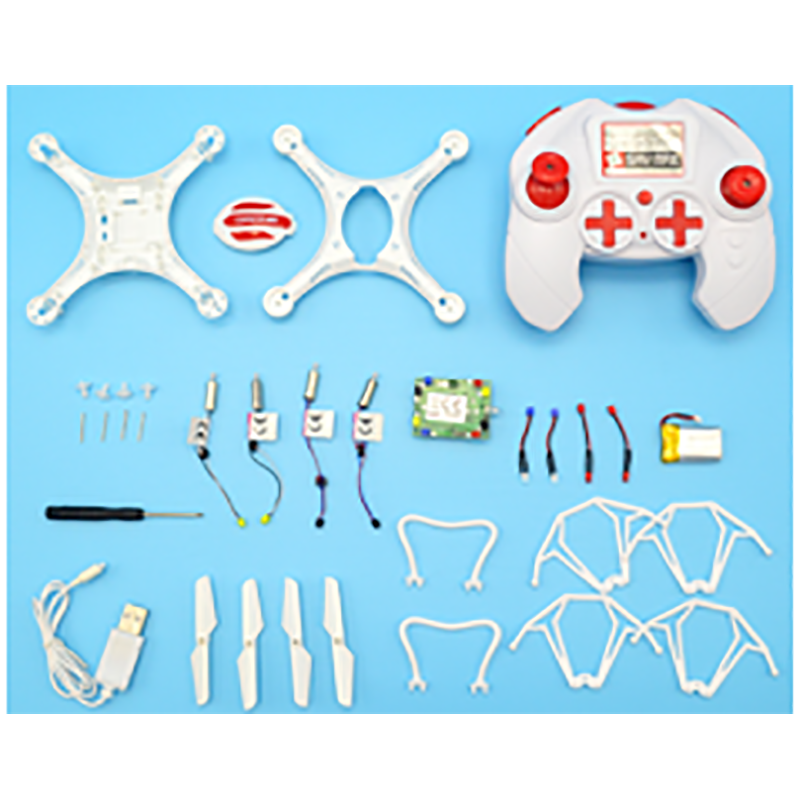 The kit includes a remote control, receiver capsule, battery compartments, wires, connectors, and spare parts. 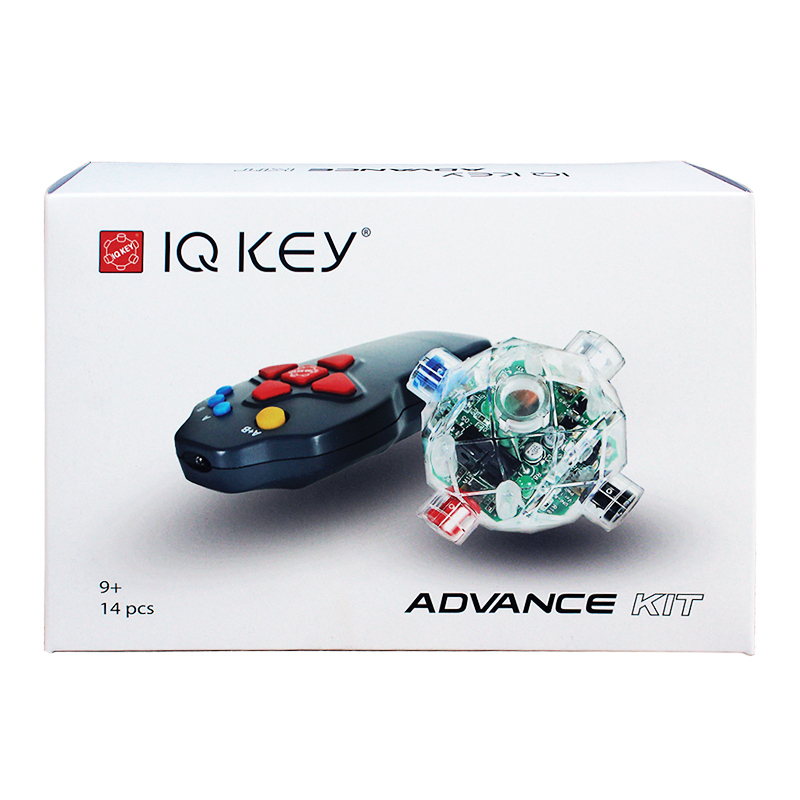 By adding the IQ Key Advance Kit, you will be able to build even more machines and discover new ways to transfer and transform energy. Learn about wireless controllers and connections by incorporating the wireless remote control and the receiver capsule into new or existing models. 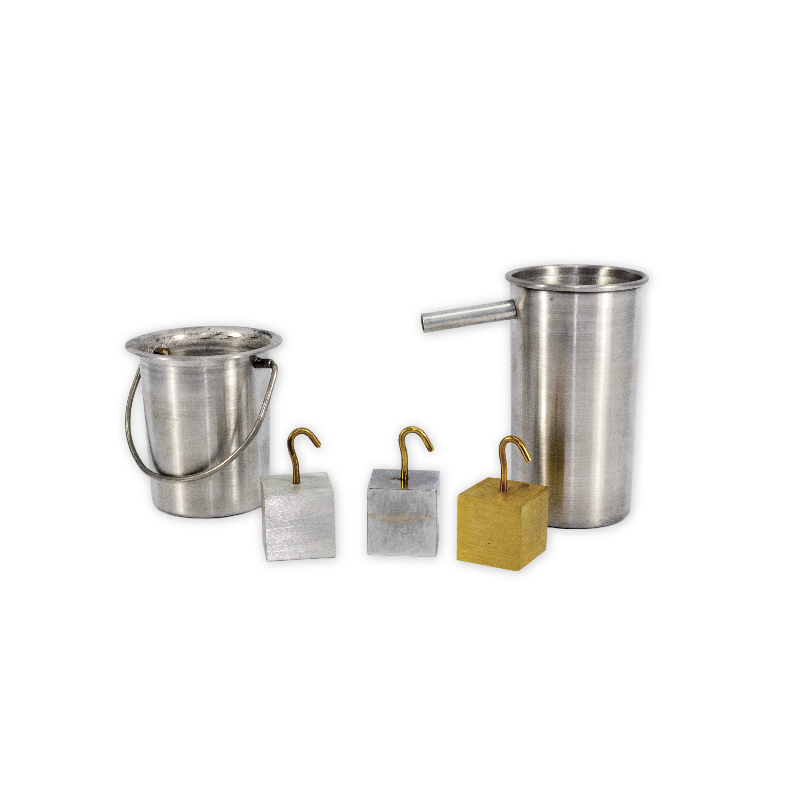 This set includes 1 cube each of aluminum, brass, copper, iron, lead, and zinc without hook. 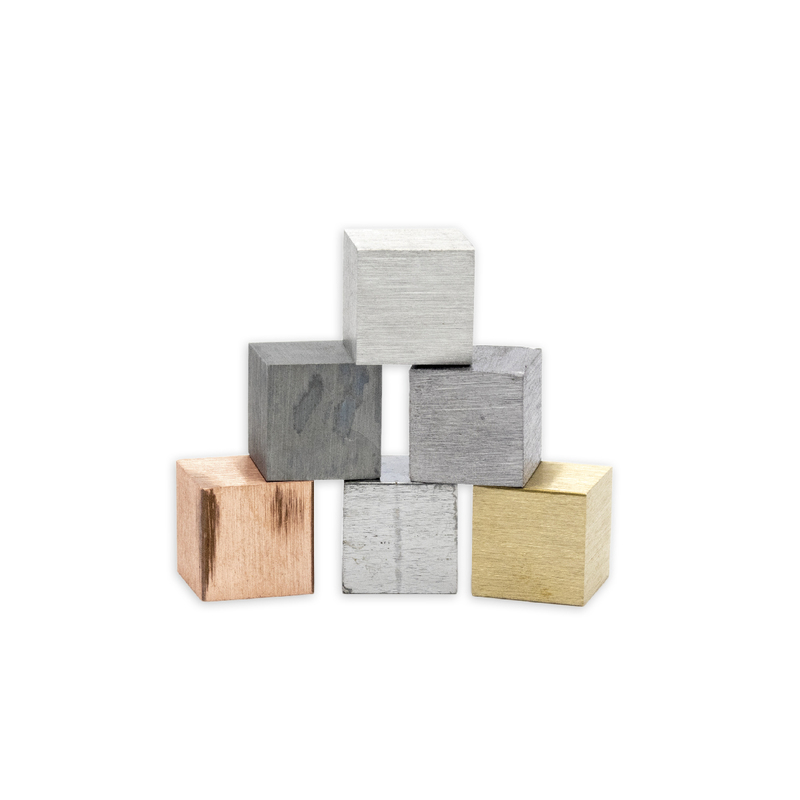 The cubes are ideal for showing students properties of metals. They can be used to easily illustrate the concept of density. 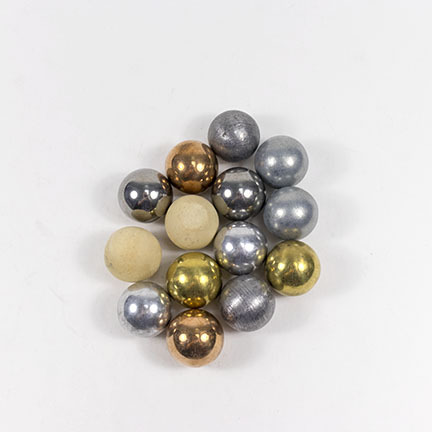 Use these masses for general science and physics laboratory work. 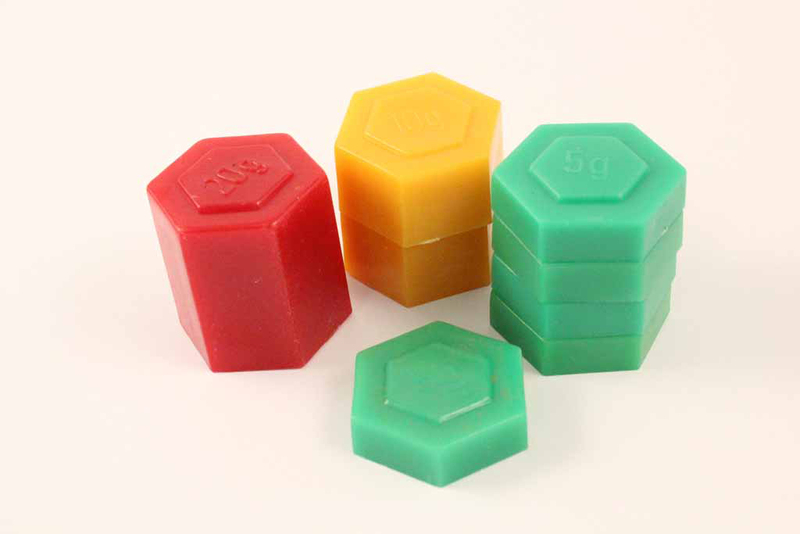 They are supplied in a plastic block. 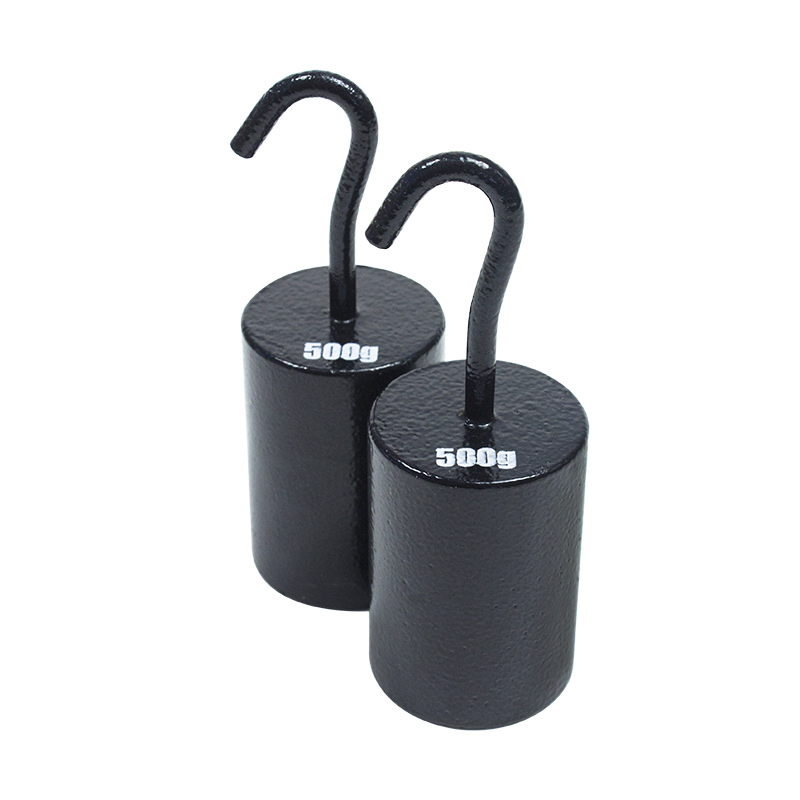 The set includes masses with hooks: 1 each of 10 g, 50 g, 100 g, 2 each of 20 g and 200 g, (all made of plated brass) and one each of 500 g and 1000 g (both made of cast iron, enameled finish). 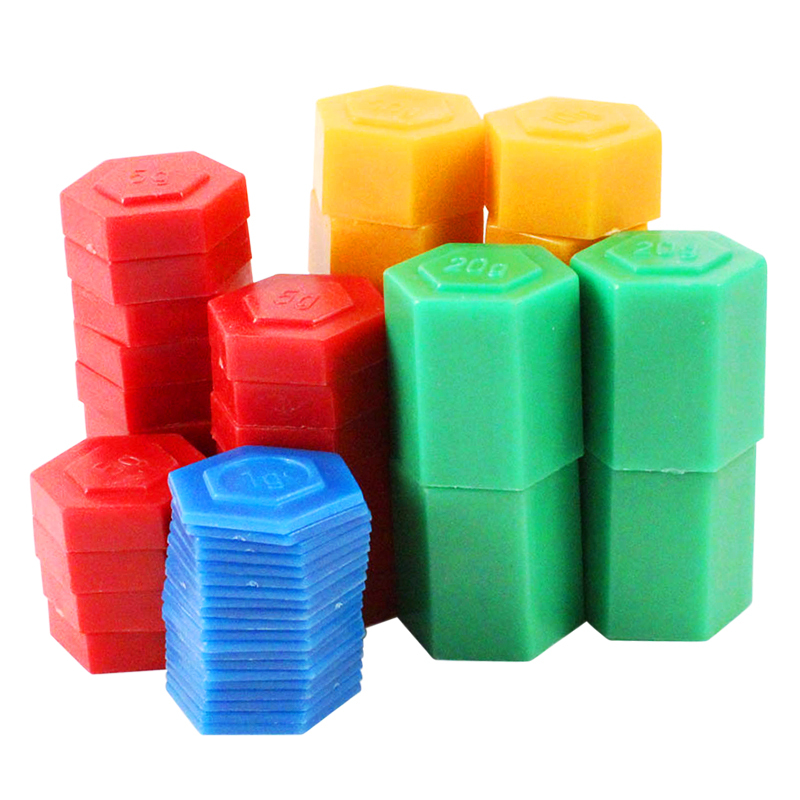 This set of 54 includes twenty (20) 1 g (blue), twenty (20) 5 g (red), ten (10) 10 g (yellow), and four (4) 20 g (green) weights. 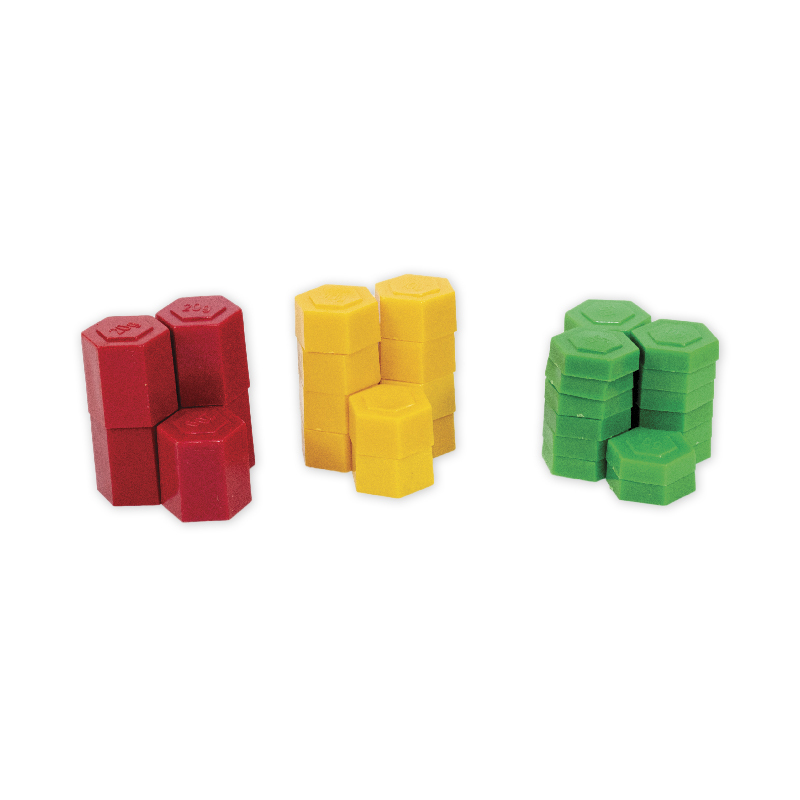 These colored and coded stacking masses help children see mass relationships at a glance. Each color represents a different thickness and mass. 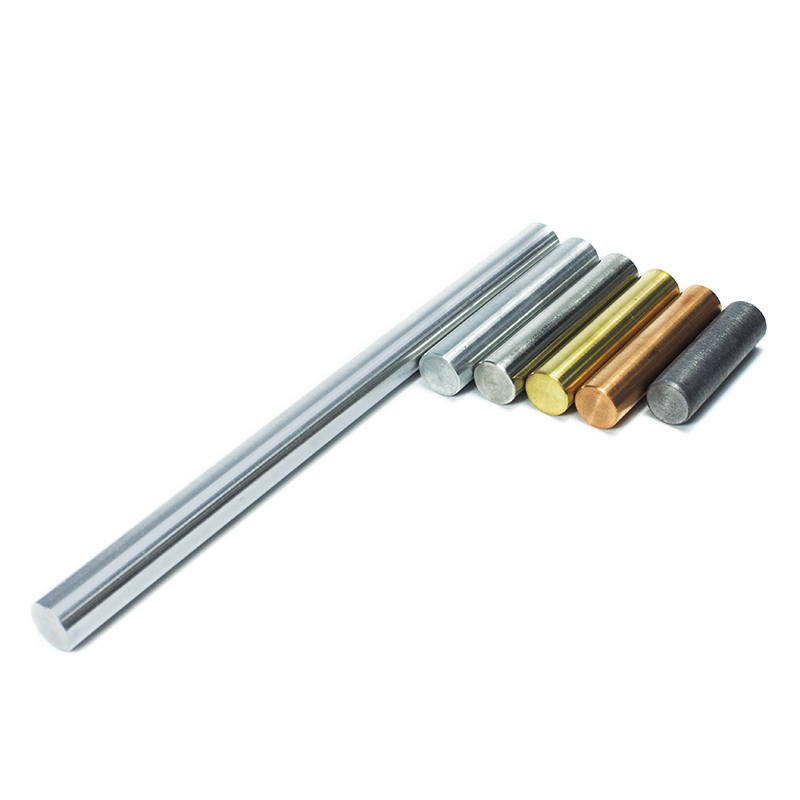 Use this set to prove the inverse relationship between the density and the length of cylinders of equal mass and diameter. 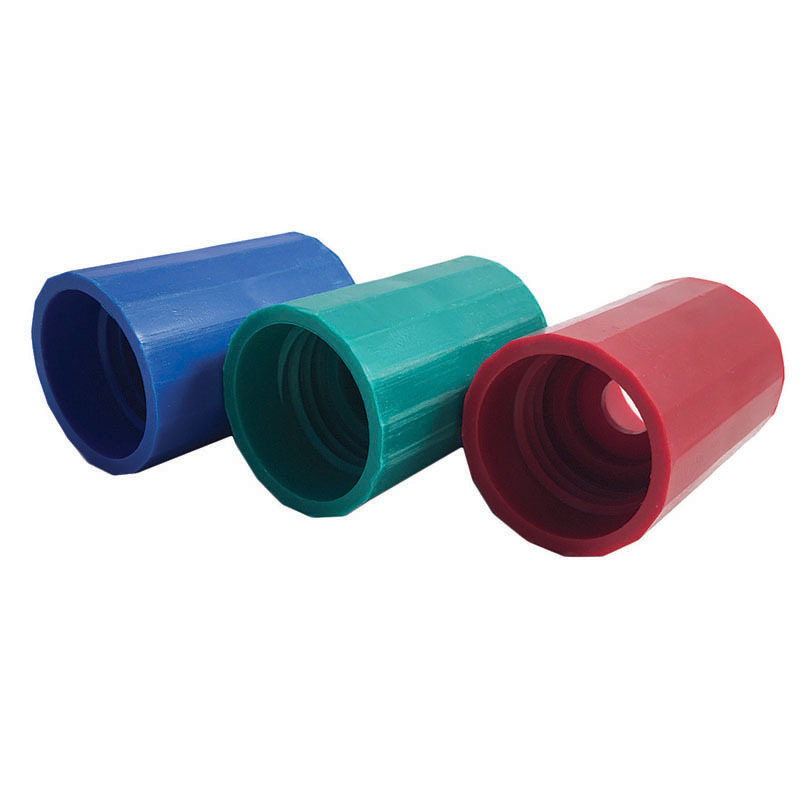 Note: Similar-density cylinders made of materials like nylon, polyvinyl chloride, and polyethylene can also be supplied. 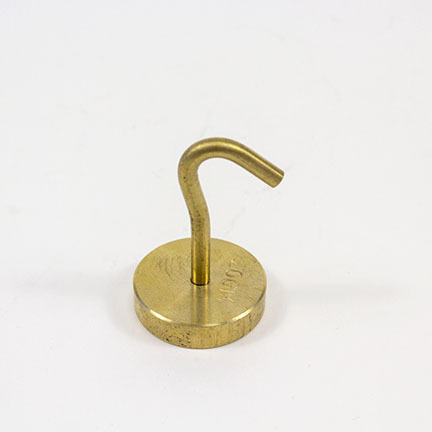 Polished brass weights are slotted and supplied on a metal rack with a 50 g brass hanger. 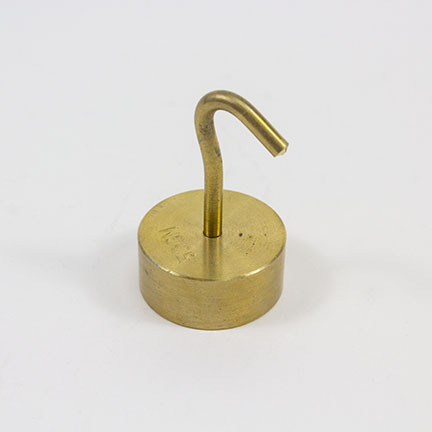 Use these weights in physics demonstrations and experiments. They are compact and designed for easy storage. 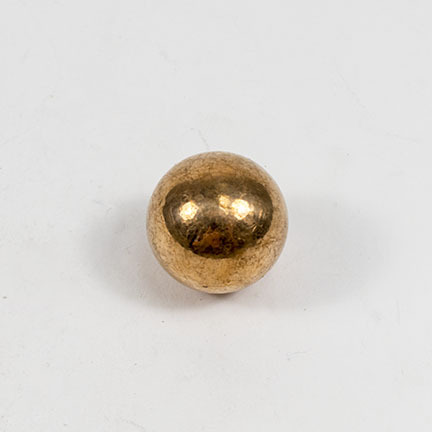 This mass is for use with Item #3410-08. 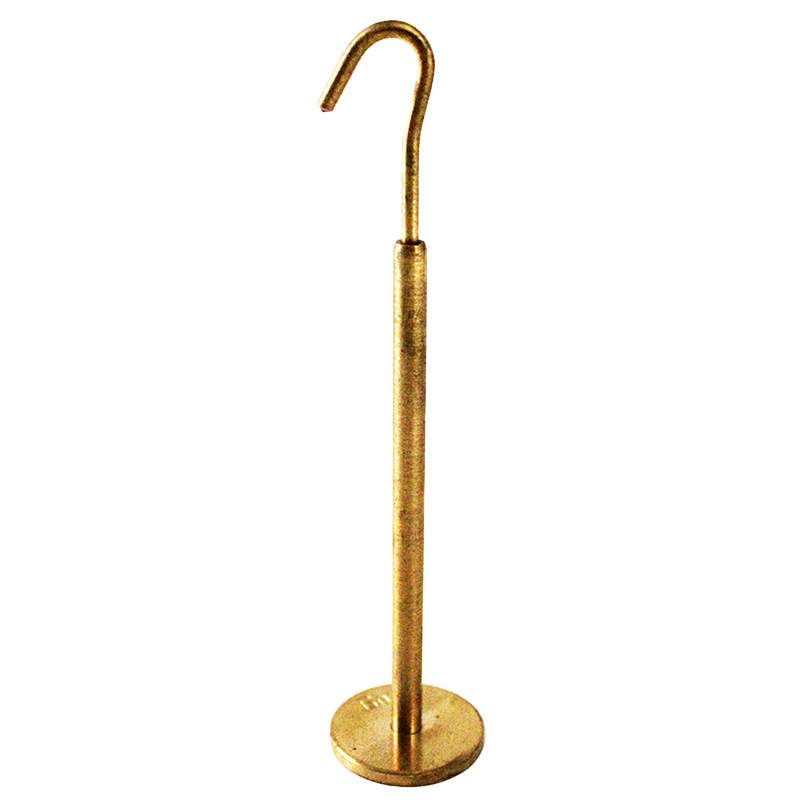 It is made of brass and has a standard slot. The mass is useful for physics demonstrations. 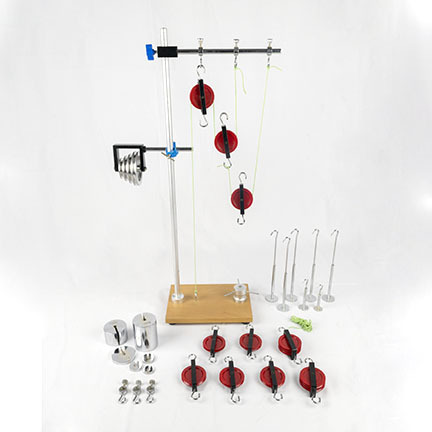 This Pulley Demonstration Set is perfect for testing quantitative theories involving fixed and moveable pulleys. 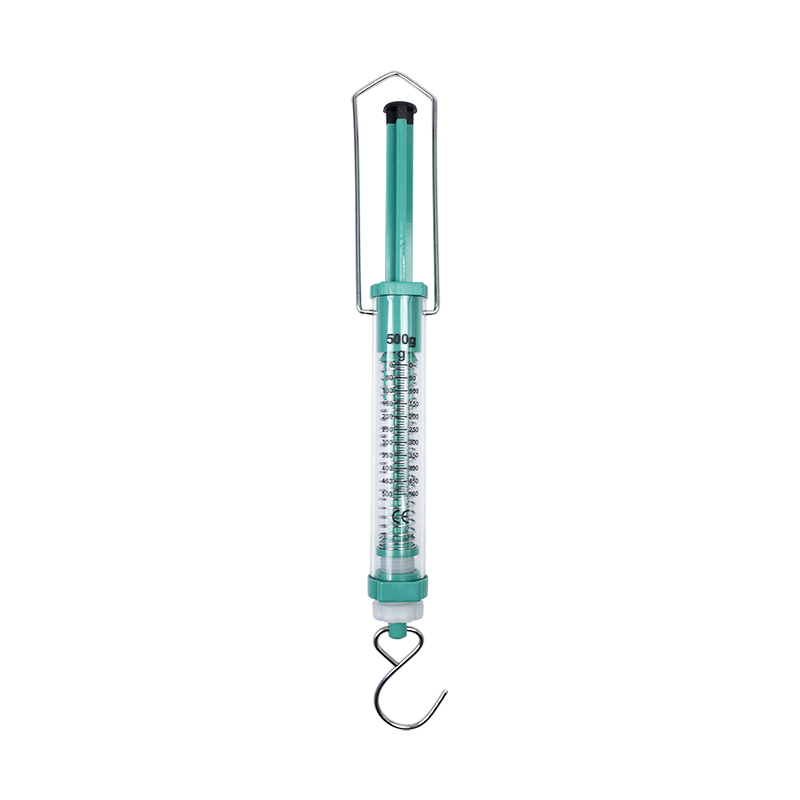 Use this product to find the volume, density, and specific gravity of an object. 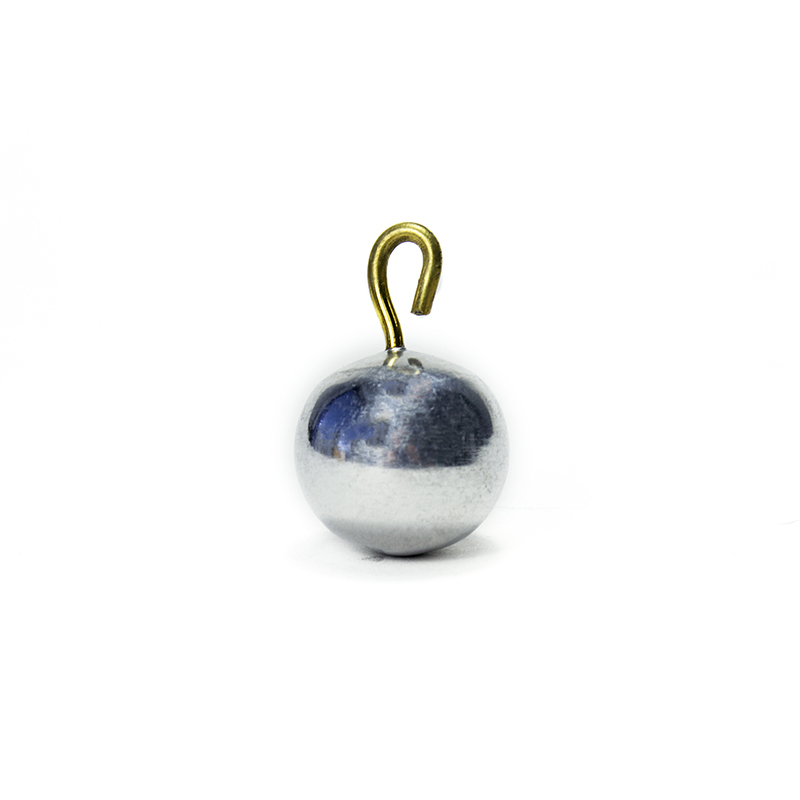 Feel the force of 1 Newton and learn about how scientists measure force. These apples are a useful prop for classrooms. They are great for illustrating the principles of physics. 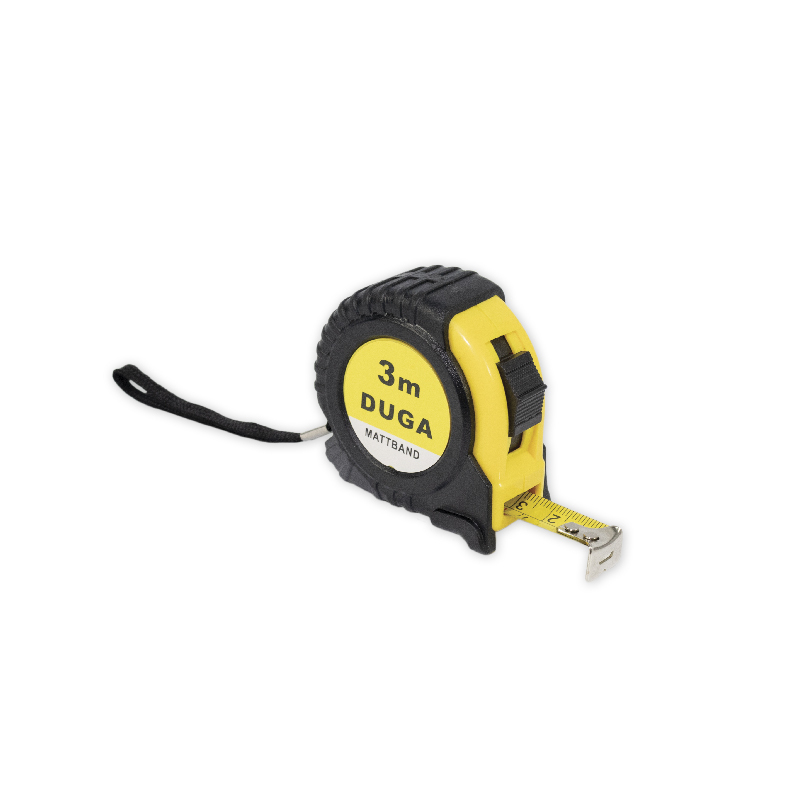 This item is a reinforced plastic measuring tape. It measures 60″ on one side and 150 cm on the other side. 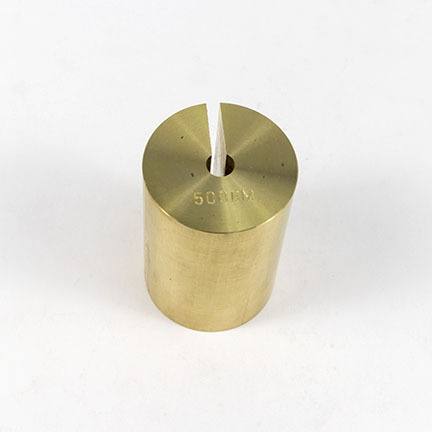 This Glass Bell Jar is a replacement part for our Vacuum Bell Jar Demo (6080-01). 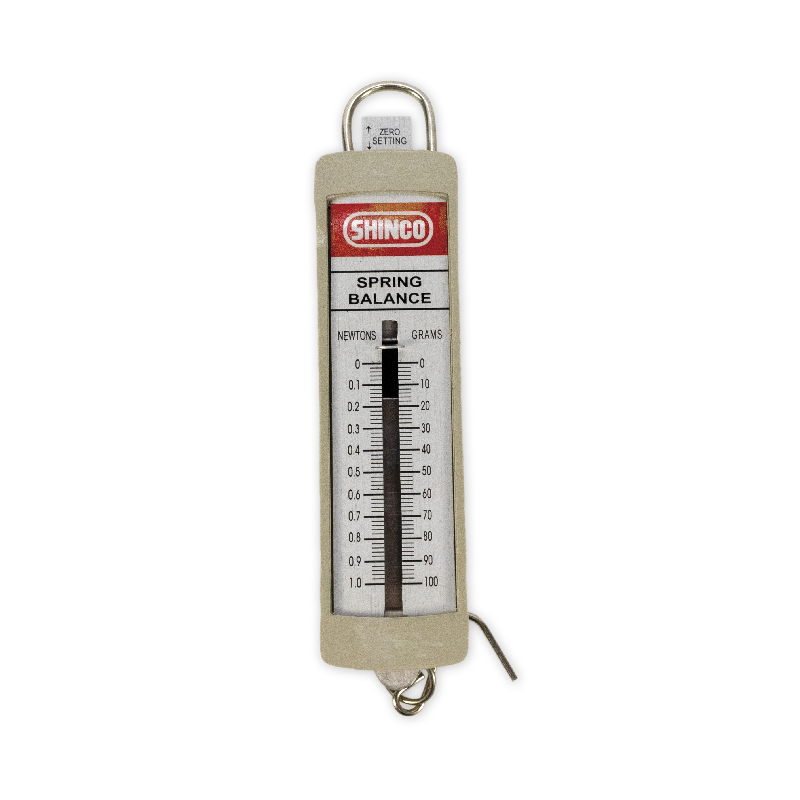 Use this gauge to measure the air pressure inside of a ball. 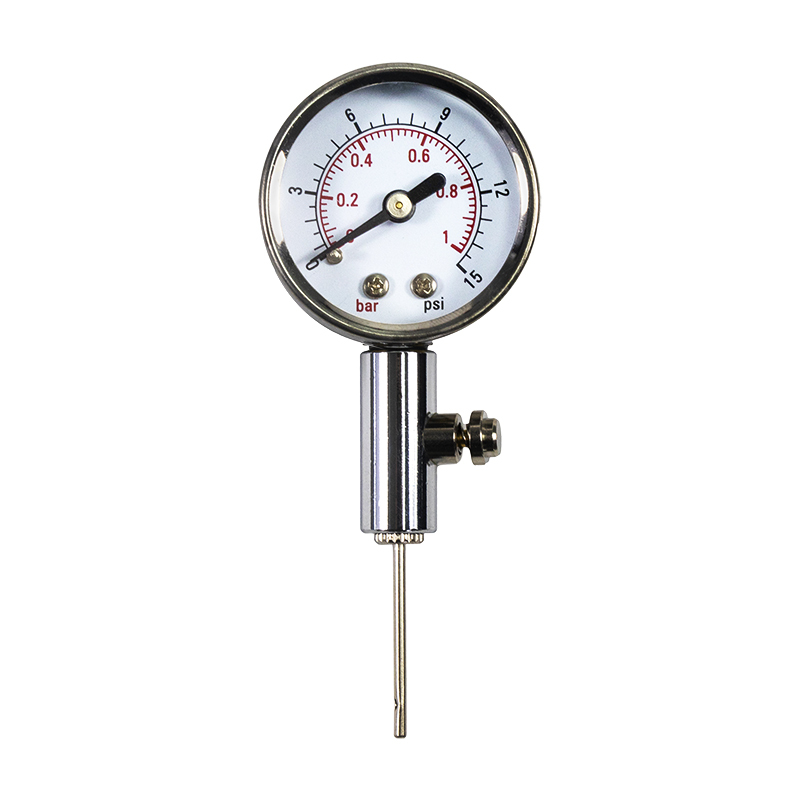 Inflatable balls will be filled to the proper pressure with the help of this gauge. 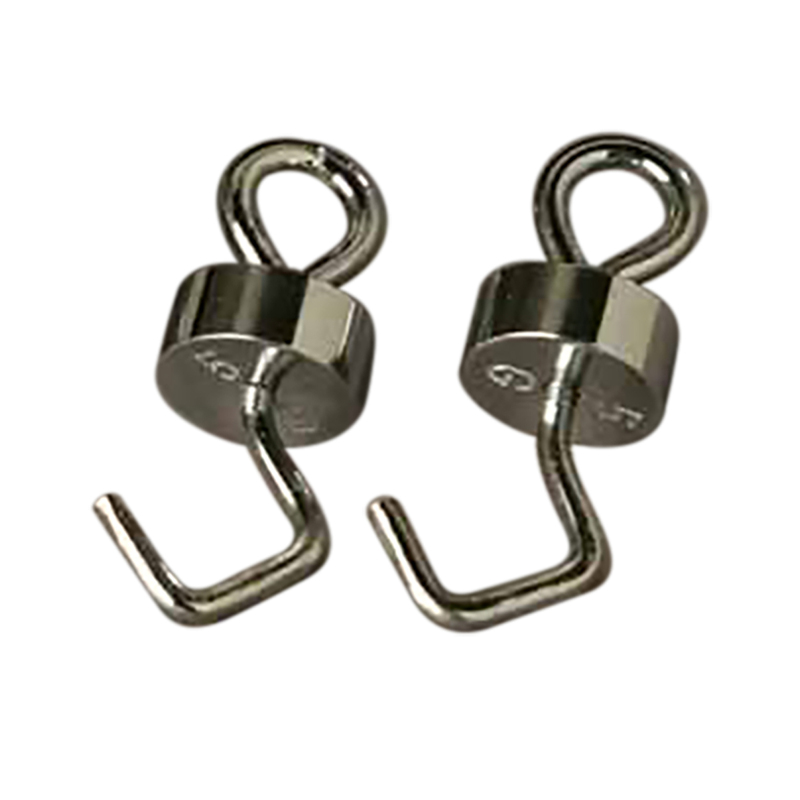 Use these weights for general science and physics laboratory work. 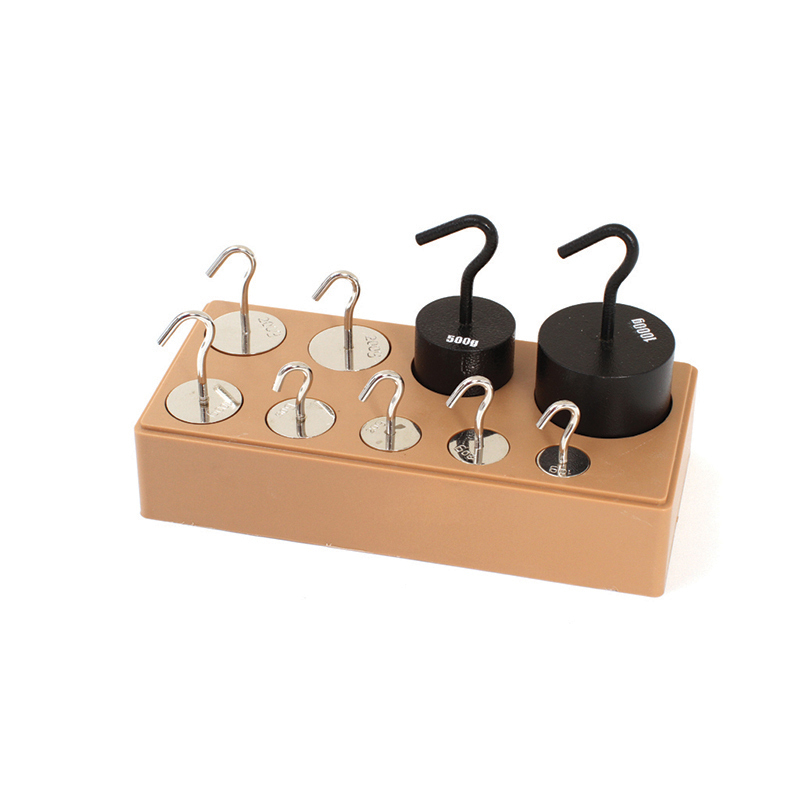 Each weight has a hook for added convenience. 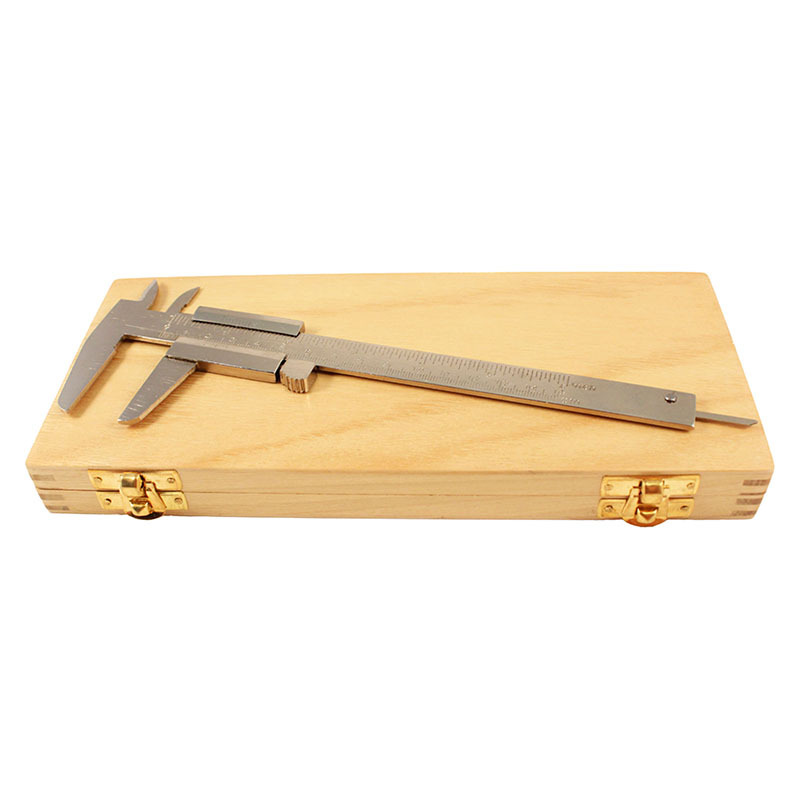 They are great for use with scales or in experiments. 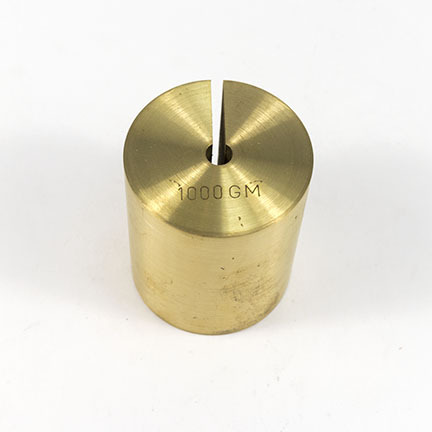 Use this weight for general science and physics laboratory work. 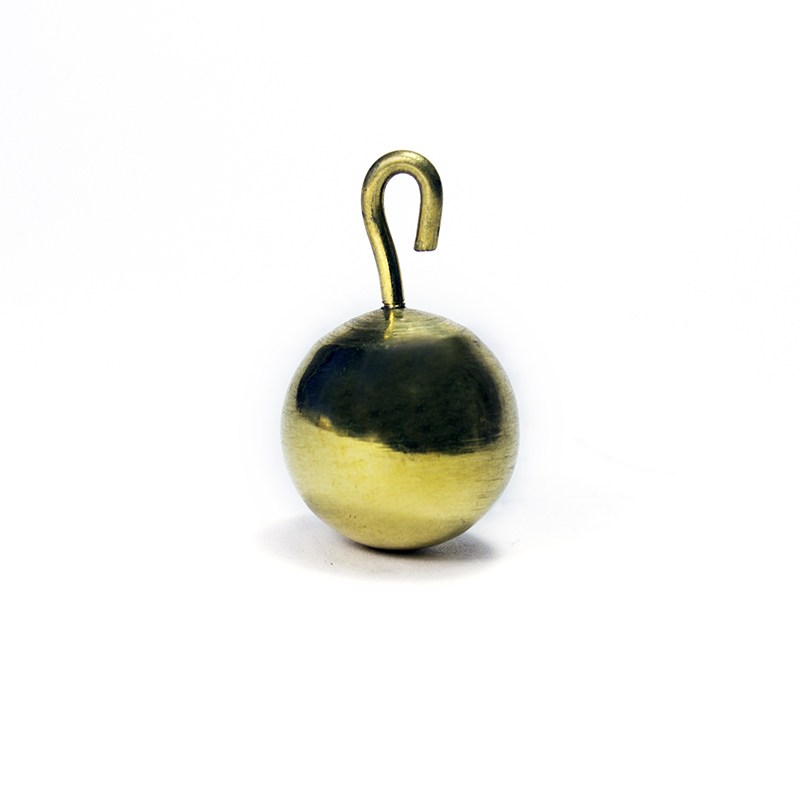 Each weight has a hook for added convenience. 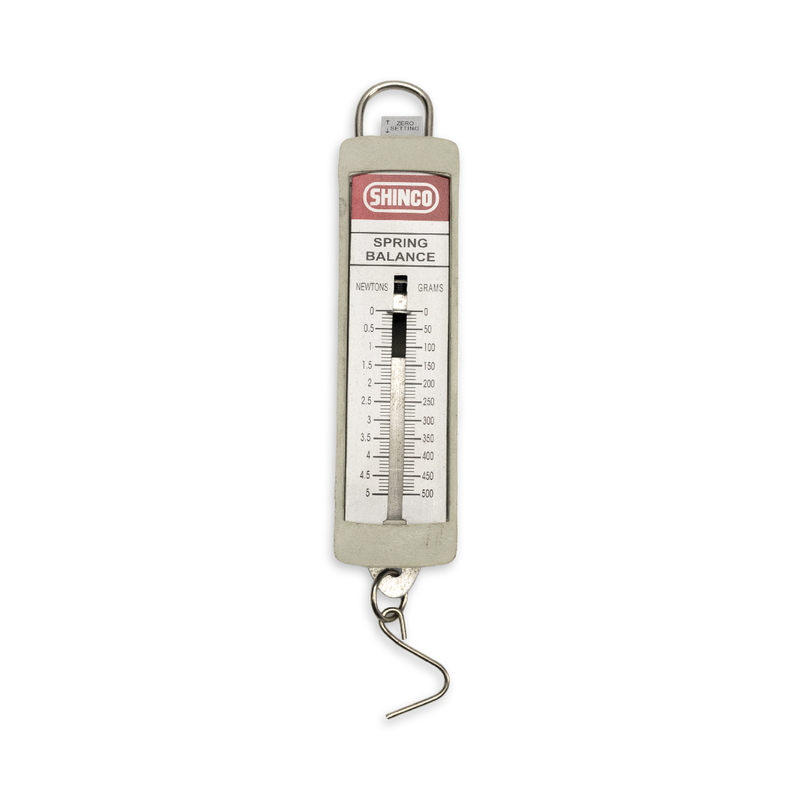 The weight is great for use with scales or in experiments. Discover air pressure like never before. 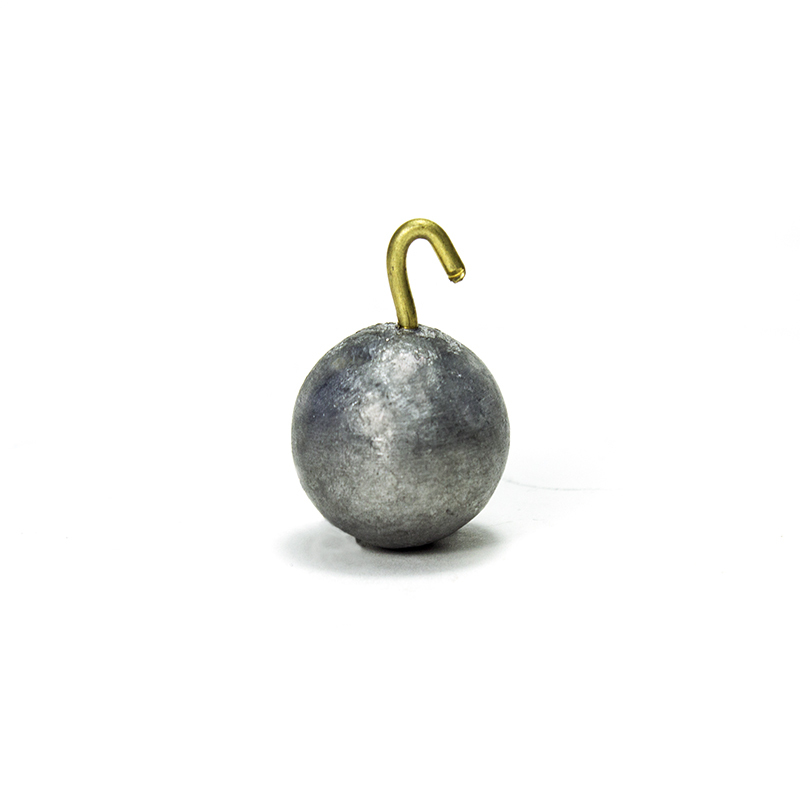 With just a balloon and a bottle, this item has the “WOW” factor you have been searching for! Simply place the balloon into the opening of the bottle and stretch the mouth of the balloon over the mouth of the bottle. 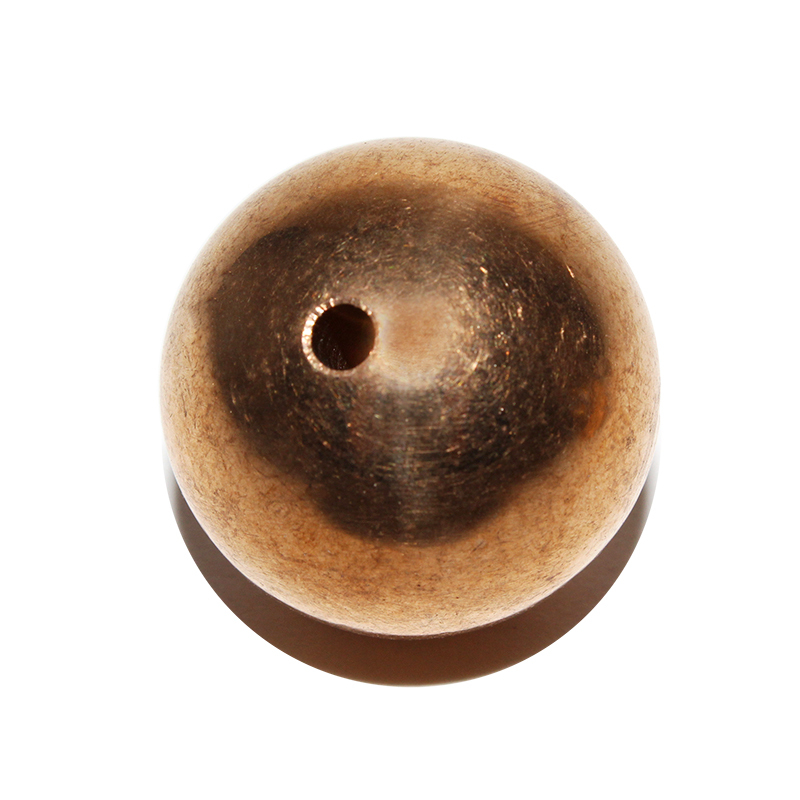 Blow into the balloon and, when it is fully inflated, close the bottom hole of the bottle with a stopper. The normal air pressure from outside allows the balloon to stay inflated! There is no twisting or tying required. 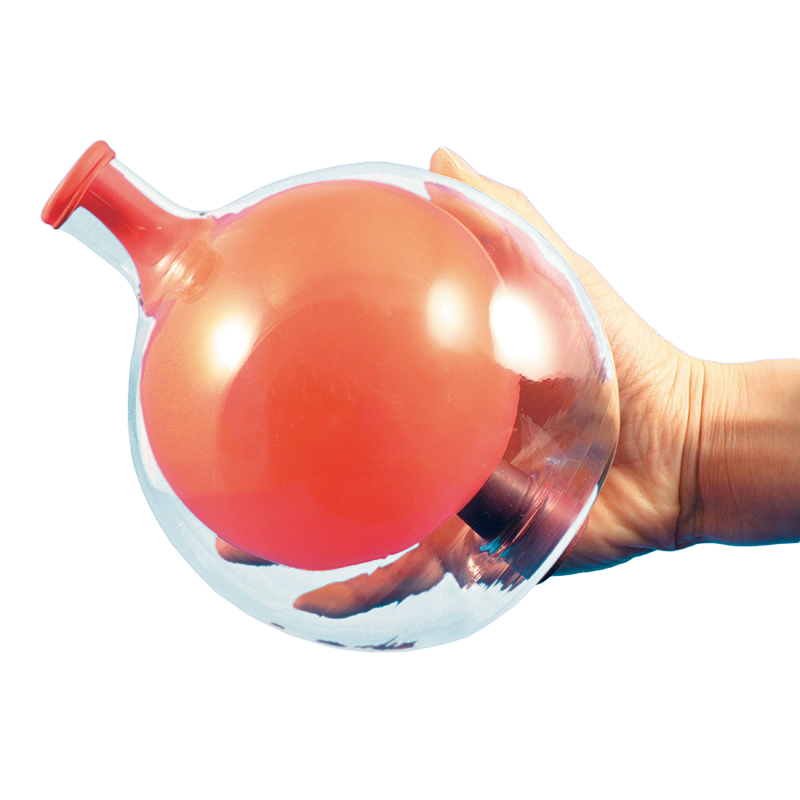 Astonish your students even more with the strength of air pressure by filling the balloon with water before releasing the stopper! This is an excellent teaching tool for introducing pressure and discussing its applications, such as vacuum cleaners, flight, pumps, weather, and even how we breathe. 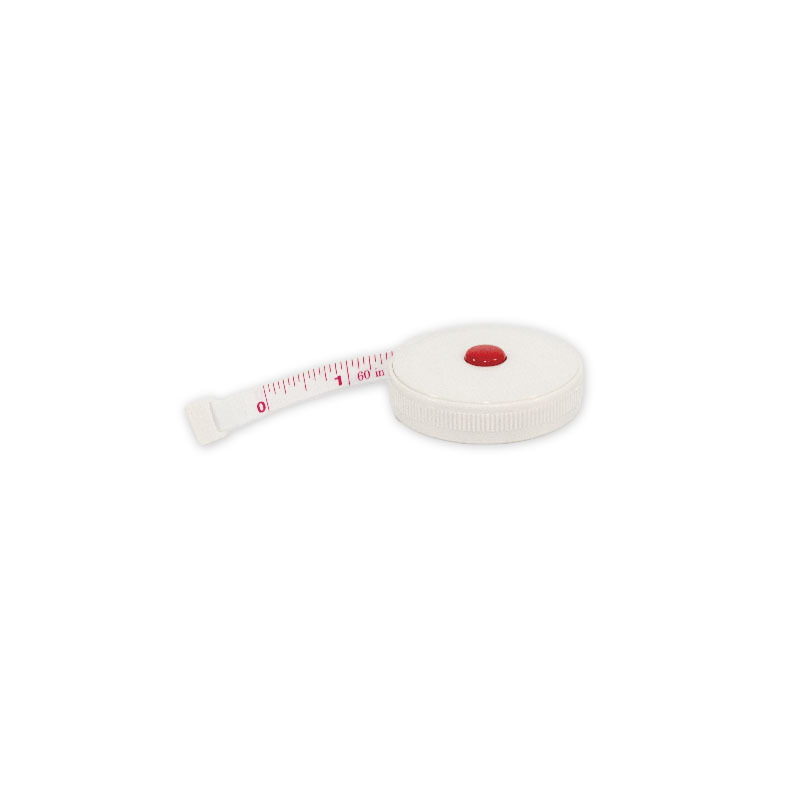 These metric/English retractable tapes are housed in an impact-resistant plastic case with fiberglass tape. They were designed to meet the rigors of the classroom. 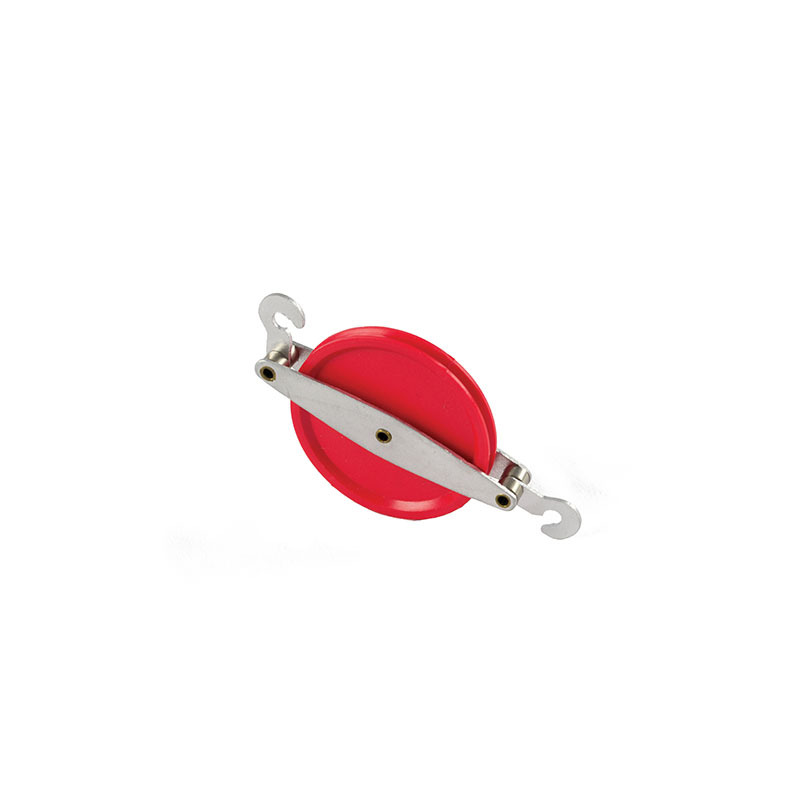 The tape locks and holds into position, and automatically retracts at the touch of a button. 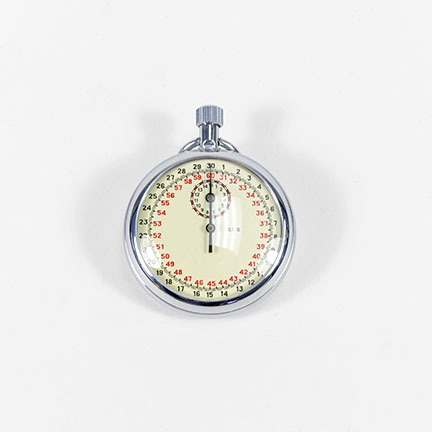 This stopwatch is a must for all sport and technical applications. 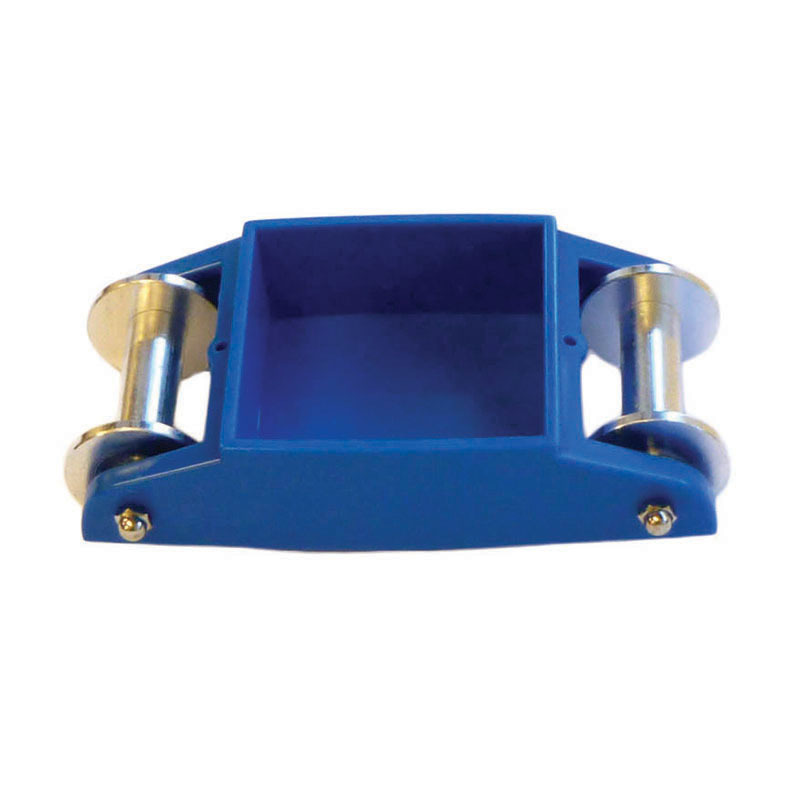 It is designed for easy handheld use. 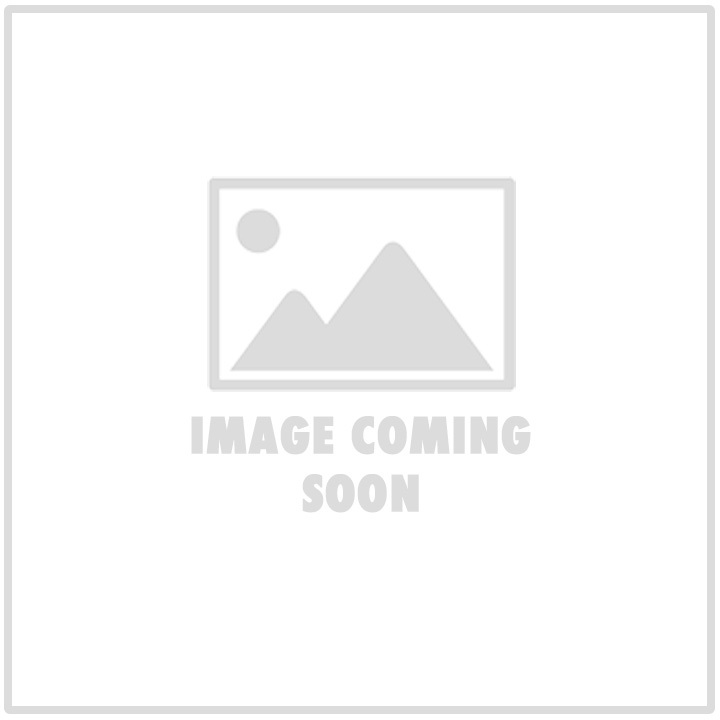 A lanyard allows it to be worn around the neck. 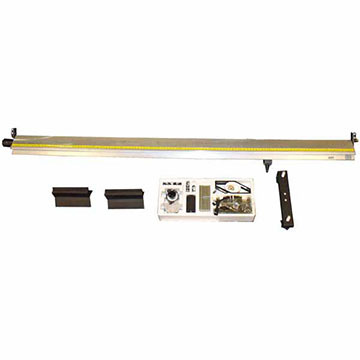 Measure forces at work precisely and reliably through fun experiments with this high-quality and versatile inclined plane! 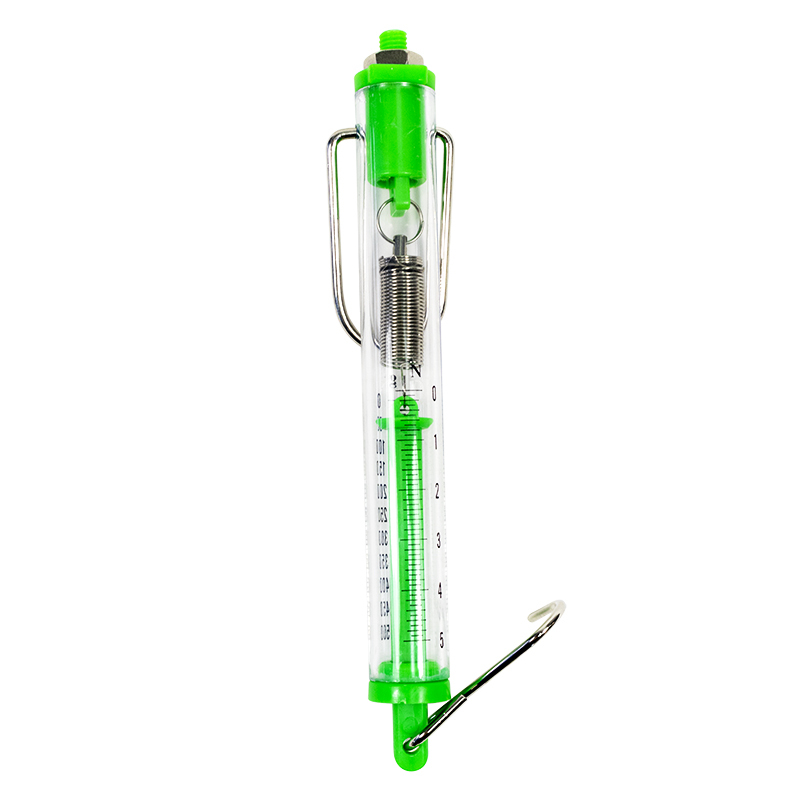 It’s perfect for experiments involving gravity, acceleration, and forces. 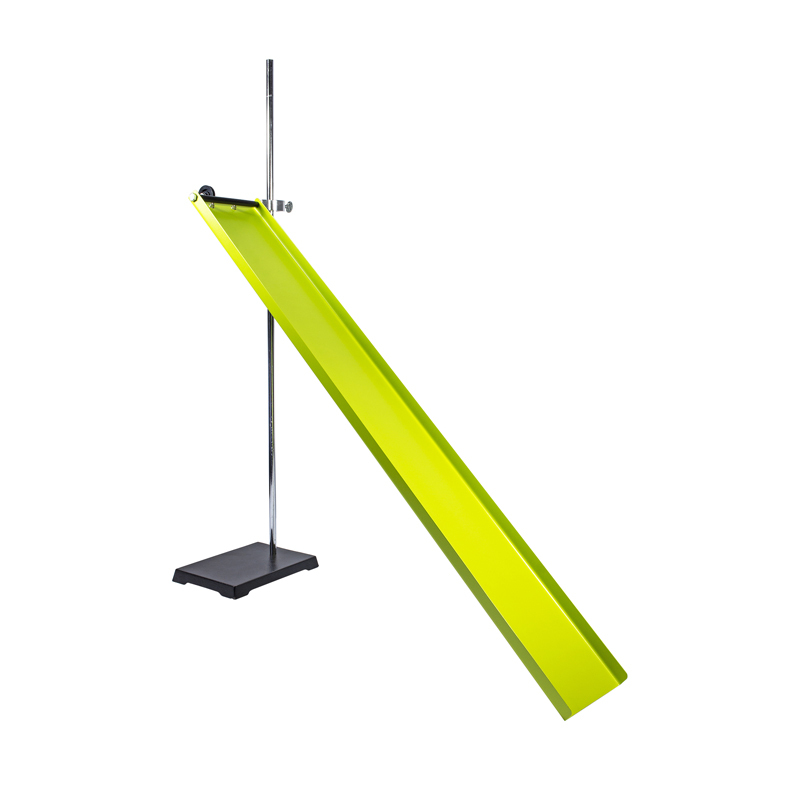 The adaptable inclined plane can easily attach to a ring stand and adjust to any height. The inclined plane is made with a sturdy steel construction and is large enough to handle various cars, masses, balls, and other objects. In addition, there is a pulley at the top. 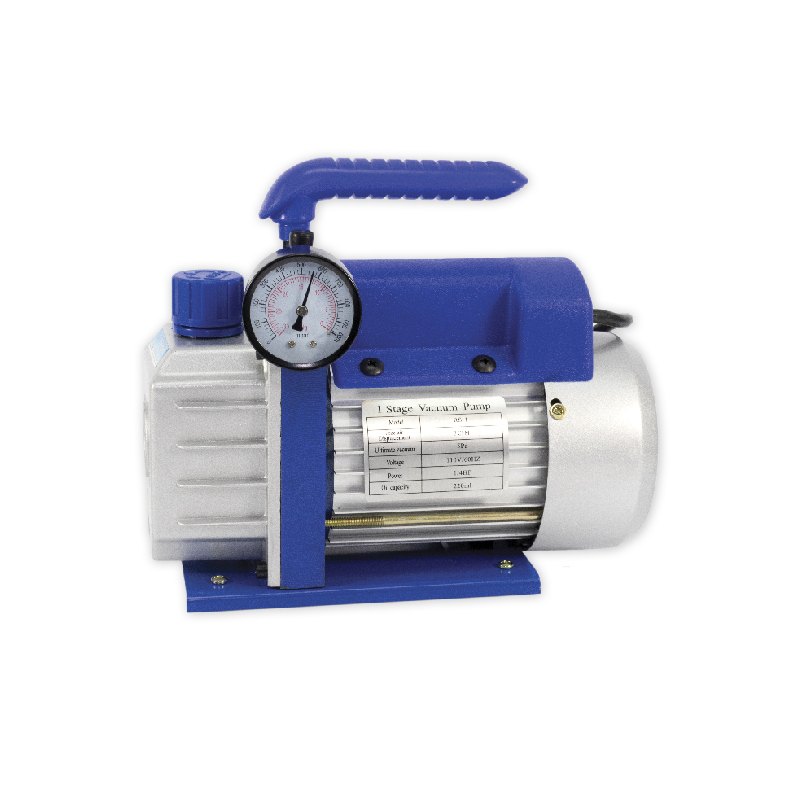 Great for pressure and gravity experiments, this high-quality, efficient Vacuum Pump produces less noise and vibration, while using less energy. 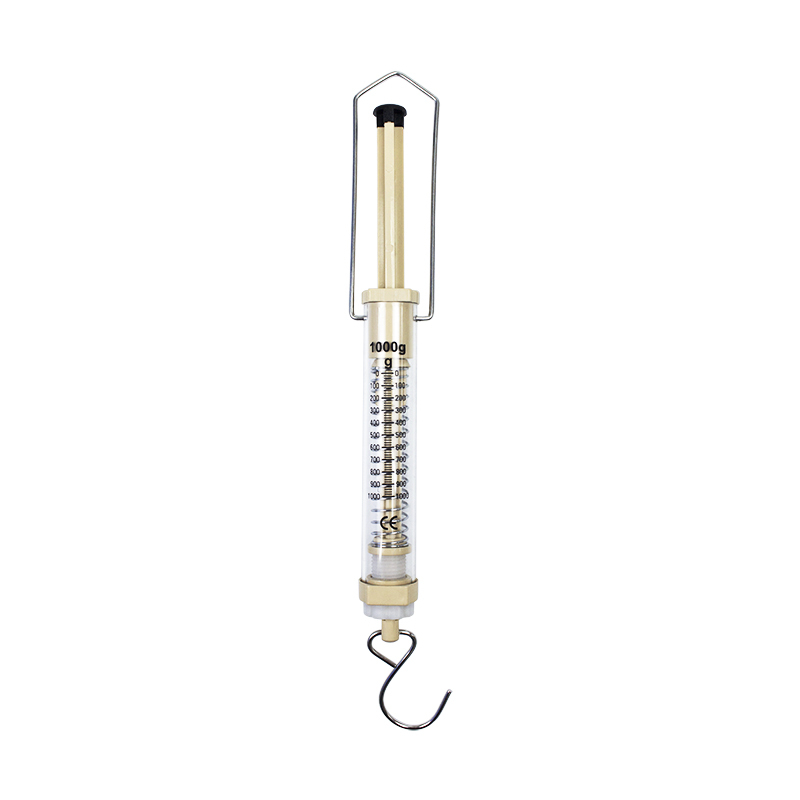 Its special design protects the environment and provides clean, filtered oil to the pump. It also prevents oil spray and oil from flowing back into and polluting the system. 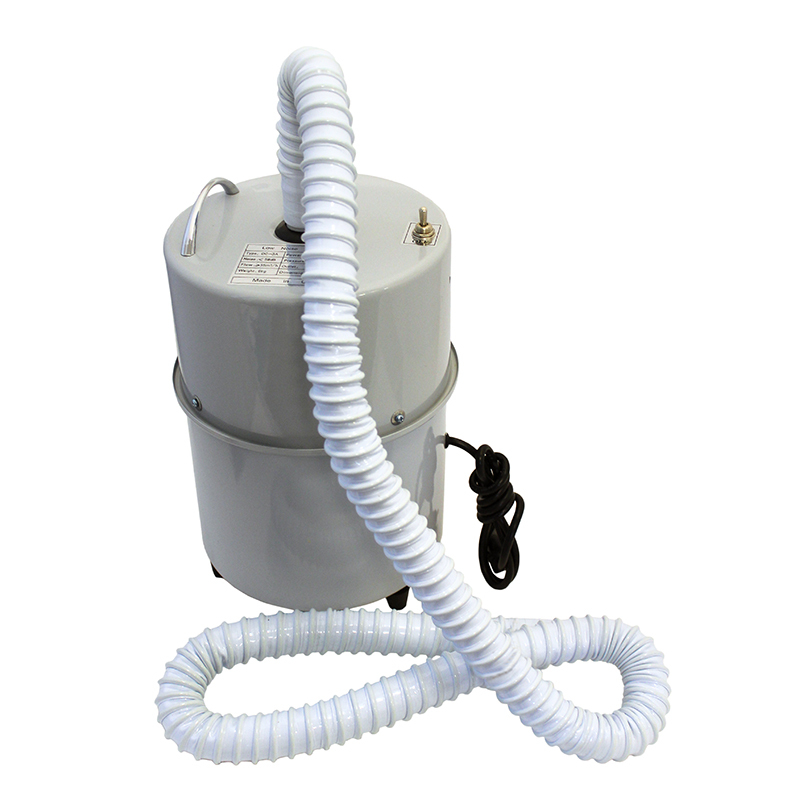 An alloy aluminum casing and a direct-drive design make for a compact and light pump that runs steadily for a long period of time, even in a low-temperature environment and at a low voltage. 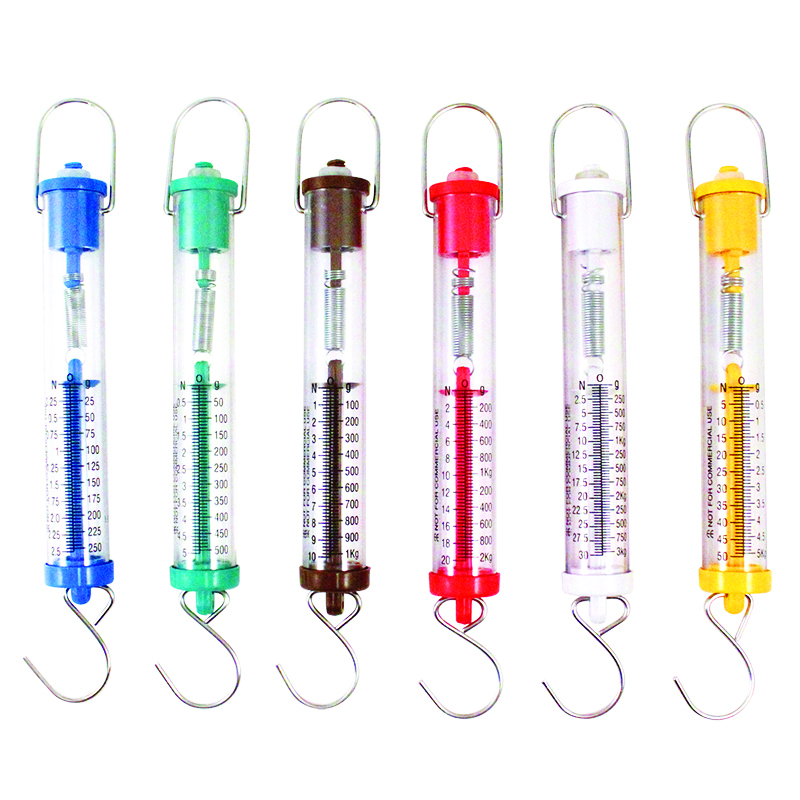 Its convenient gauge and adapter allow for easy adaptability to experiments. 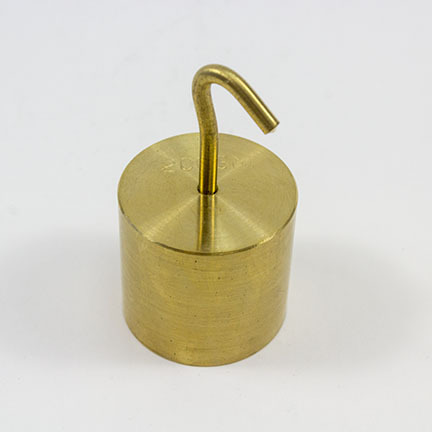 Our quality Vacuum Bell Jar Demo is a great tool to discover how sound requires a medium to travel through. 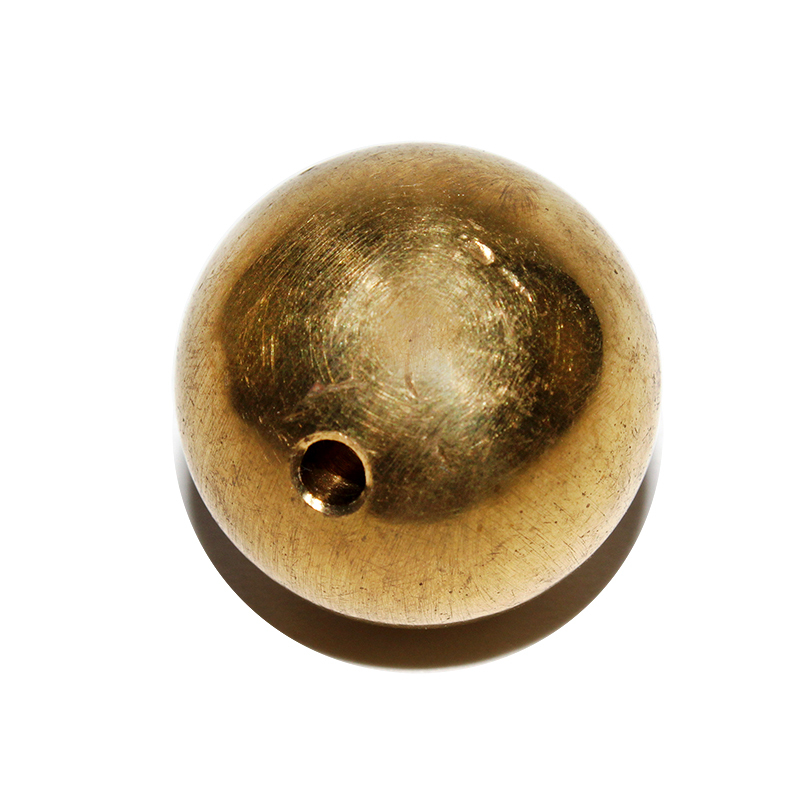 Remove the air from the jar and the sound from the bell gradually fades. 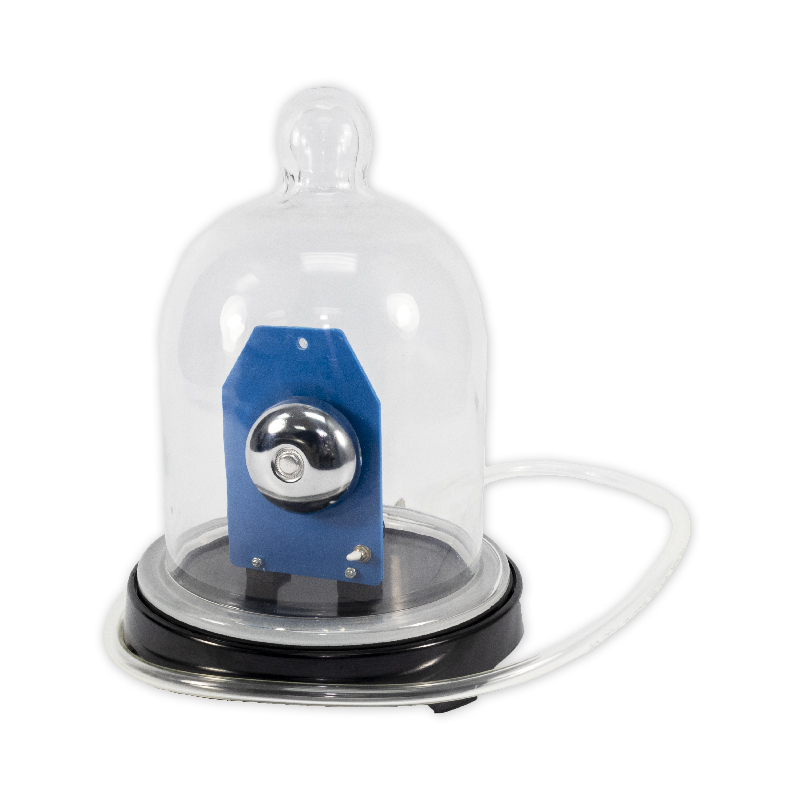 The Demo includes a glass bell jar, vacuum base plate, gasket, hose, and battery-operated ringer electric bell. These fascinating illusion wires are seemingly never-ending. 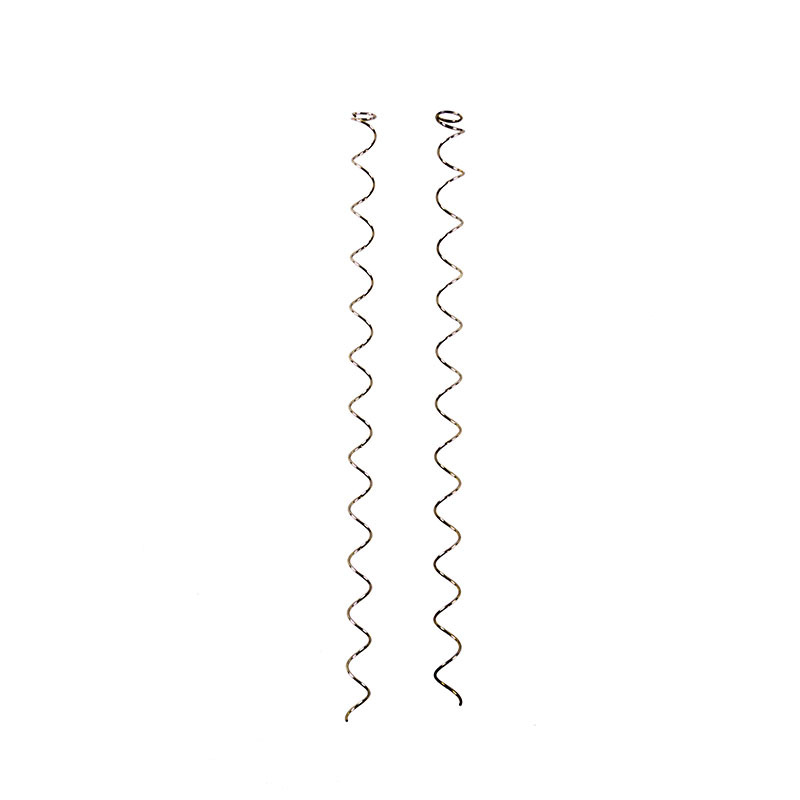 As you pull them apart they appear to be untwisting from each other, but they never come apart! Are the wires getting longer? Is it magic? 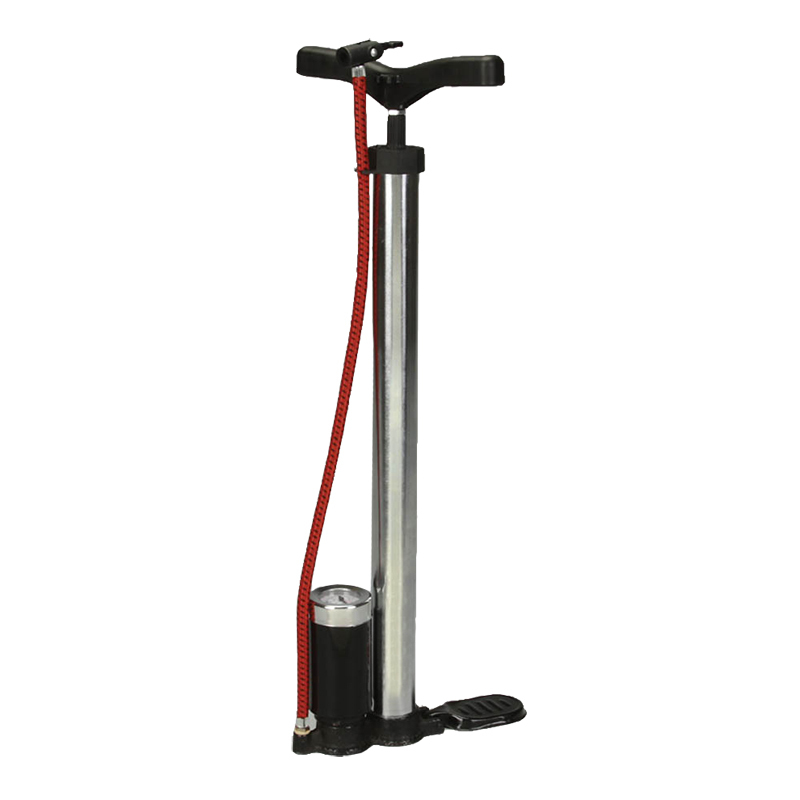 This lightweight durable metal hand pump has a built-in pressure gauge. It is great for experiments requiring air pressure and bicycle tires. 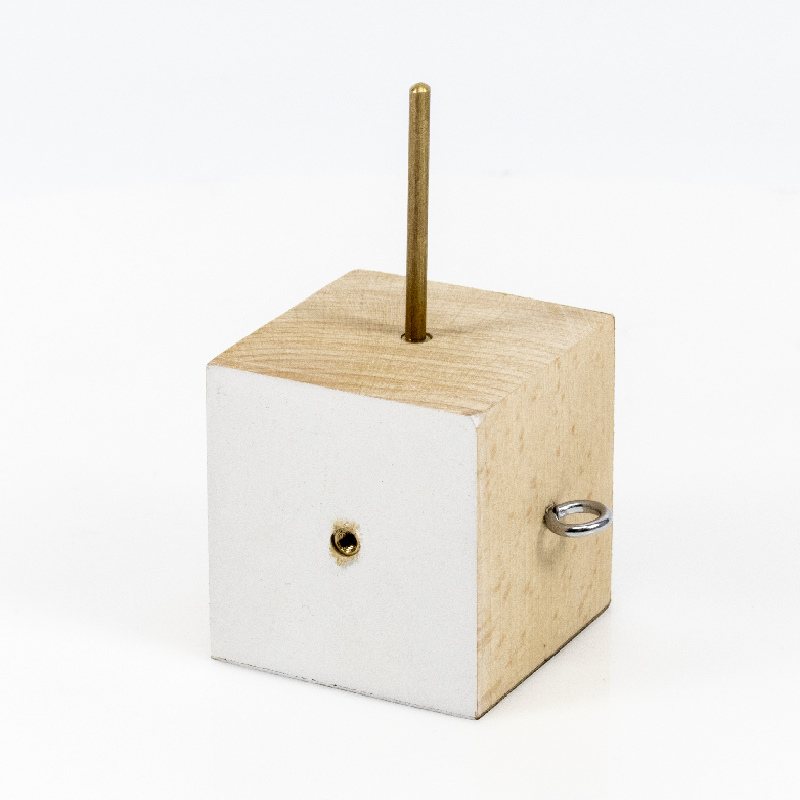 Our four sided friction block demonstrates how frictional characteristics affect the force required to move a stationary body. 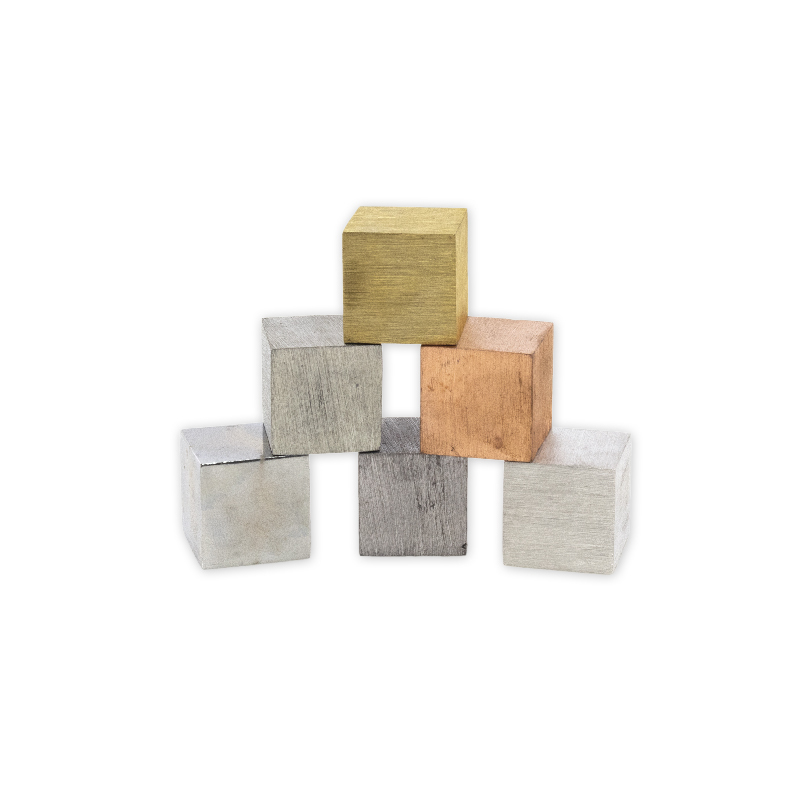 Offering four different friction surfaces, the block can be used to teach numerous concepts involving friction, including force and energy, gravity, static friction, and kinetic friction. 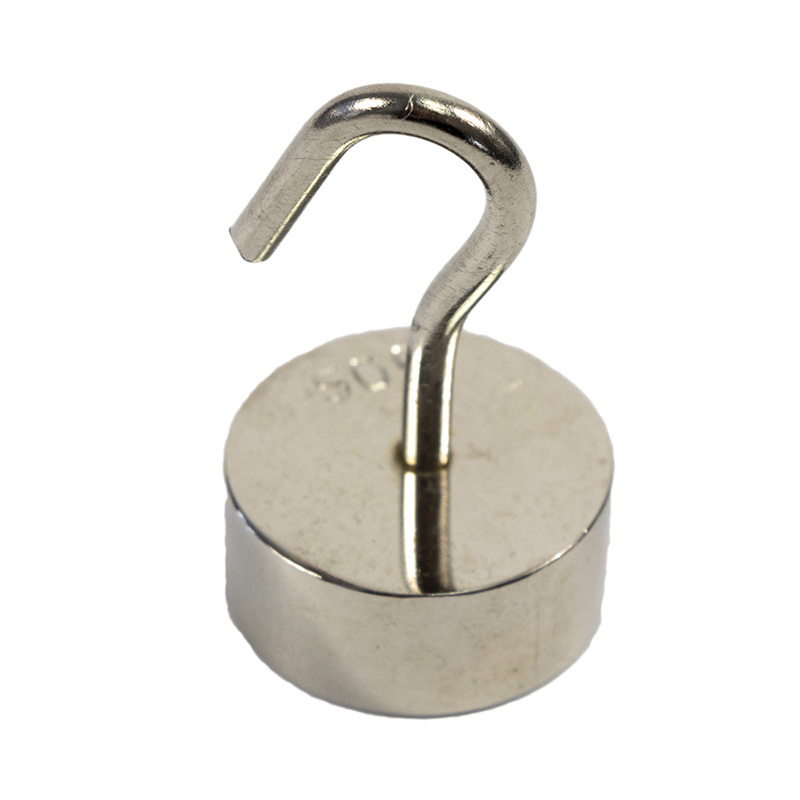 Comes with a hook on one side for towing and a threaded brass post allows for easy addition of slotted masses (sold separately) to all four sides. Specifications material: clear plastic with four friction surfaces – sandpaper, vinyl, paper, wood. Includes an in-depth Teacher ’s Guide with classroom activities, discussion questions, NGSS connections, and more! 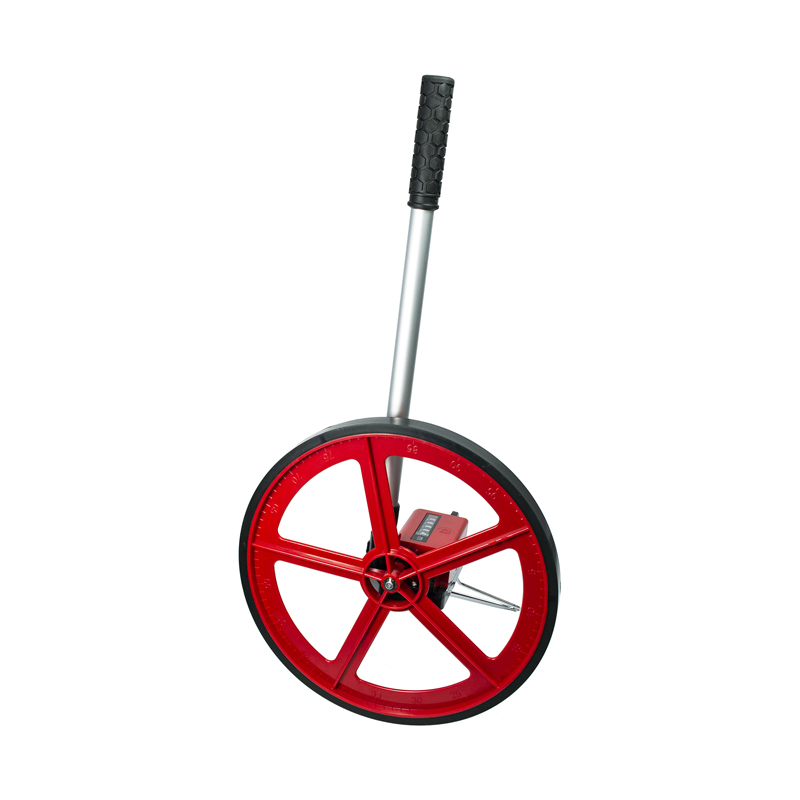 A Deluxe Trundle Wheel makes long distances easy to measure. 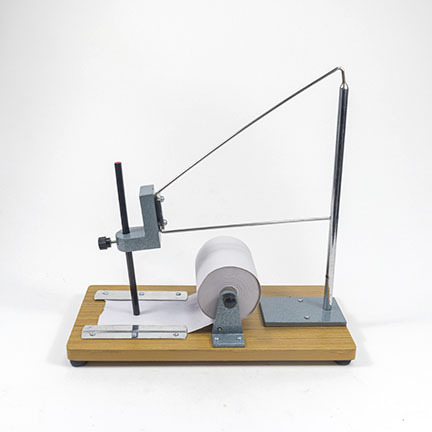 Just roll the wheel along the ground to measure linear distance. 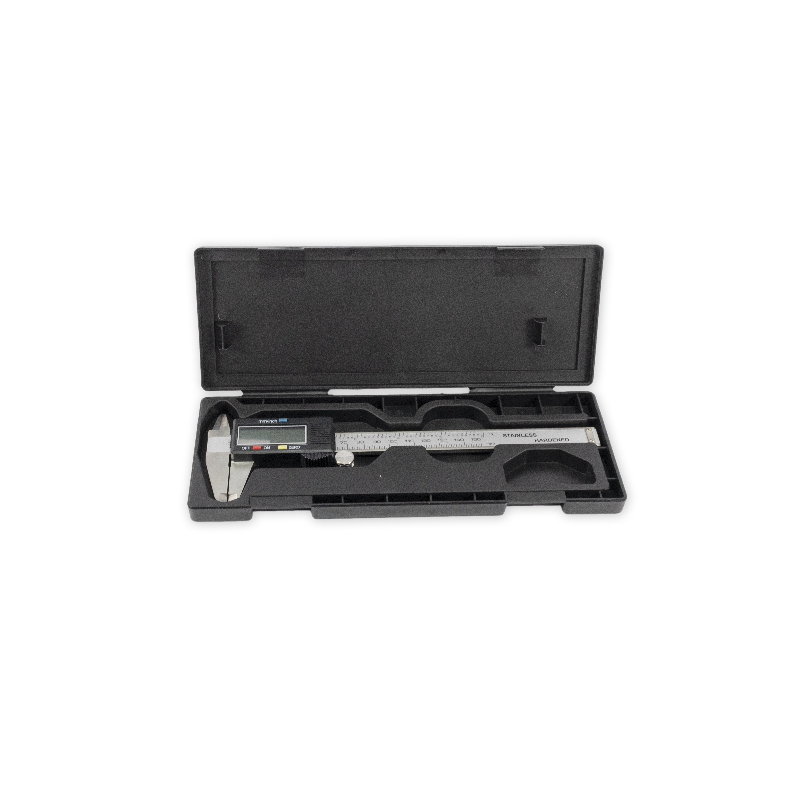 It has a metered counter that measures up to 99,999 meters, a telescoping handle for comfort, a built-in stand which folds in, a rubber wheel trim for accuracy, and a convenient carrying/storage case. 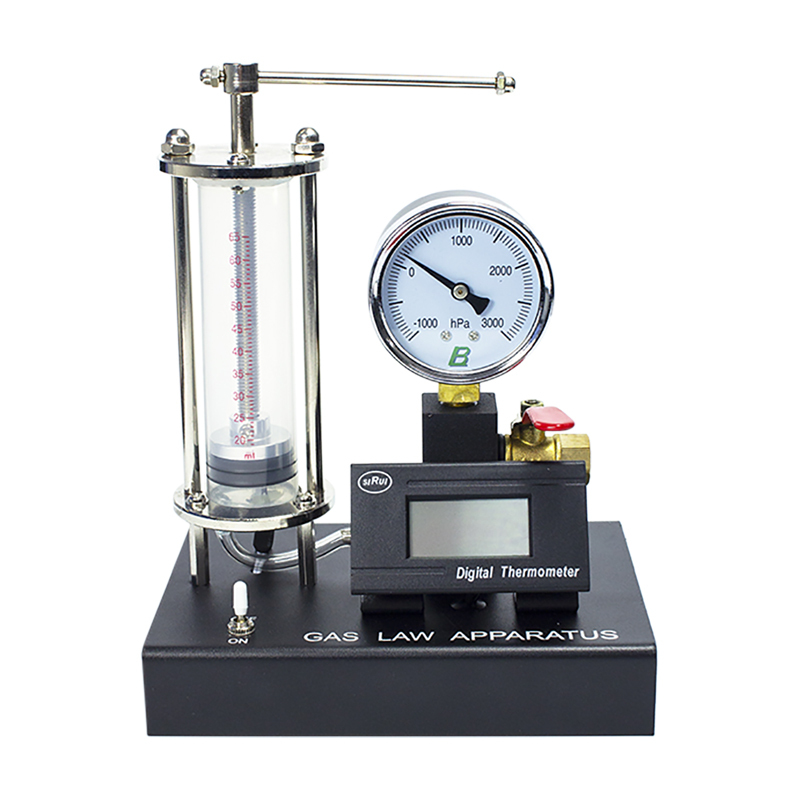 This unique, compact apparatus simplifies the ideal gas law and the relationship between the pressure, temperature, and volume of a gas that is constant. 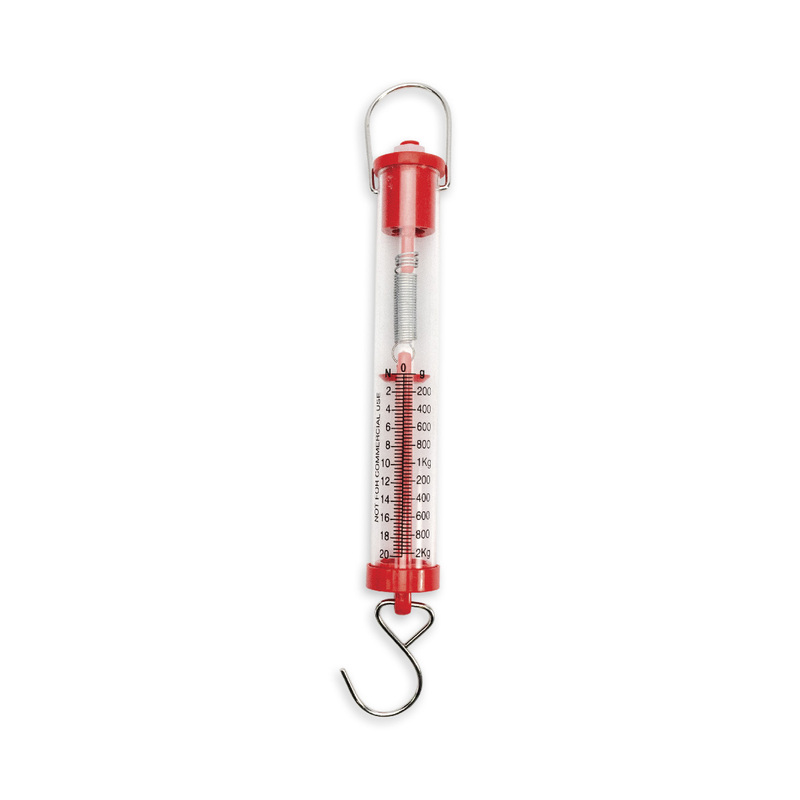 Twist the handle to compress the air, and simply read the volume, temperature, and pressure, and then repeat. It will show that the relationship stays the same, for a simple and memorable demonstration. 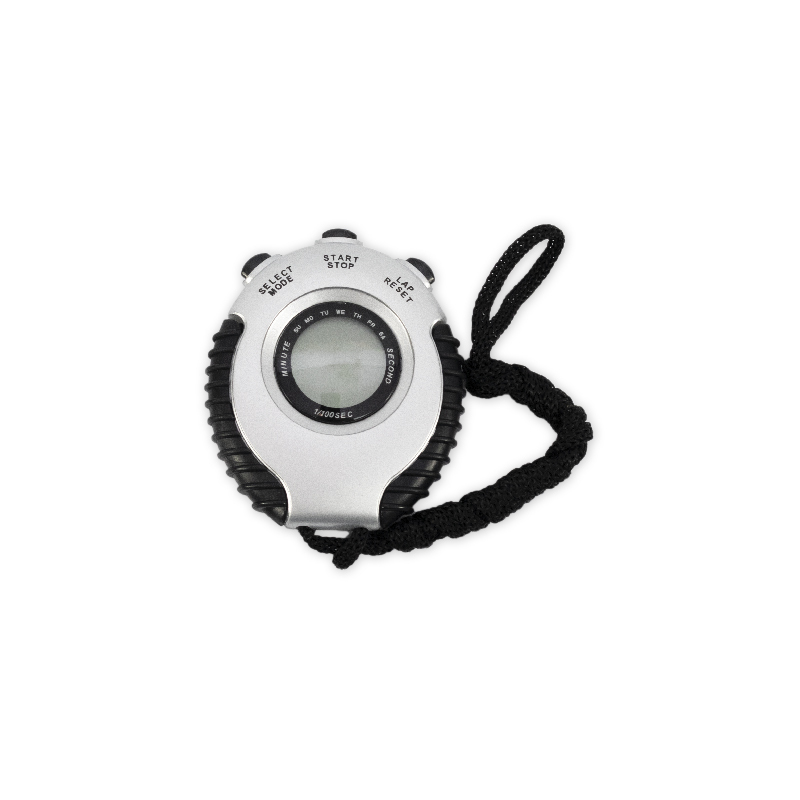 This stopwatch has 3 easy-to-use large, red buttons: LAP, ON/RESEST, and START/STOP. It comes with a clip-on feature and a lanyard for wearing around your neck. 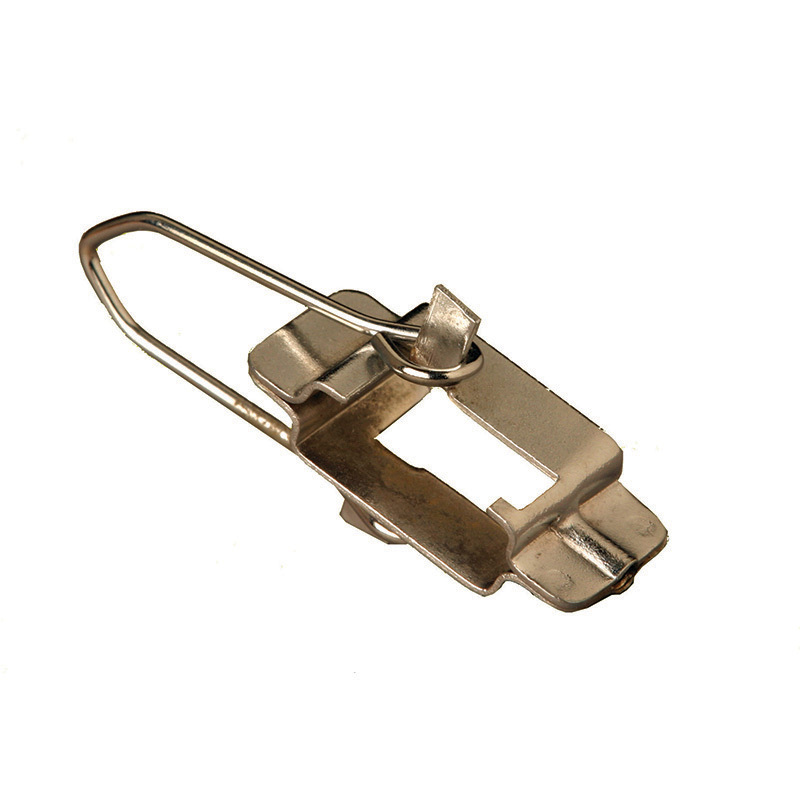 The back of the clip has a magnetic strip that attaches to metal items such as shelves or a fridge. It also has a wire to convert to a tabletop stand for flat surfaces. 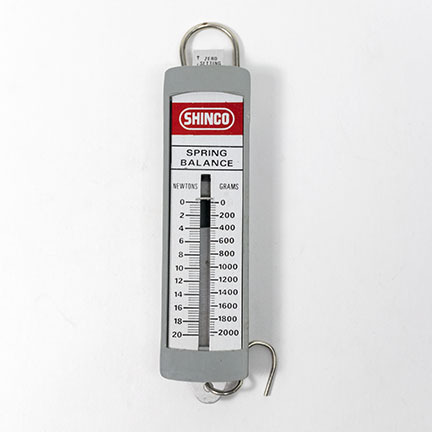 Use this scale for determining weights by spring elongation, which is proportional to the applied force. 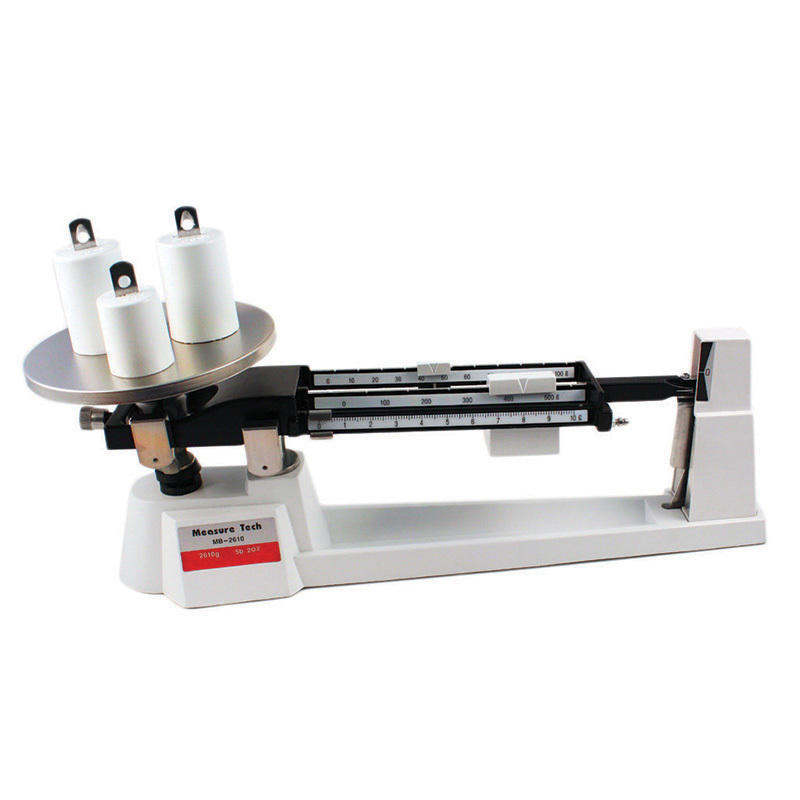 This scale is for laboratory use and it is made of strong polystyrene with a flat anodized metal scale. 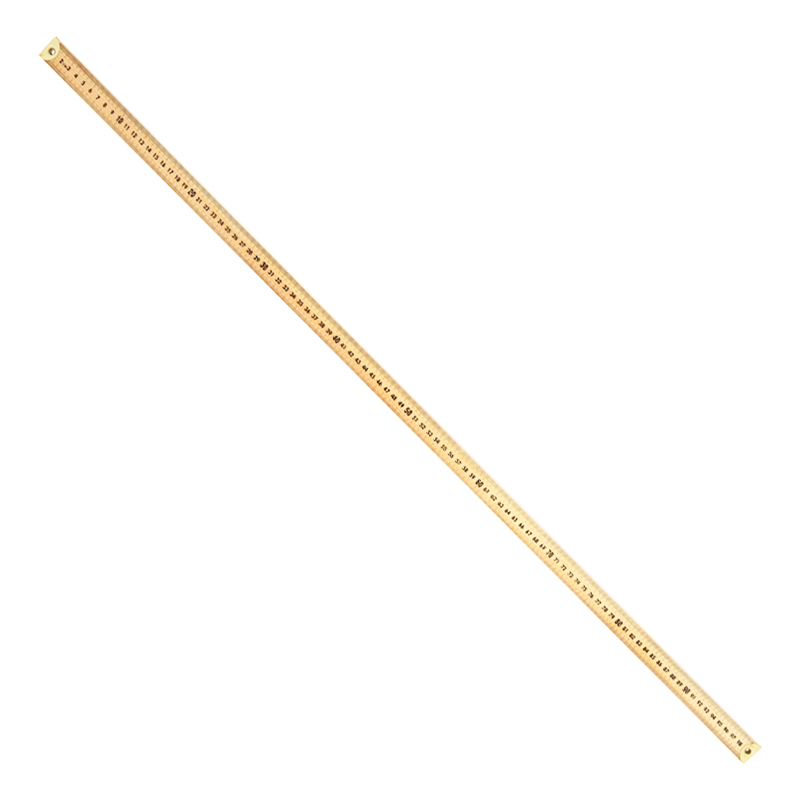 This high-quality 7 mm-thick hardwood meter stick has permanently engraved black scales in Metric and English. 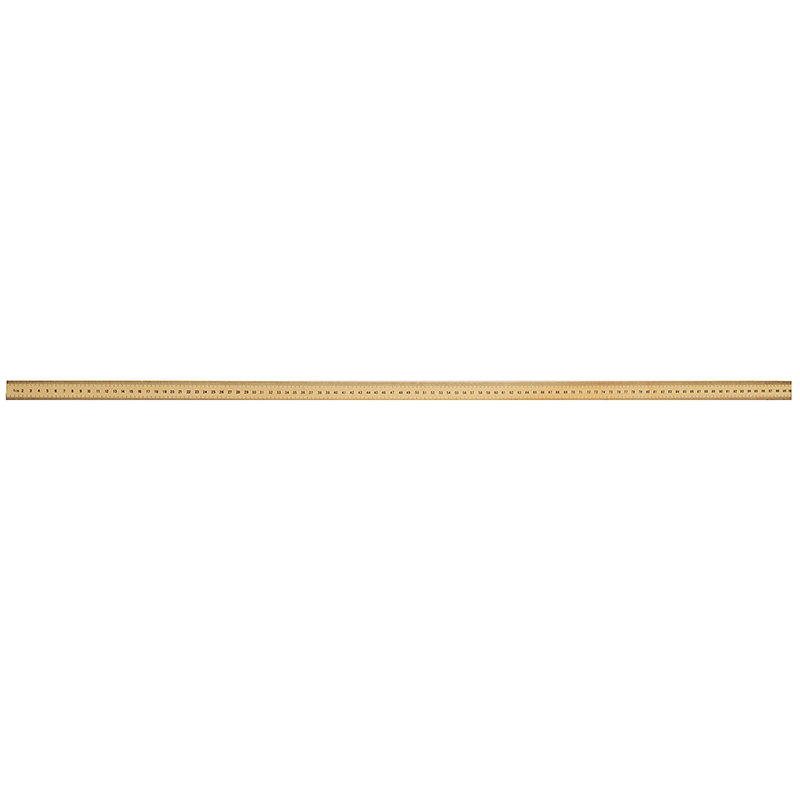 One side is graduated in centimeters in 1 mm increments. 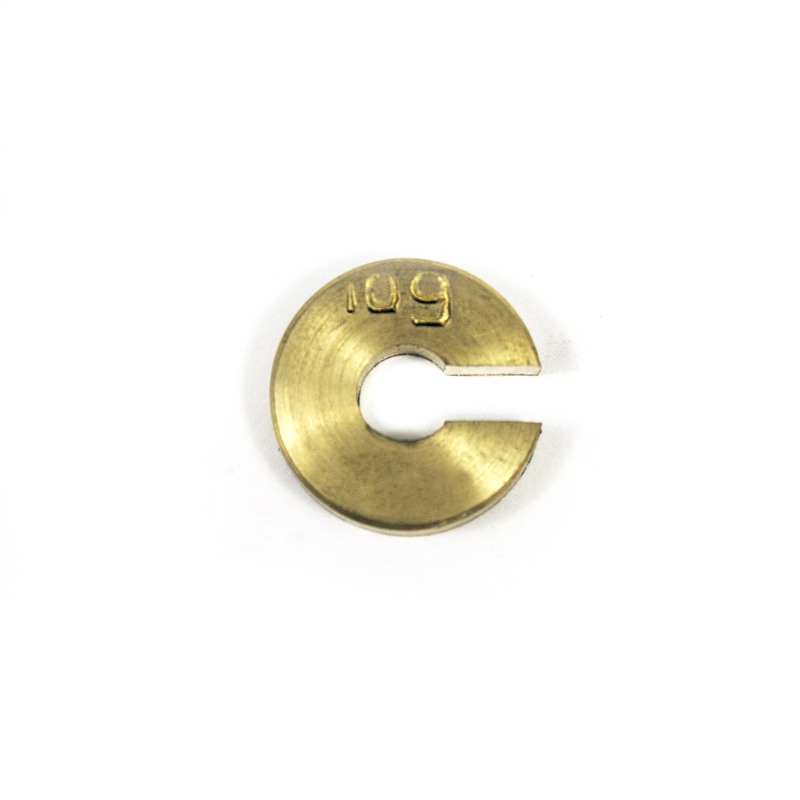 The reverse side is graduated with inches in 1/8″ increments. Digital timer with 2 photogates. 4 digit display. 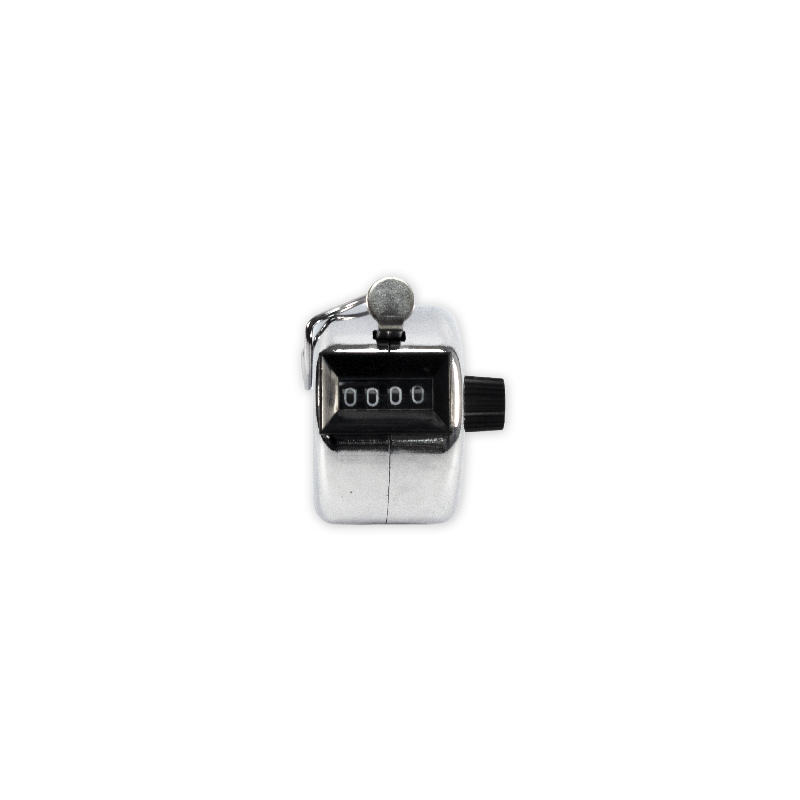 This counter easily tallies all counting needs and counts up to 9999. 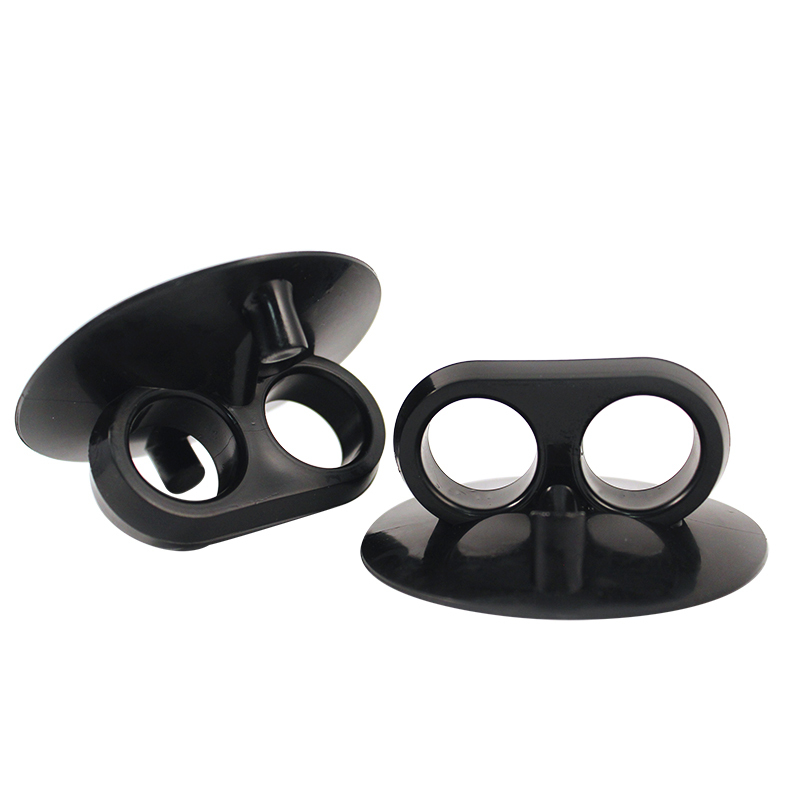 It has a finger grip for comfort and ease of use. Use it to keep track of any large quantity. 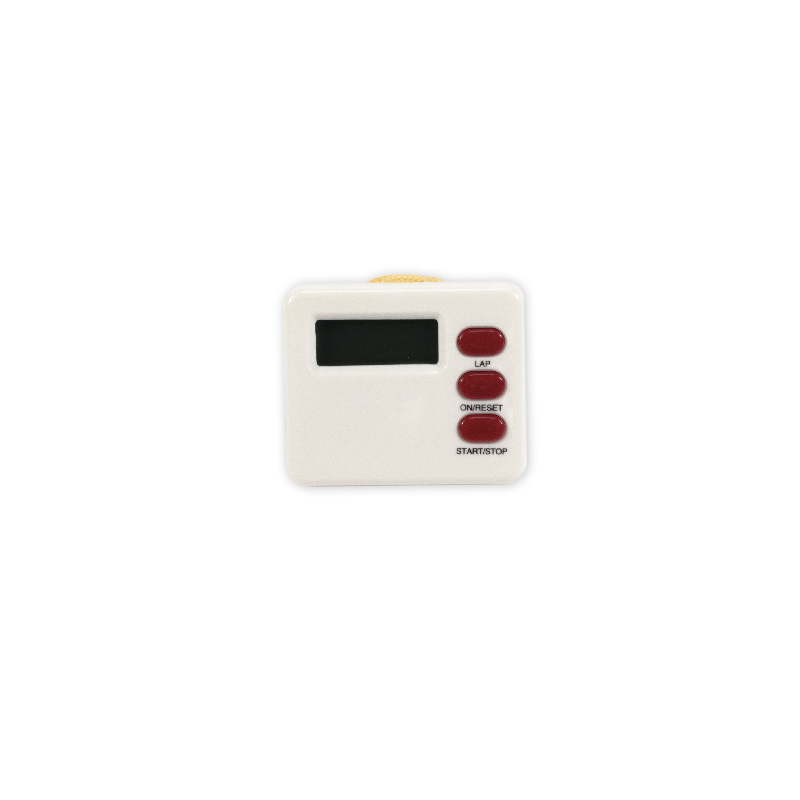 Digital timer with photogates for Air Track Apparatus (Item #AR-700). 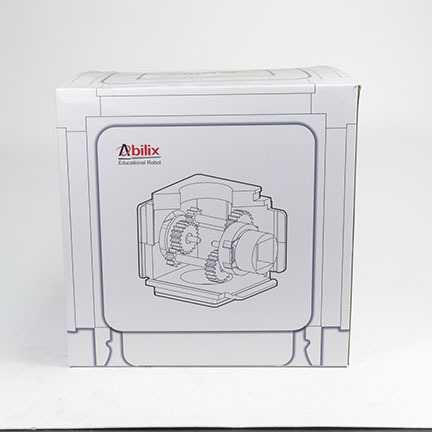 Single speed air blower for Air Track Apparatus (Item #AR-700). 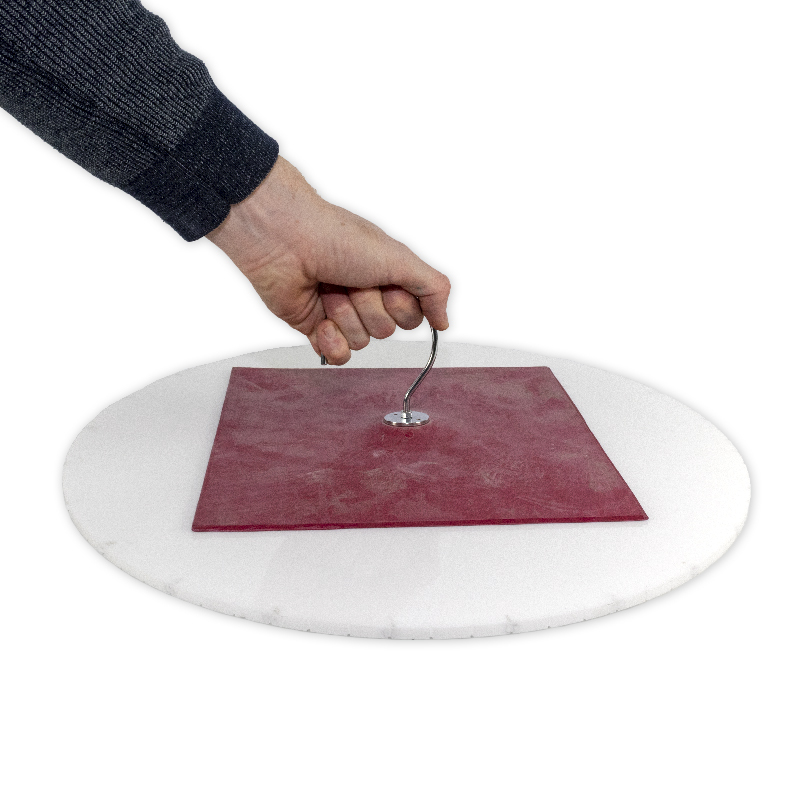 This durable, thick rubber mat has a simple design that demonstrates a powerful concept: atmospheric pressure. Pick up an ordinary flat lab stool or try to lift the mat off a table, which is nearly impossible! Show how suction cups stick because of the pushing force of air, not from a pulling “suction” force. 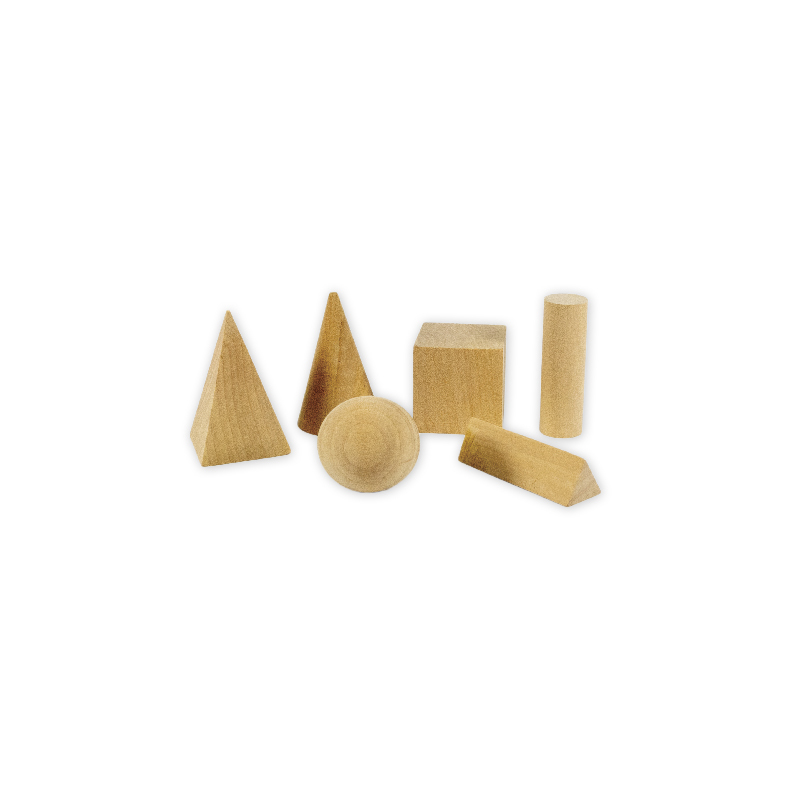 Explore additional concepts such as surface area, force, vacuums, and pressure. 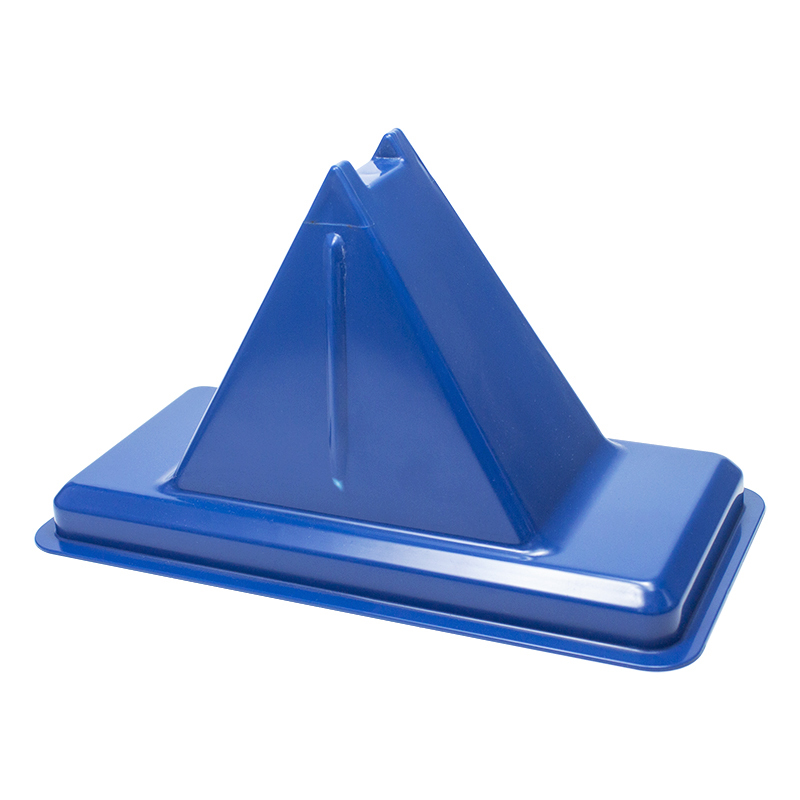 This sturdy carriage has a one-piece, high-impact plastic body. 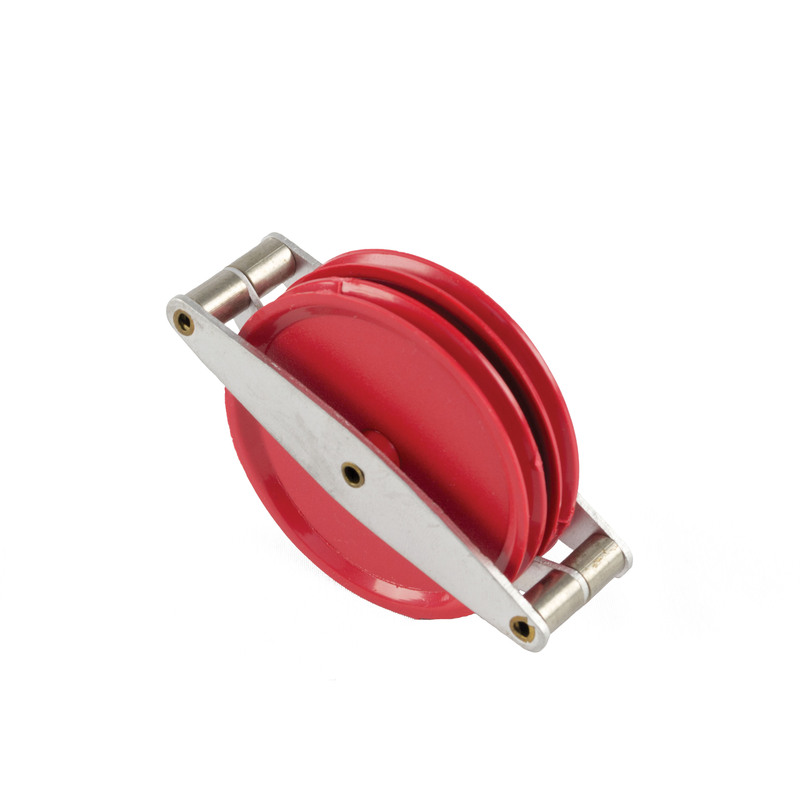 The machined aluminum wheels and axles are mounted on hardened steel cone bearings for minimum friction and long life. This metal tape comes in plastic housing. 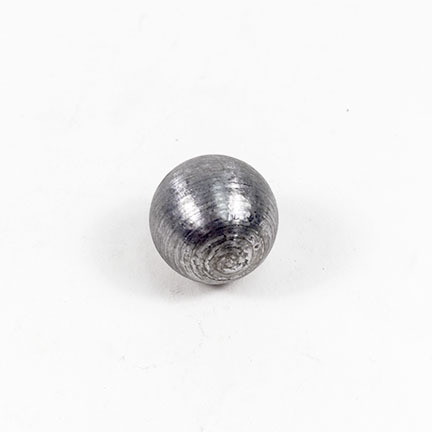 It is 0.5″ (13 mm) wide and 10 ft (3 m) long. This is a plastic connecting tube which, when connecting 2 bottles, demonstrates astounding tornado and vortex effects. It makes for a fun and exciting demonstration, and it is perfect for illustrating the vortex to younger children. Use this dual scale spring scale to measure force (Newtons) and mass (grams). 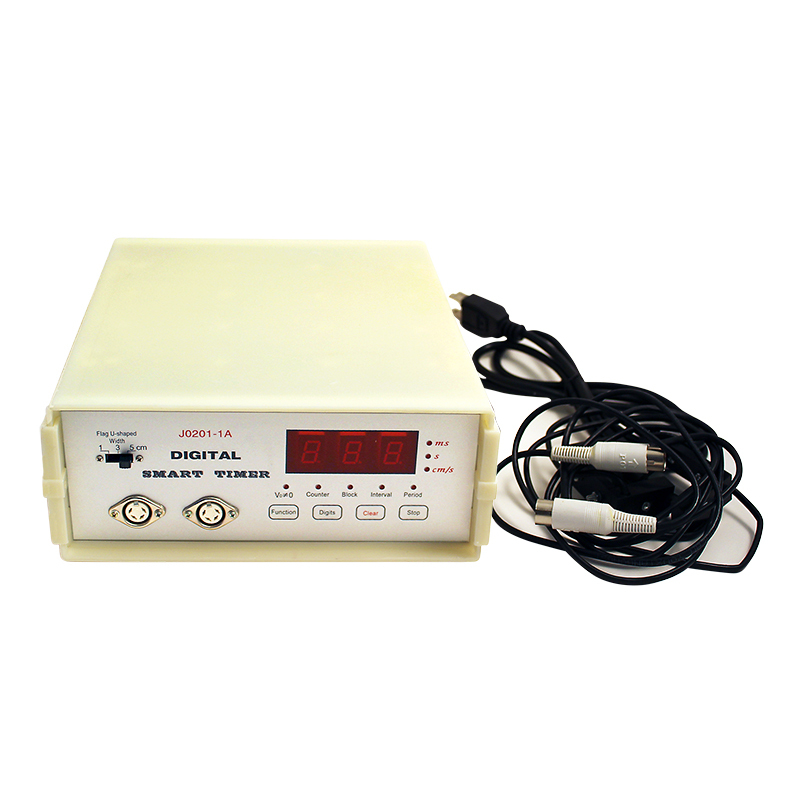 It is perfect for laboratory use because the scale’s design offers easy use and readability. 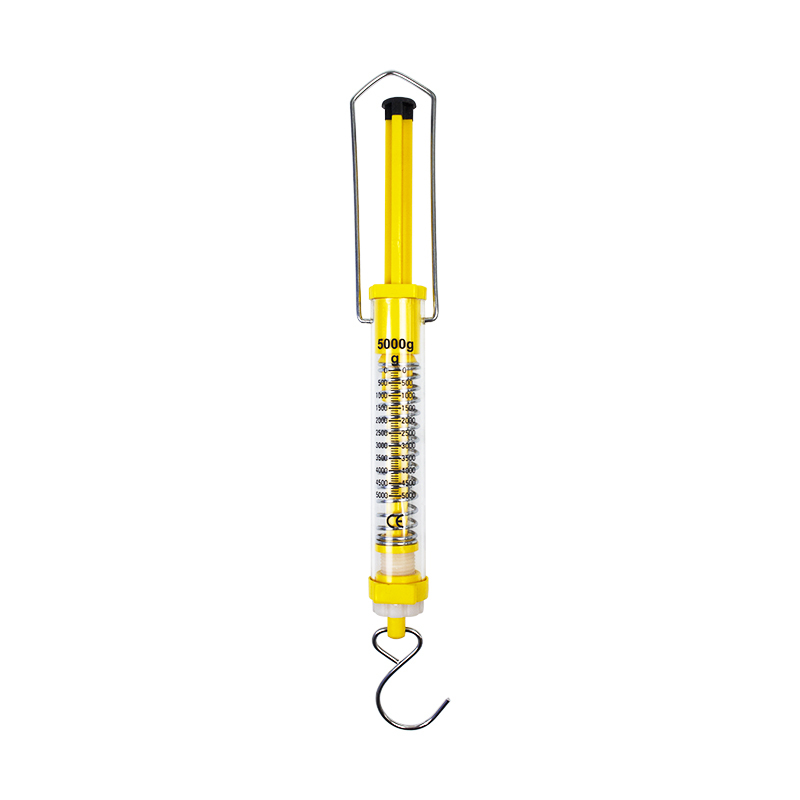 Use this dual scale spring scale to measure force (Newtons) and mass (grams). 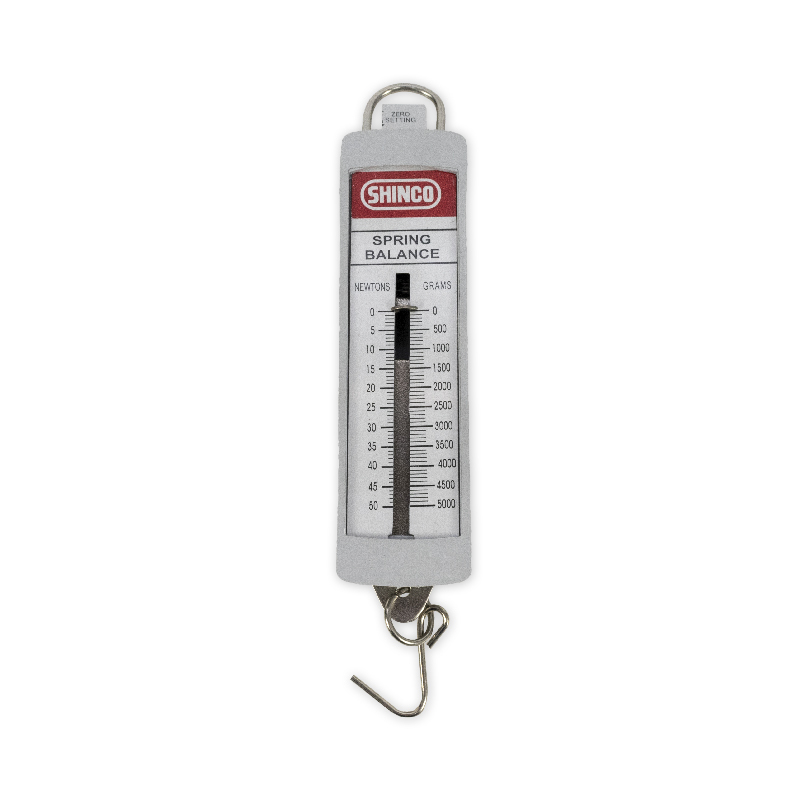 It is perfect for laboratories because the scale’s design offers easy use and readability. 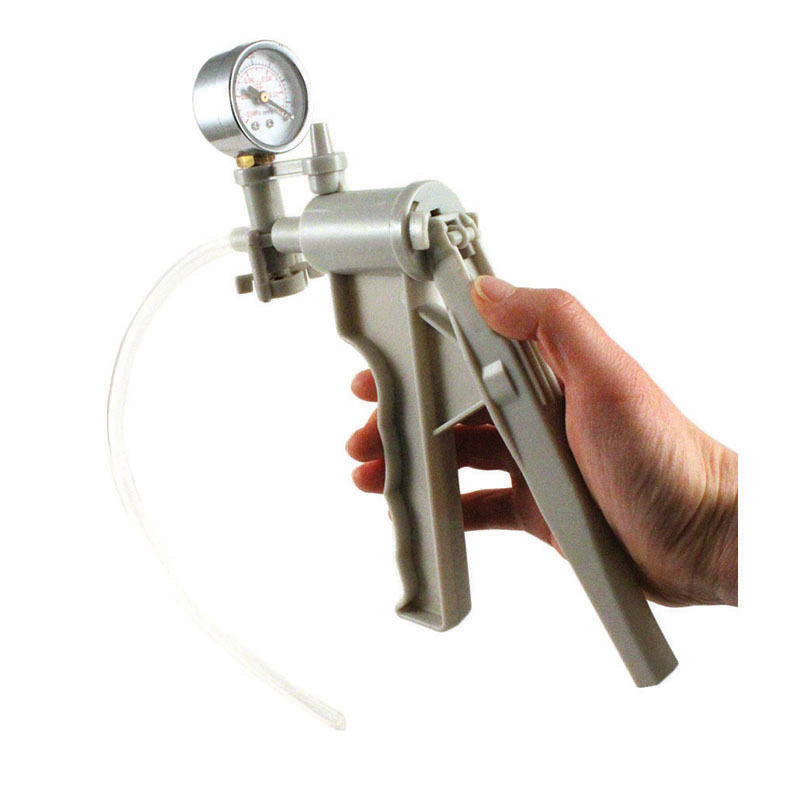 Use this handheld vacuum pump to remove air from tubes or jars for experimental purposes. It works well with the Guinea and Feather Apparatus. 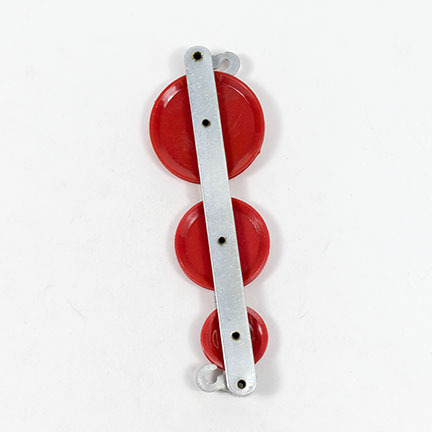 This Plastic Arm is for use with the Blue Plastic Balance (Item #5100-00). 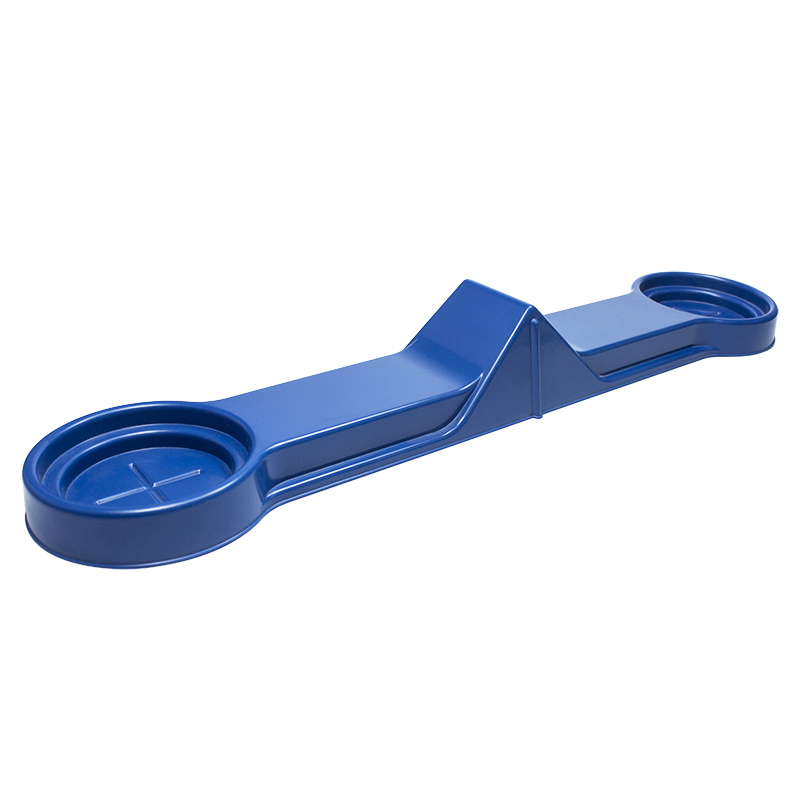 This Plastic Pivot is for use with the Blue Plastic Balance (Item #5100-00). 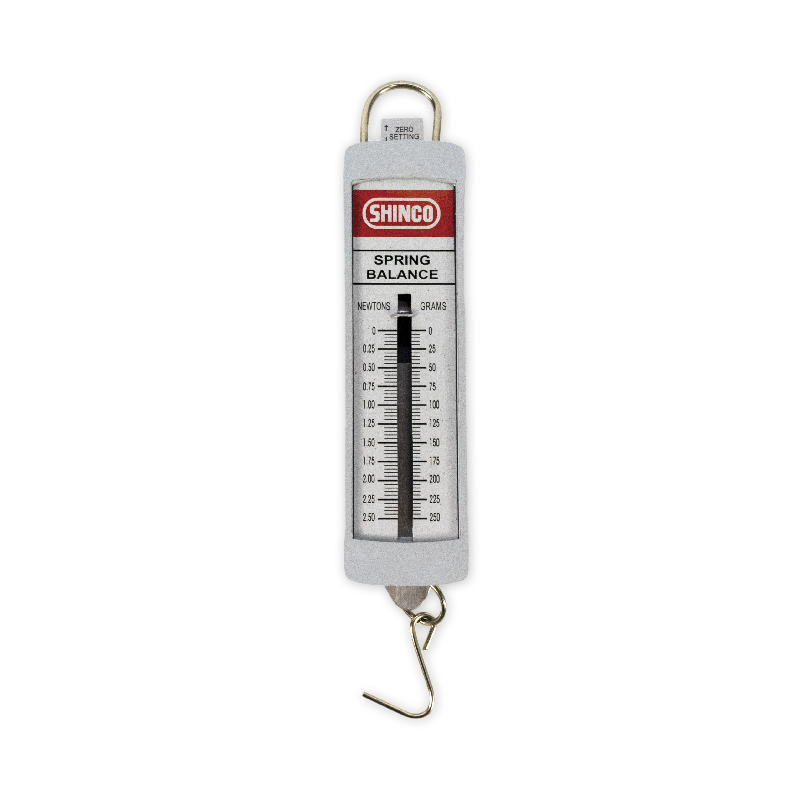 This item is great for demonstrating that heavy and light objects fall at the same rate in a vacuum. 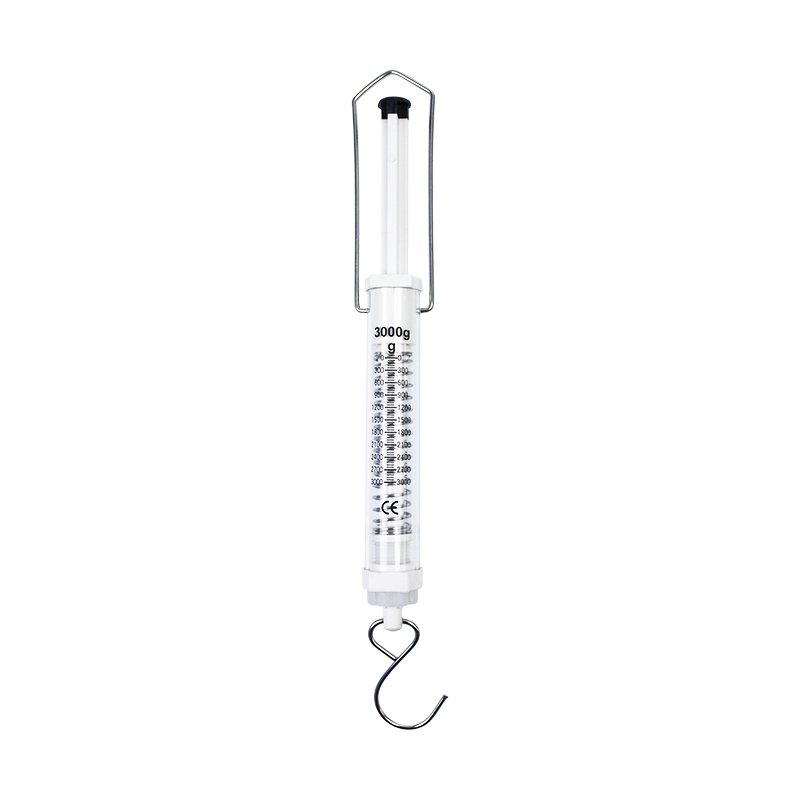 It is made of a transparent tube 1.5″ (38 mm) outer Dia. 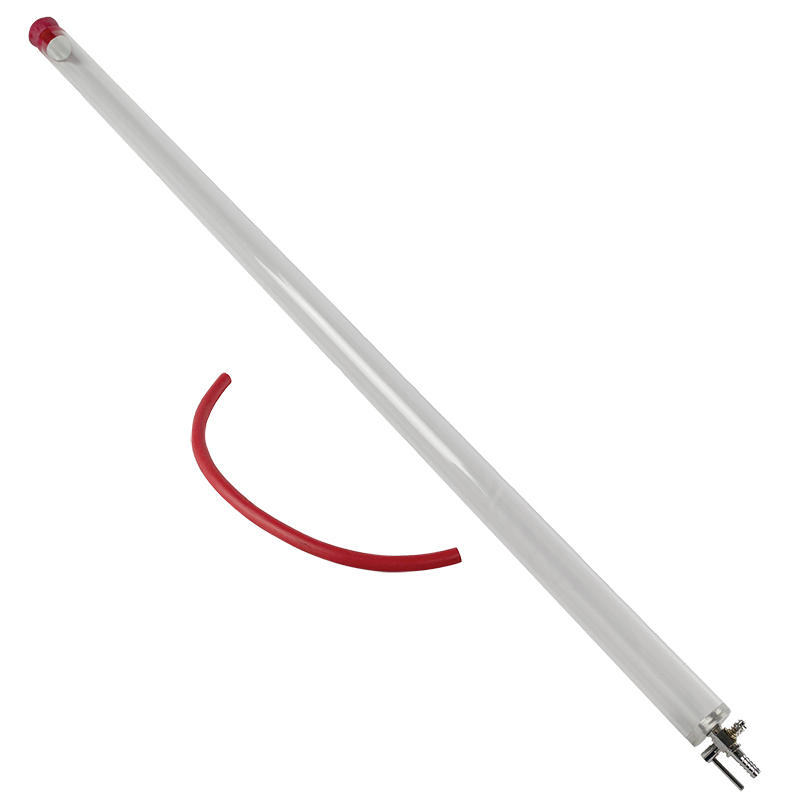 and 40″ (1000 mm) long, with rubber end caps, one of which has a nozzle and stopcock with 14″ (355 mm) rubber tubing for connecting to a vacuum pump (not included, catalog Item #6080-00). The demonstration provides an illustration of the principles of gravity that leaves a lasting impression on students. 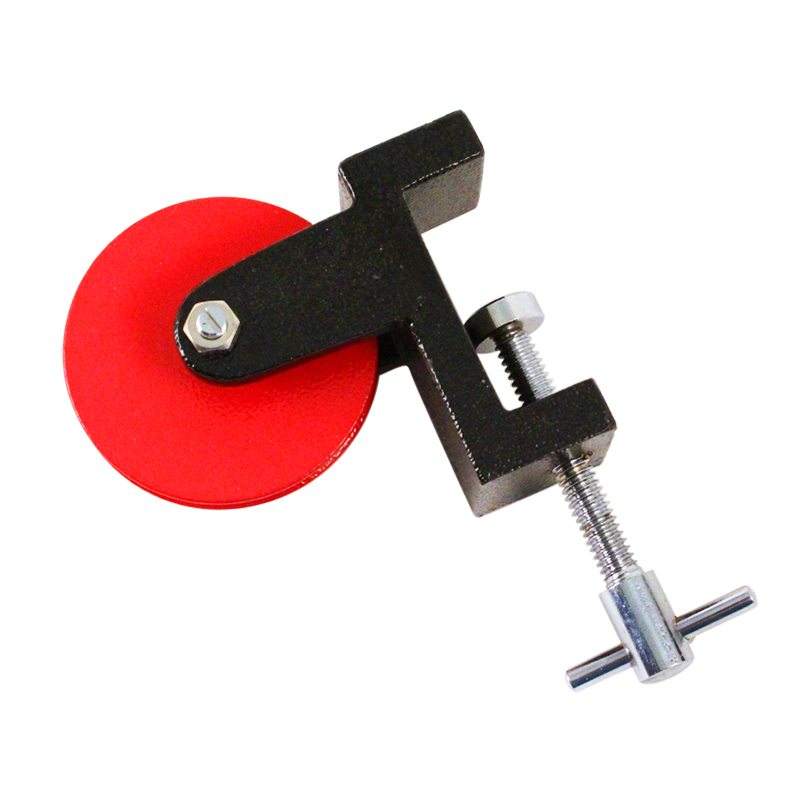 Fit standard meter sticks with this clamp to set up a demonstration balance for studying principles of levers, moments, torque etc. 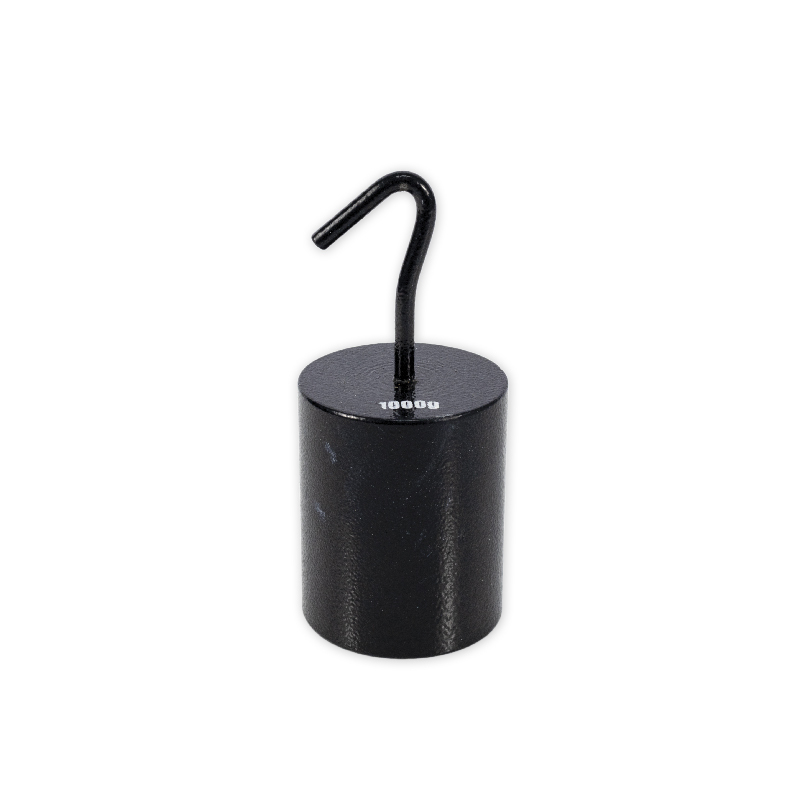 It is made of spot-welded steel for durability. 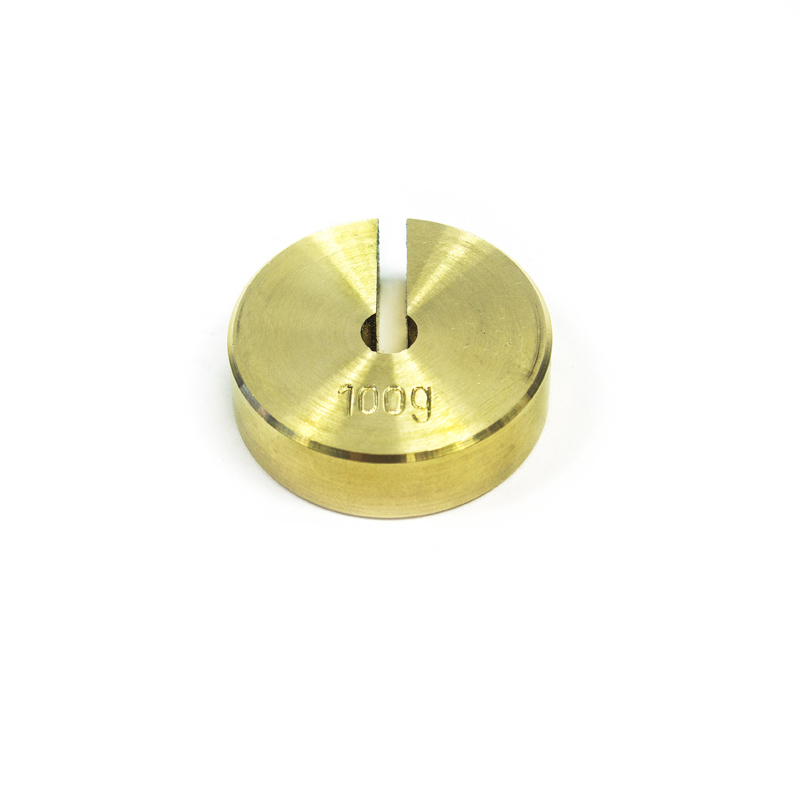 The clamp is designed for fastening to meter sticks by means of a knurled set screw and provides easy viewing of the meter stick. 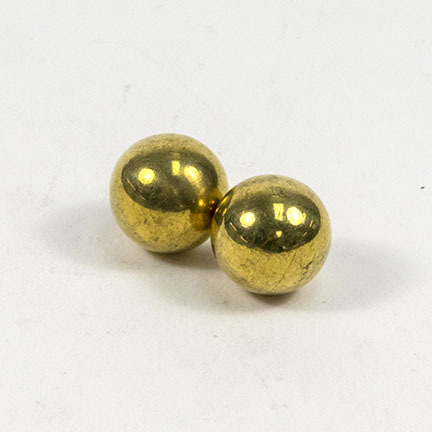 Use these hemispheres to demonstrate air pressure and vacuums. 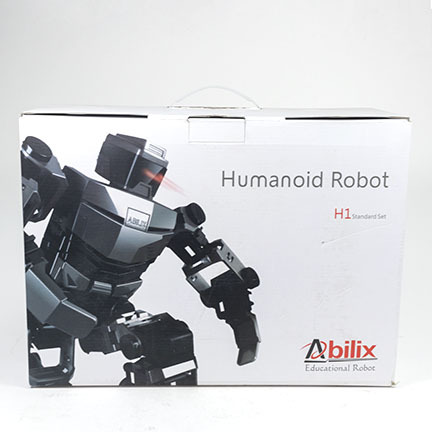 They are made of flexible synthetic rubber. Test your strength and see if you can pull them apart! • 2″ (50 mm) Dia. For various applications in physics laboratory. 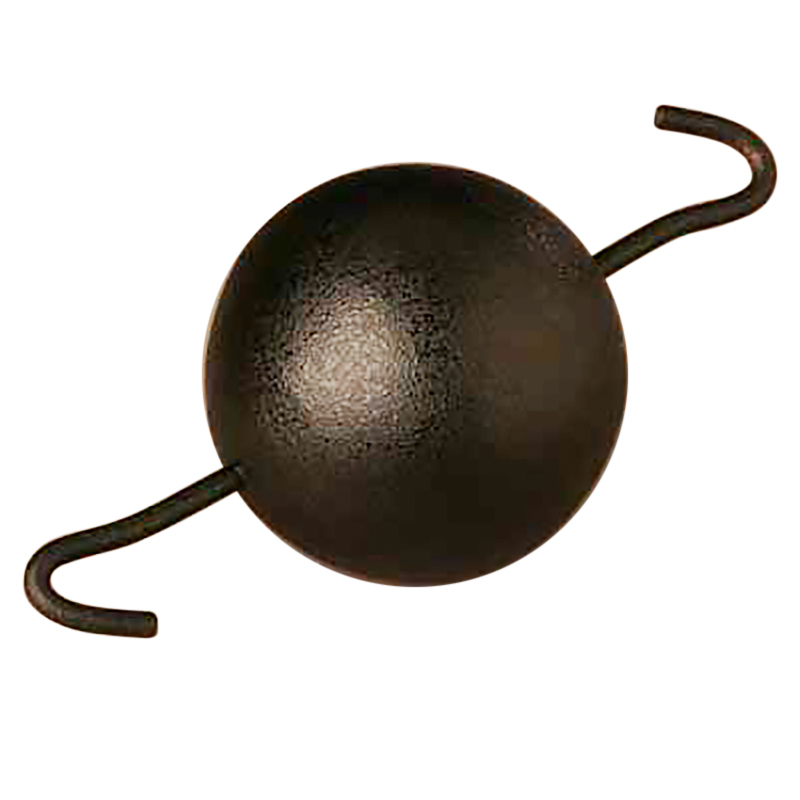 A cast iron ball of 79mm diameter with two hooks on opposite ends. Enamel finish. 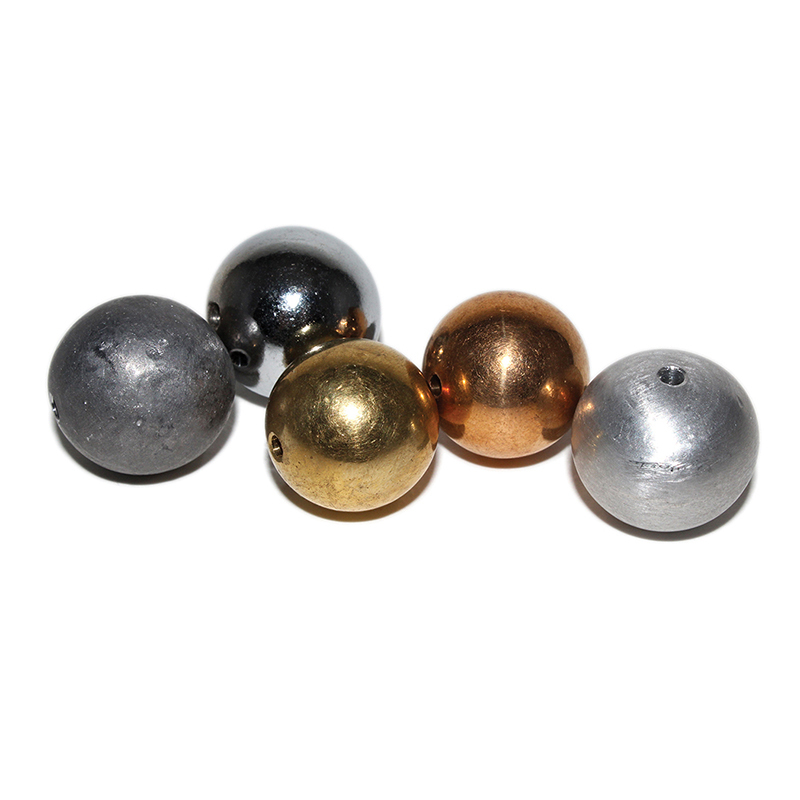 All of our metal balls are great for physics experiments and demonstrations! 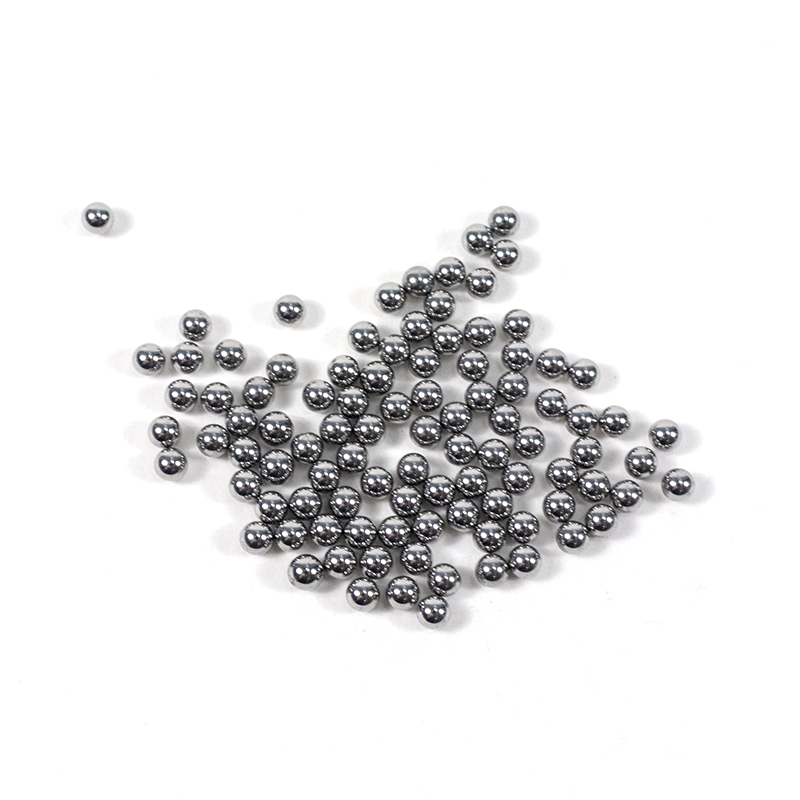 Use them for density and volume measurements, pendulum bob, potential energy and conservation experiments, ballistics, and more. 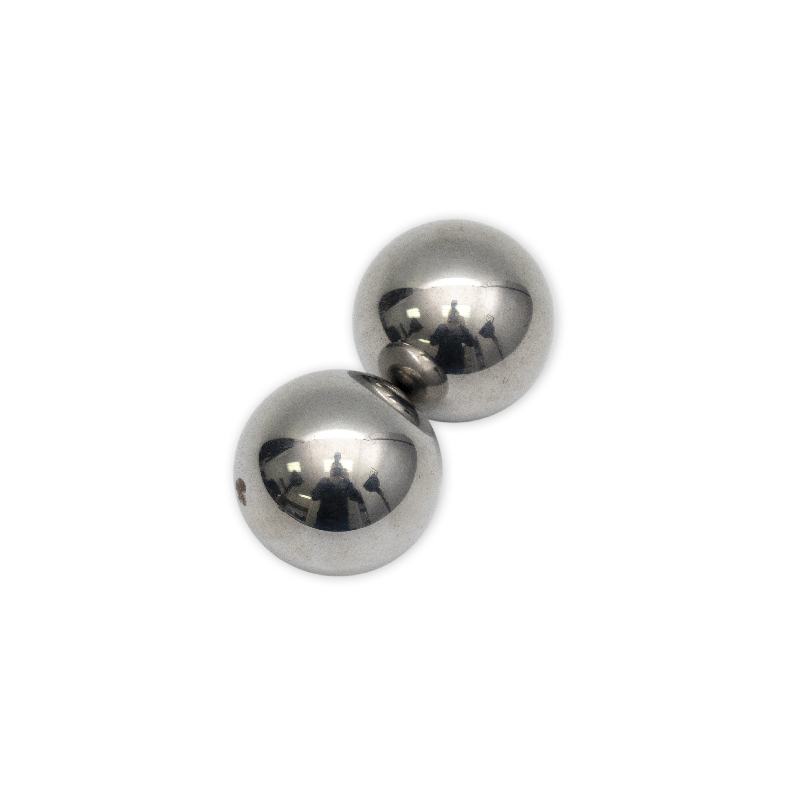 These small spheres make a useful addition to labs and classrooms. 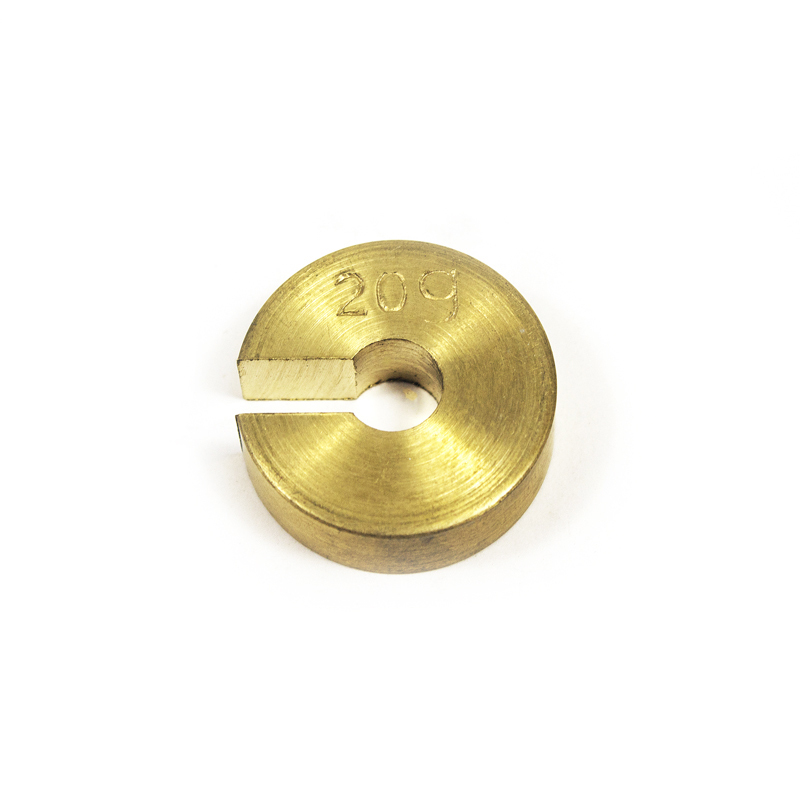 • 1″ (25 mm) Dia. 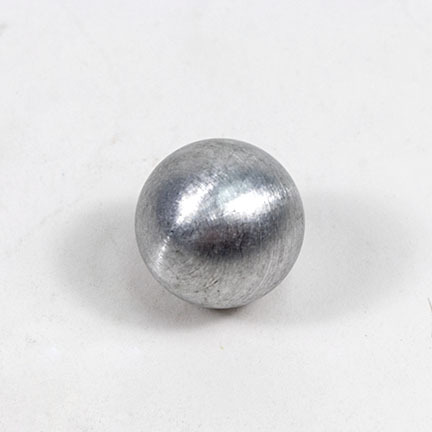 This Steel Ball is excellent for physics experiments and demonstrations. 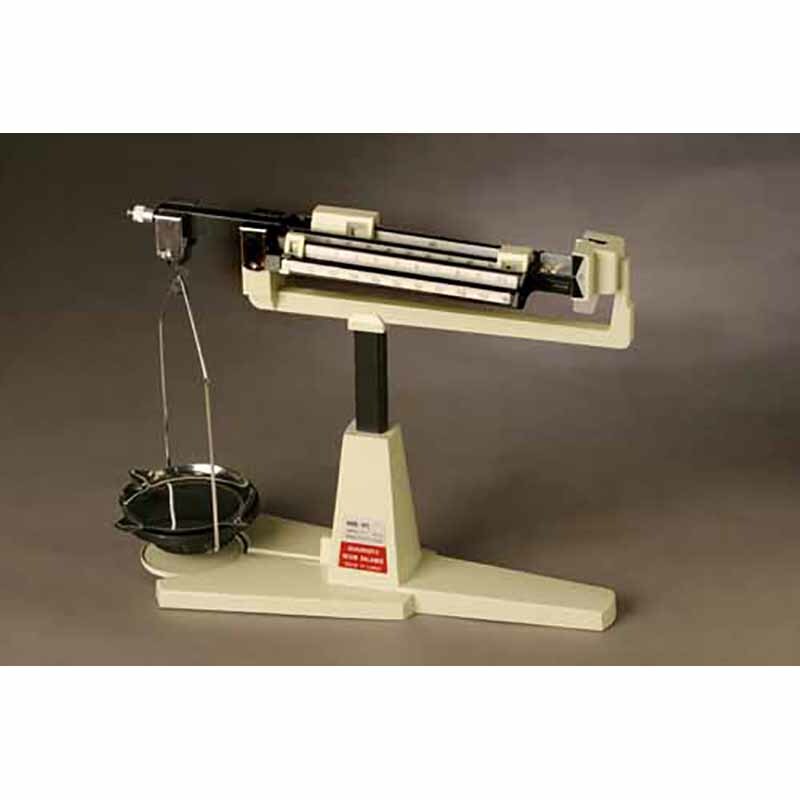 It can be used for density and volume measurements, pendulum bob, potential energy and conservation experiments, ballistics, etc. 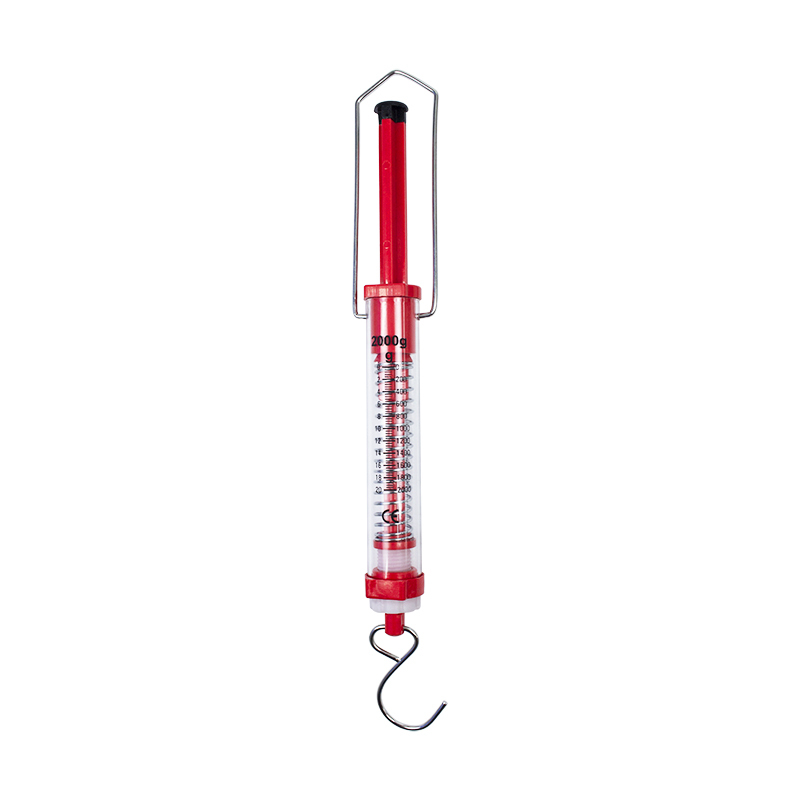 Use this product for physics experiments and demonstrations involving density and volume. 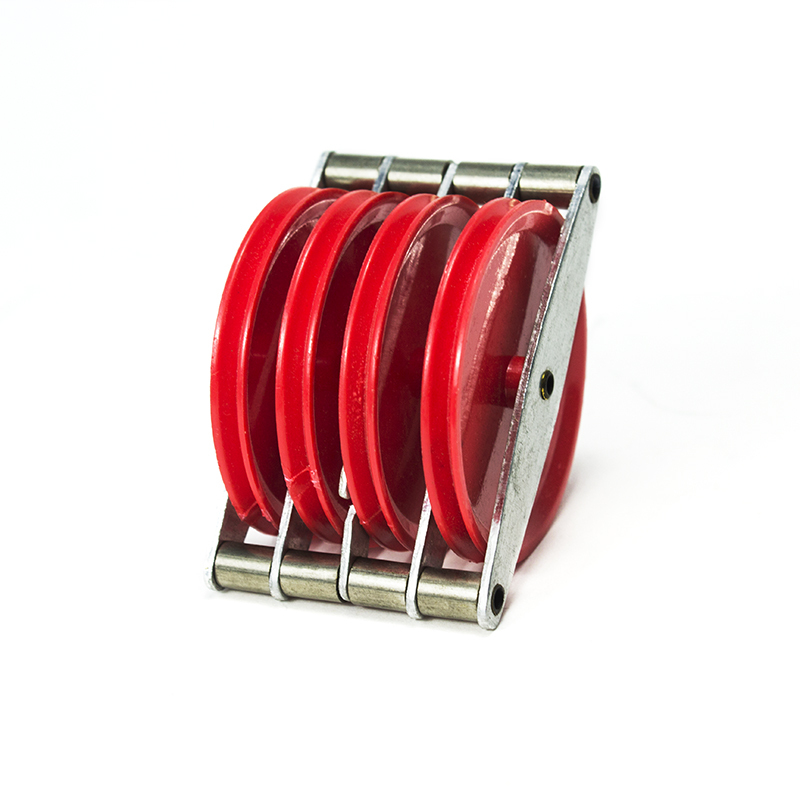 This Single Plastic Pulley is made of rigid, colored plastic with deep V-grooves. It is balanced for free movement. 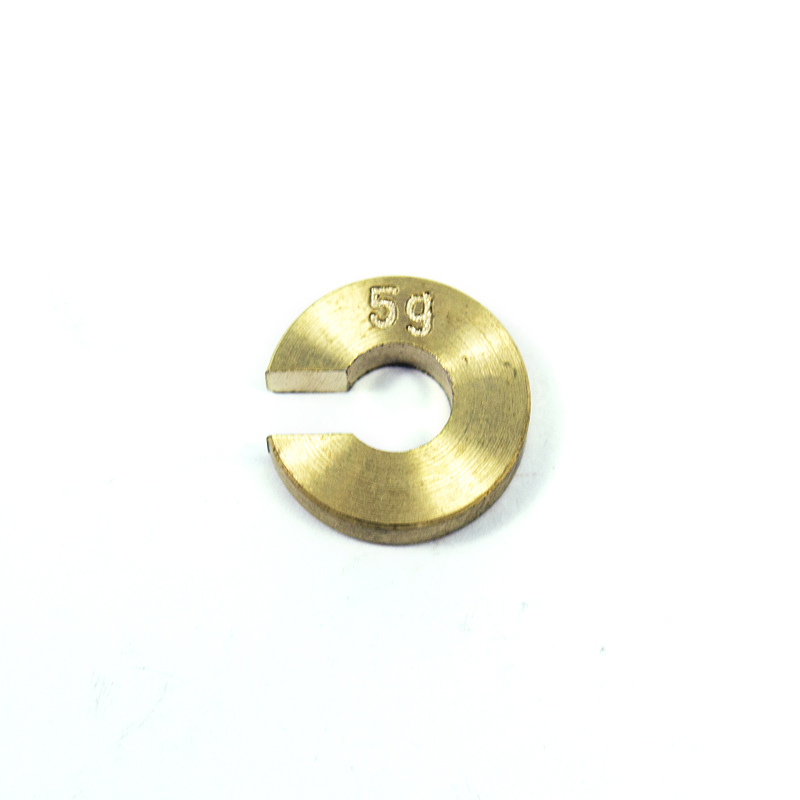 Each pulley is about 50 mm in Dia. and is mounted in parallel mode on an aluminum strip with hooks at both ends. 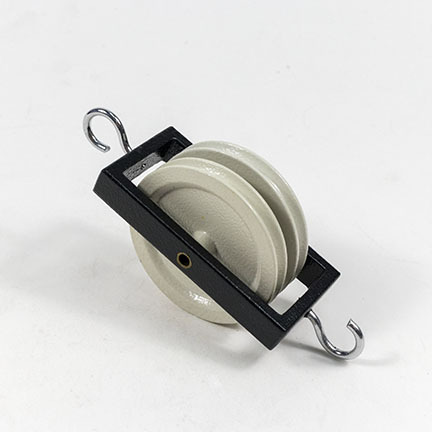 This Double Plastic Pulley is made of rigid, colored plastic with deep V-grooves. It is balanced for free movement. 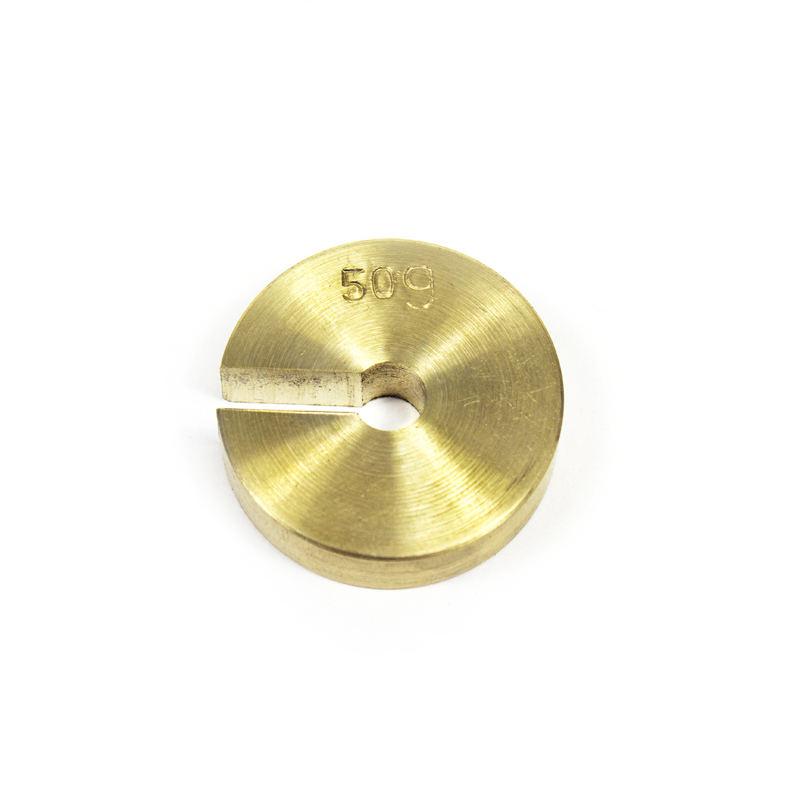 Each pulley is about 50 mm in Dia. and is mounted in parallel mode on an aluminum strip with hooks at both ends. 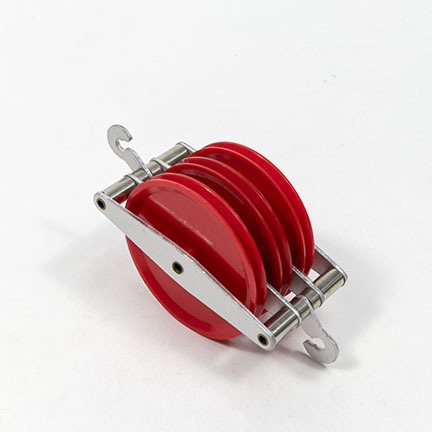 These pulleys are made of rigid, colored plastic with deep v-shaped grooves. 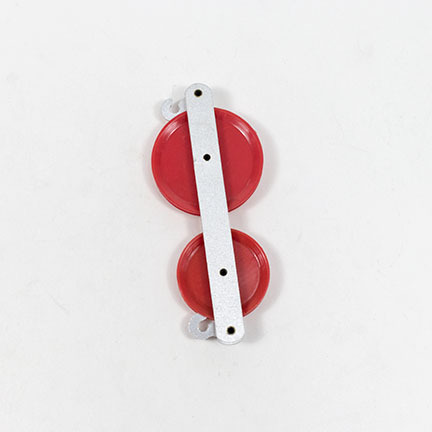 They’re balanced for free movement and mounted in parallel mode on aluminum strips. 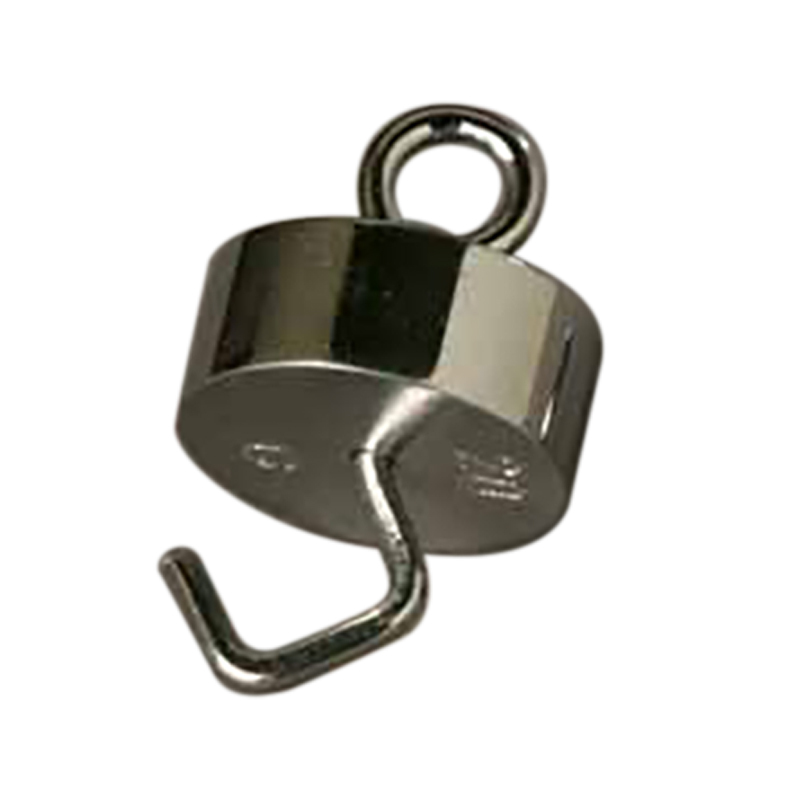 Hooks can be found at both ends of each pulley. 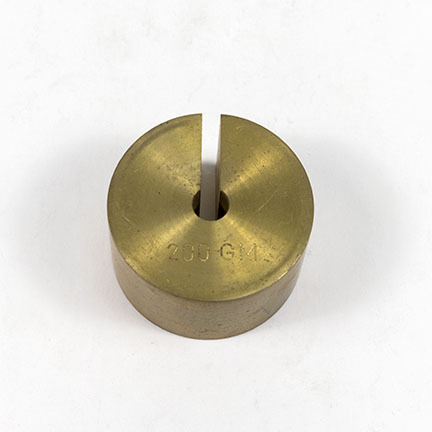 This item is a spare pulley for the force table (Item #3462-00). 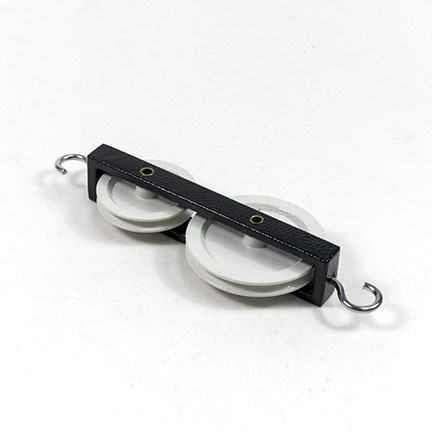 This pulley is best used for lab experiments involving inclined planes. 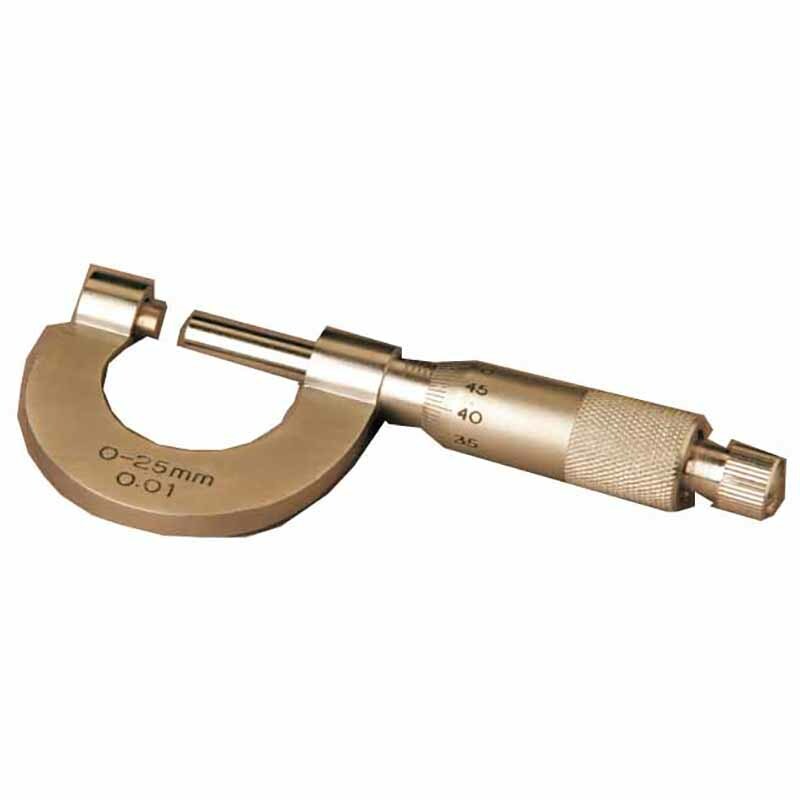 Use these calipers for measurement of small outside diameters, thicknesses, etc. 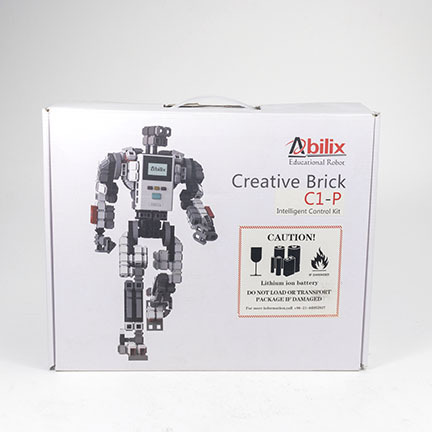 They are ideal for educational use in engineering and technical schools. 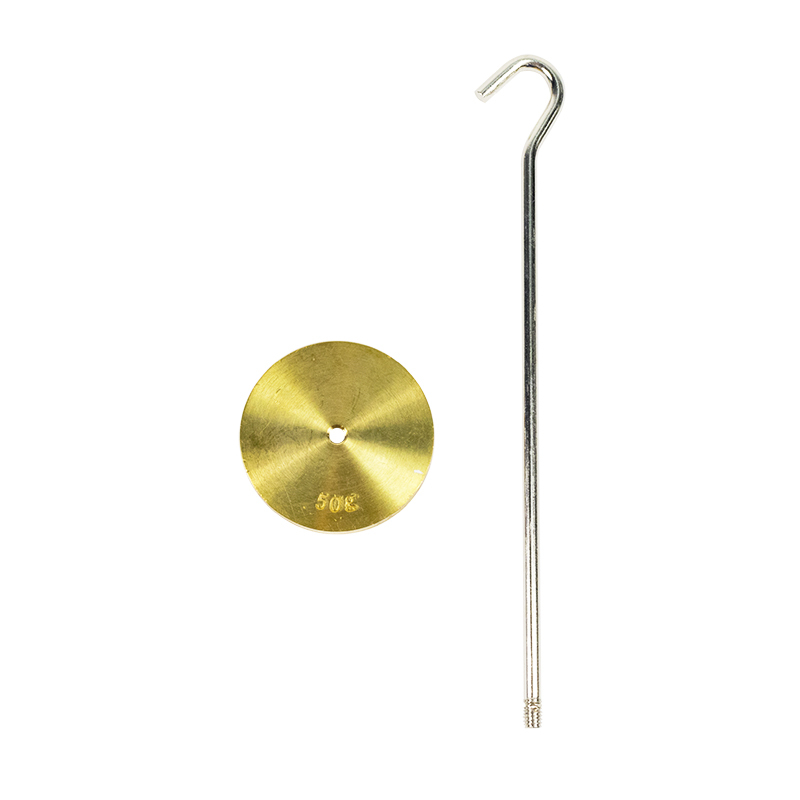 The frame has a solid brass body with a chrome satin finish and a hardened steel screw. 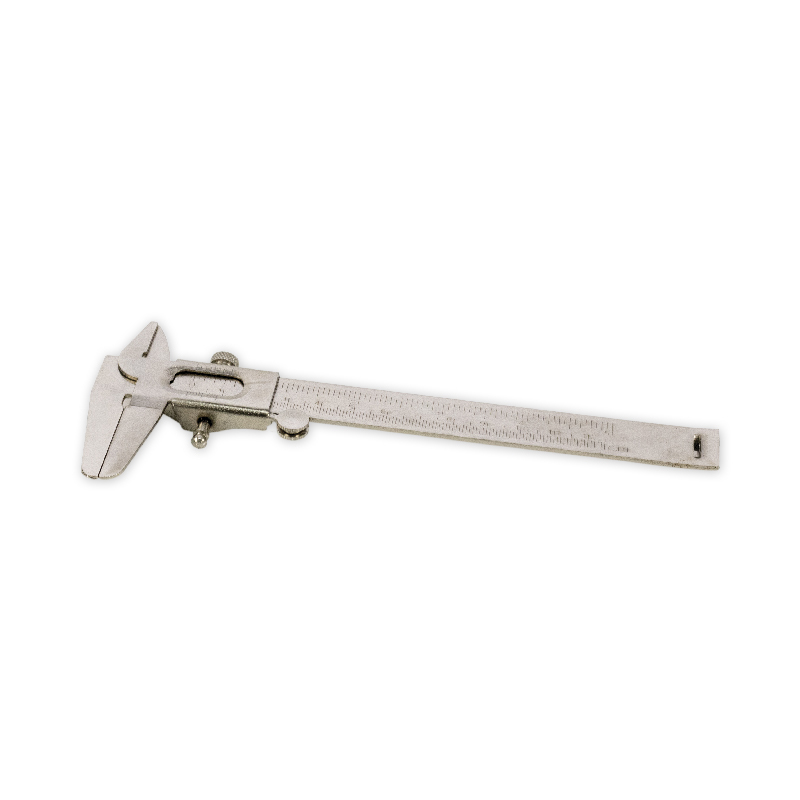 The calipers are provided with a ratchet and a locknut for accurate readings. 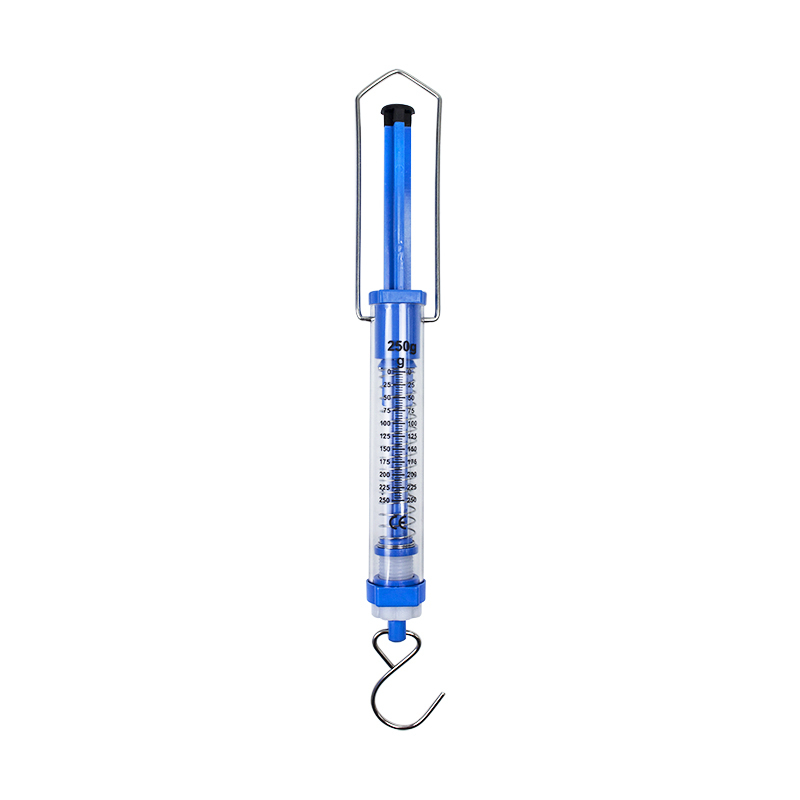 What is Hooke’s Law? It’s a physics principle that states that the force needed to extend or compress a spring by some distance is proportionate to that distance. 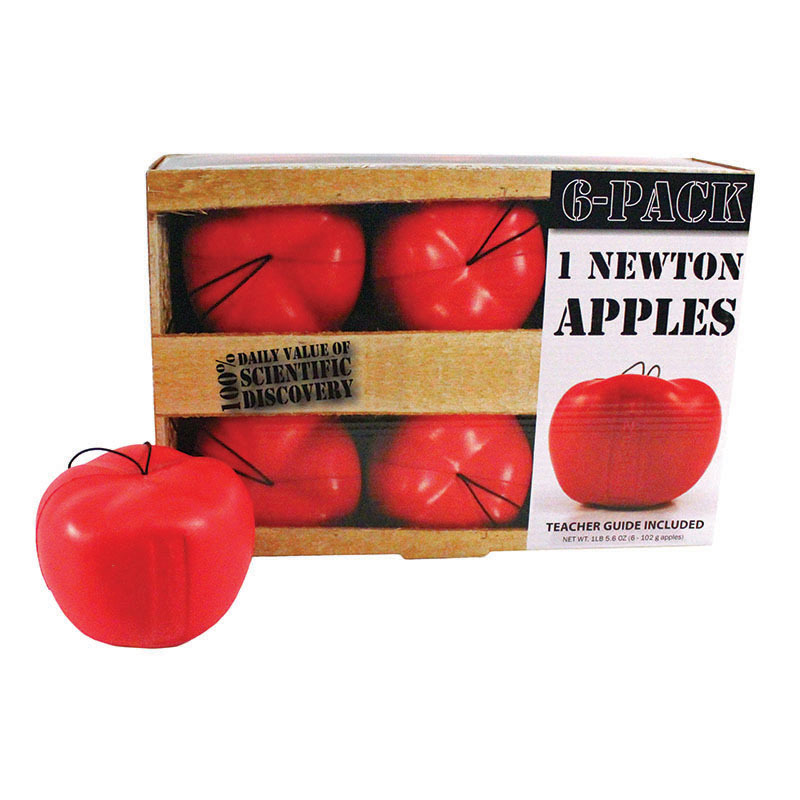 Use this product to demonstrate this principle and develop classroom discussions about physics. 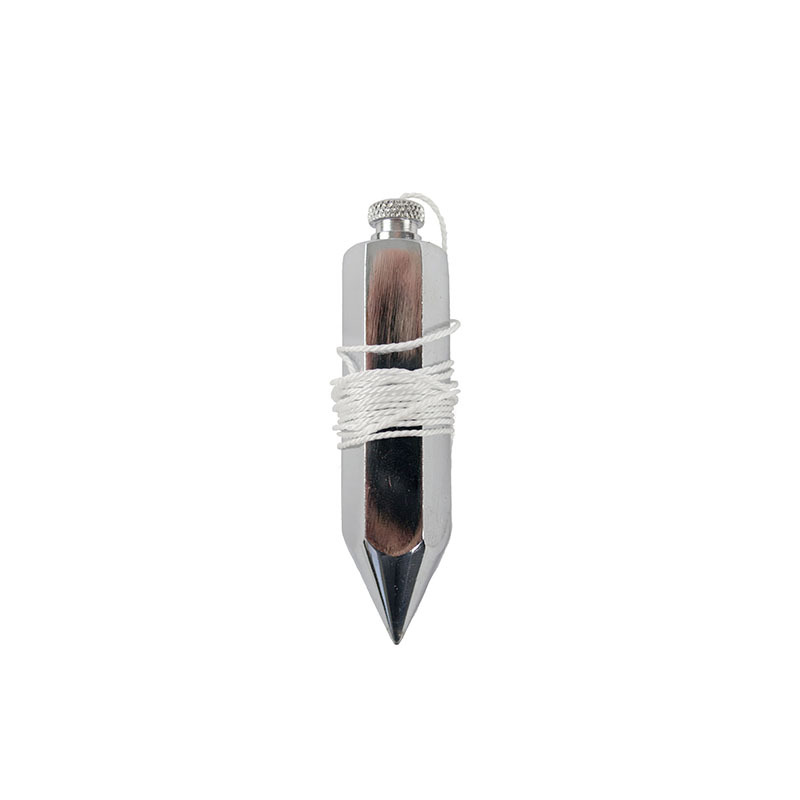 This Plumb Bob is made from a hexagonal steel rod by carefully machine turning to a sharpened point. 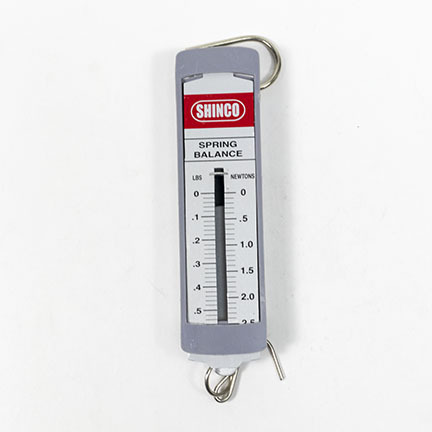 Use it for determining center of gravity. It is a simple but useful tool in the classroom. 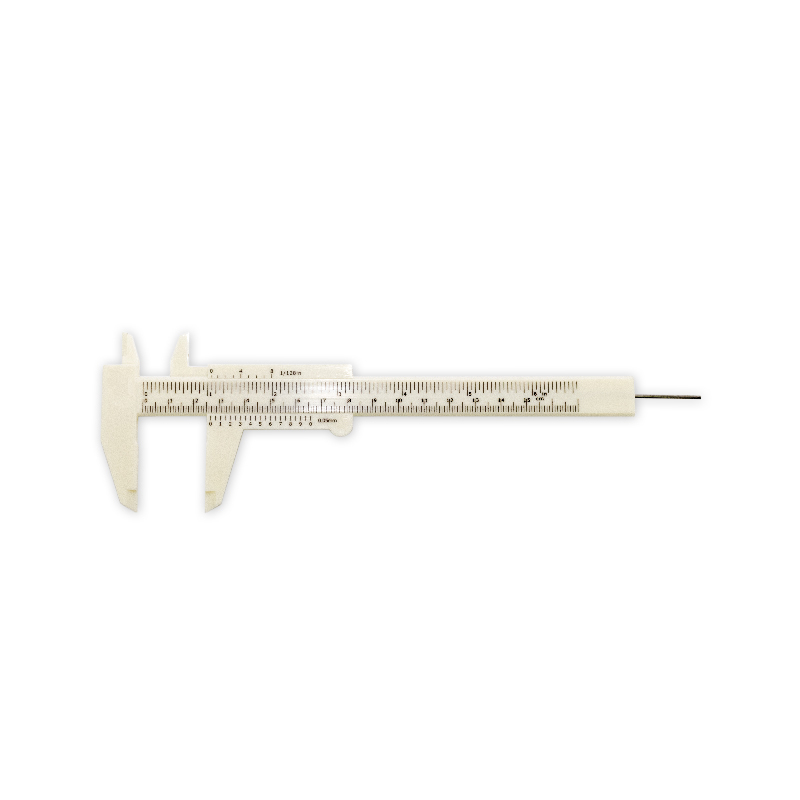 Use these calipers for inside and outside measurement in metric or English units. 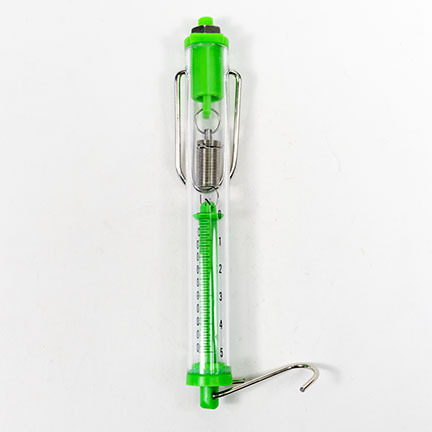 They are optimal for learning precision measurement techniques by using the Vernier principle. 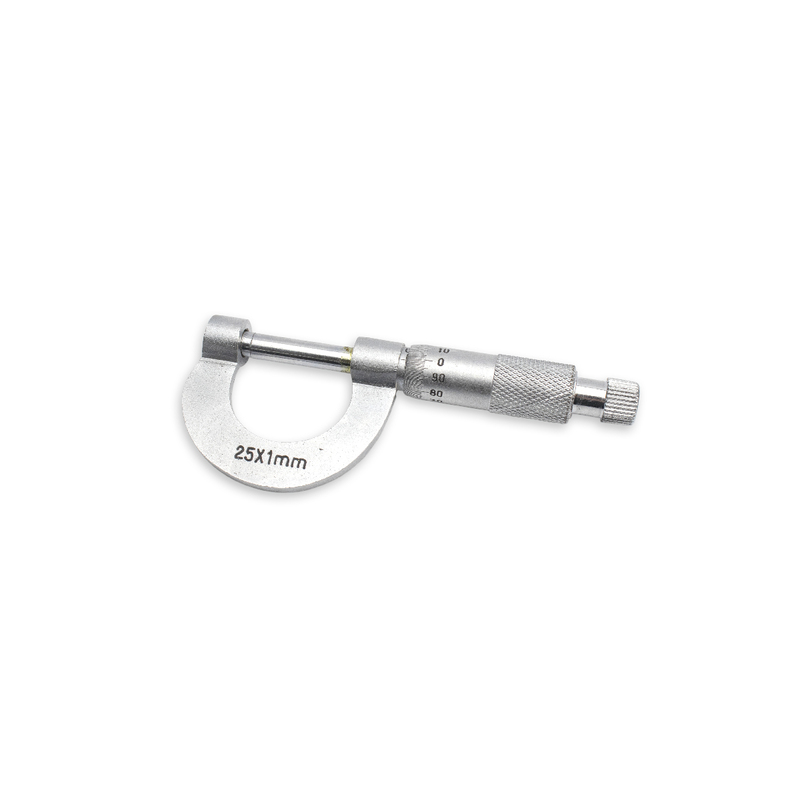 The calipers have a metric scale that is graduated up to 125 mm in 1 mm divisions. 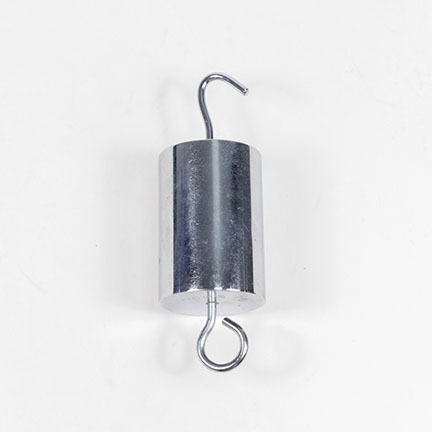 Use this cast iron cylindrical mass with hook for general science and physics laboratory work. It is convenient for demonstrations. 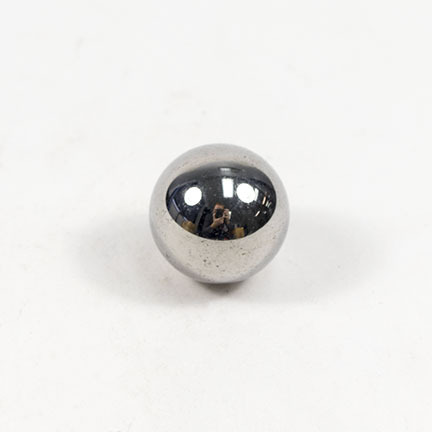 The weight has a black enameled finish. 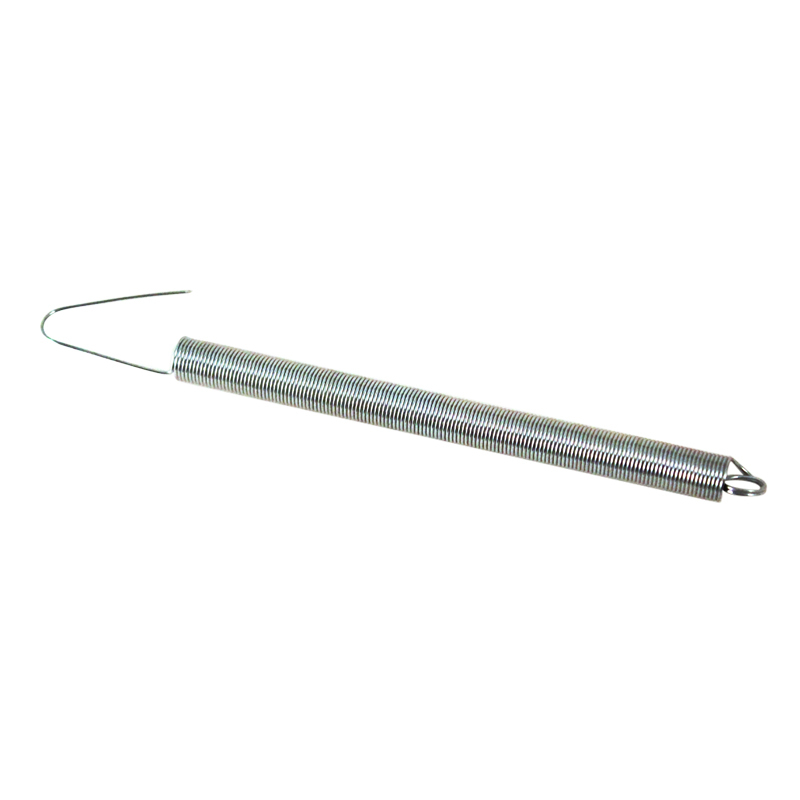 This hanger has a top hook and a precise weight of 50 g that makes it ideal for use with slotted weights. 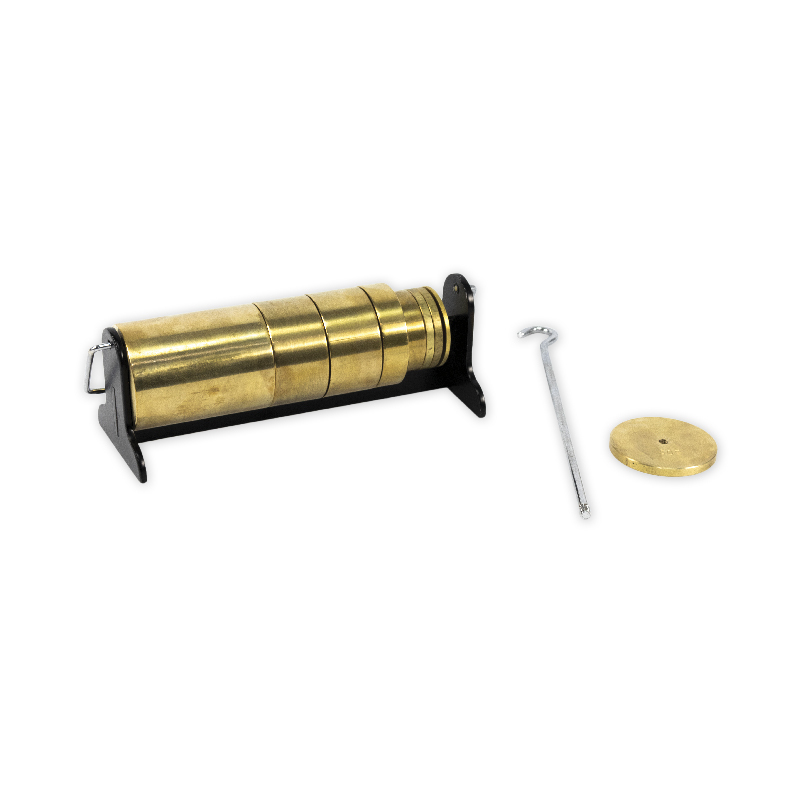 This cast-iron mass works exceptionally well in general science and physics laboratory work. 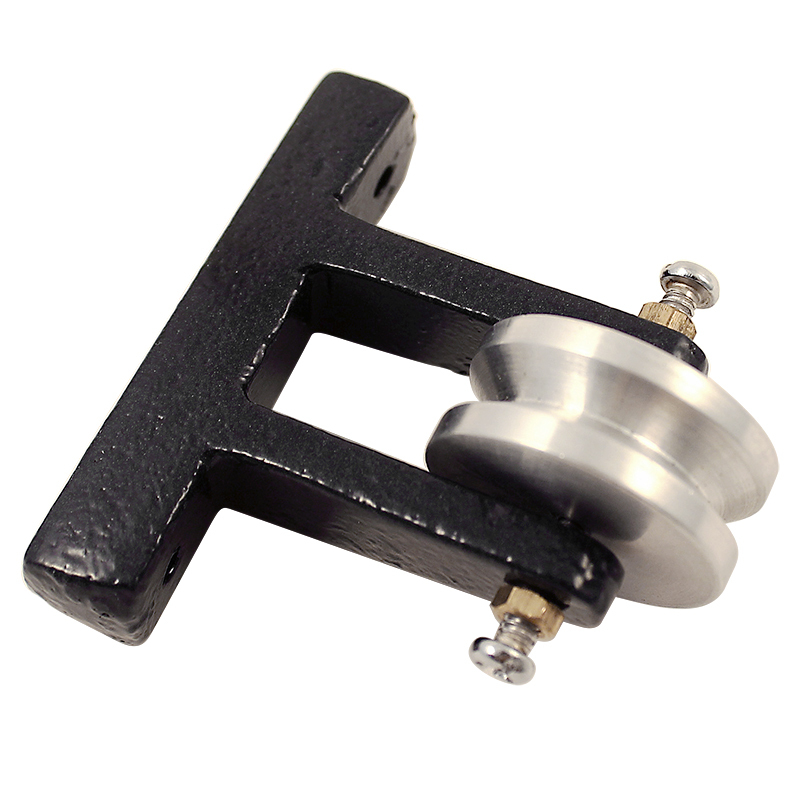 This balance is made of high-quality aluminum alloy and stainless steel. It is strong, durable, and economical. 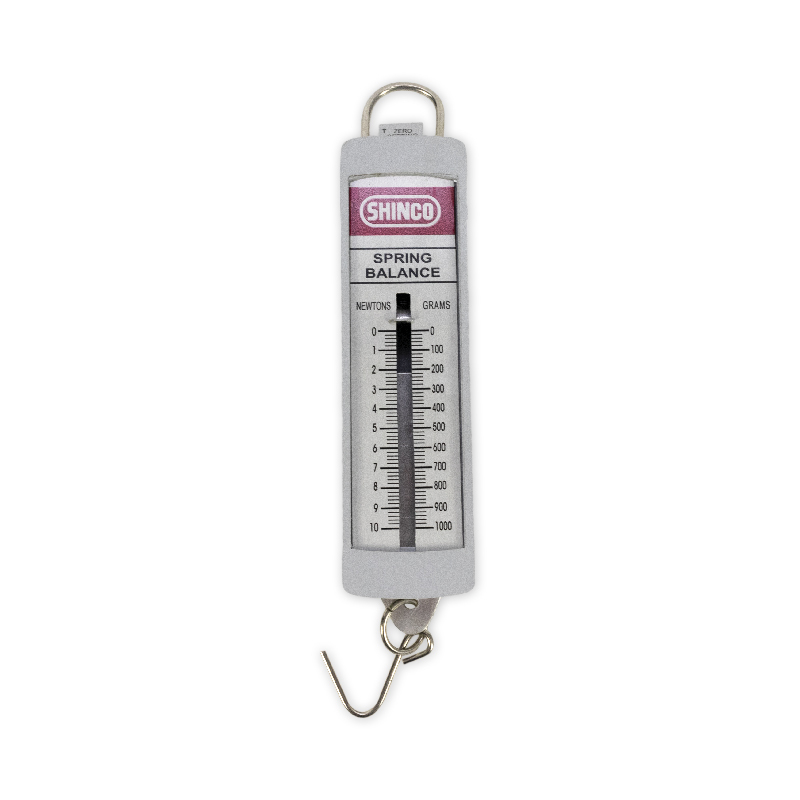 The balance is ideal for use in labs. • Platform: 15.2 cm Dia. 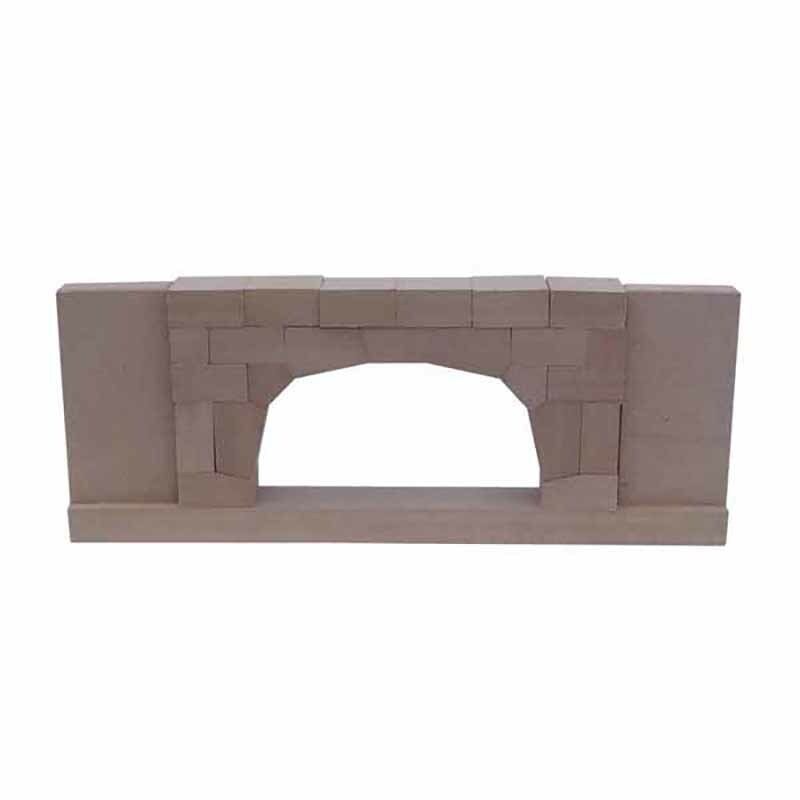 Track for Air Track Apparatus (Item #AR-700). 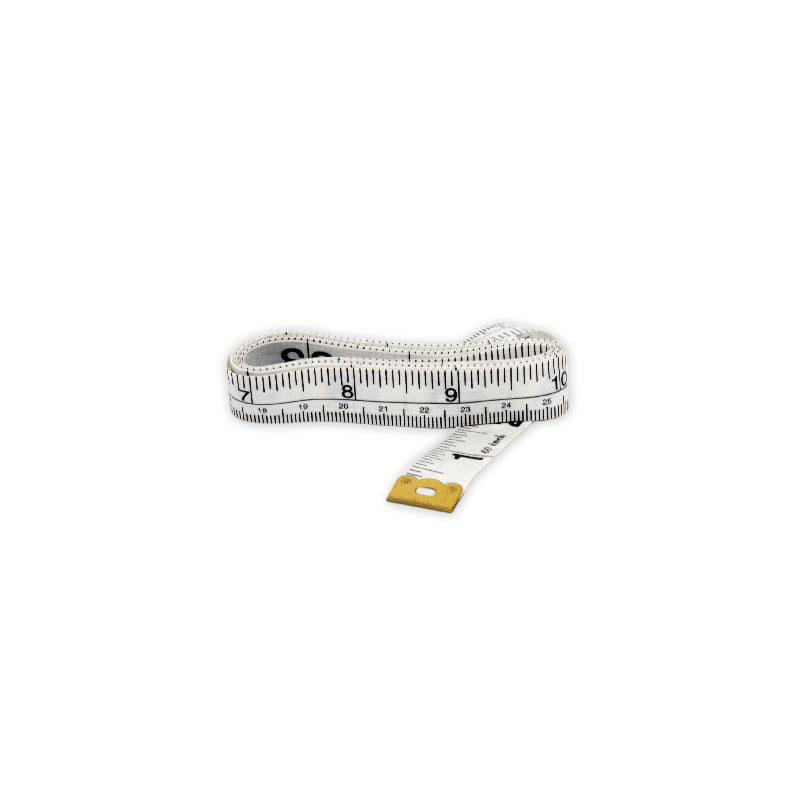 Use this product to weigh suspended objects or measure the force of pushing or pulling an object. 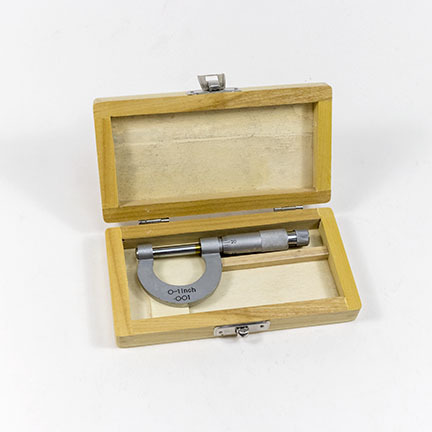 This scale is a useful tool in laboratories, as it is designed to measure both mass and force. 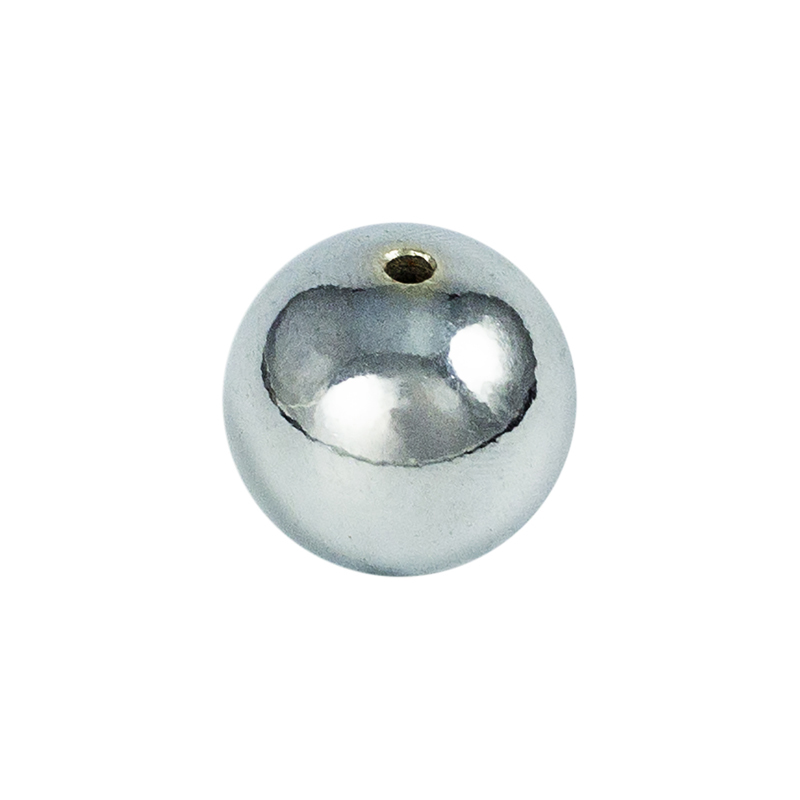 • 0.5″ (12 mm) Dia. 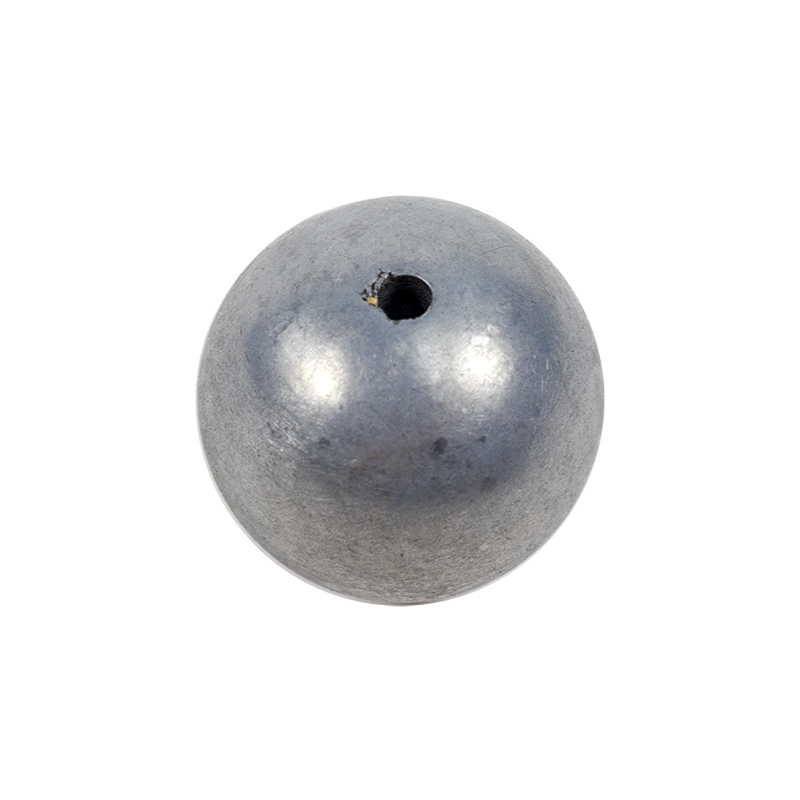 • 0.75″ (19 mm) Dia. 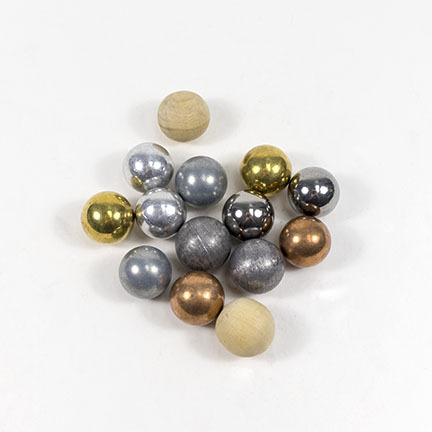 These colliding steel spheres will help demonstrate the Law of Conservation of Energy, and show students how mechanical systems convert energy to heat. 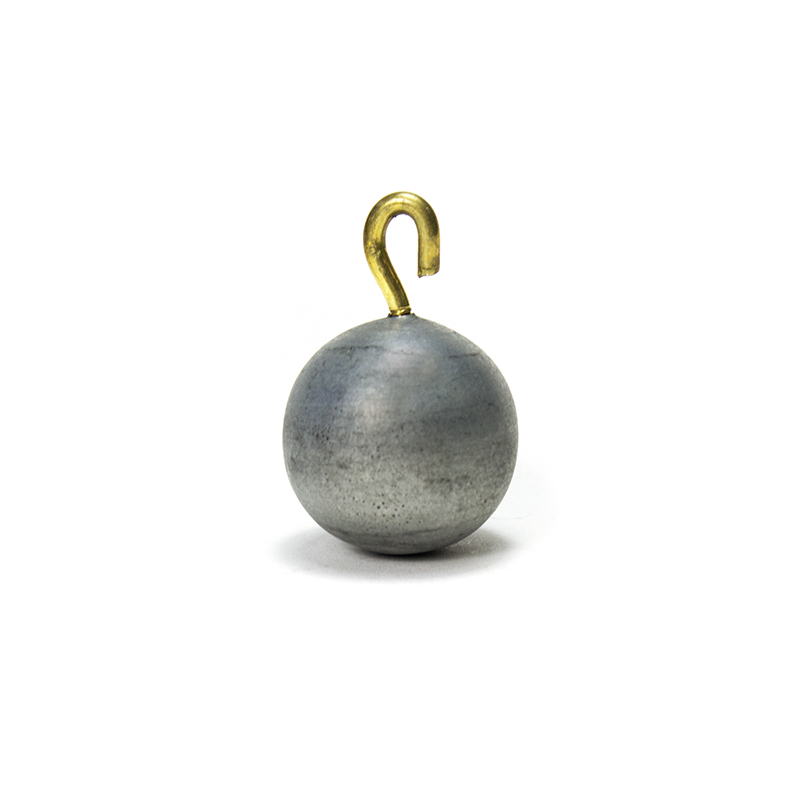 When objects collide, the kinetic energy transforms into sound, heat, and kinetic energy in the opposing direction. 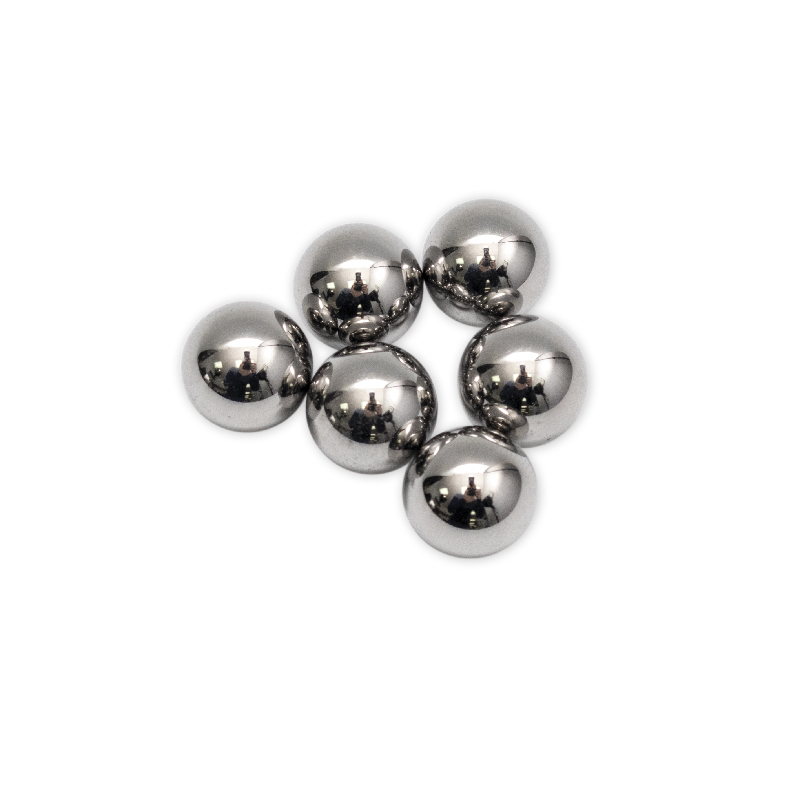 These steel spheres are a fantastic way to show kids how energy “loss” is actually energy being released as heat! 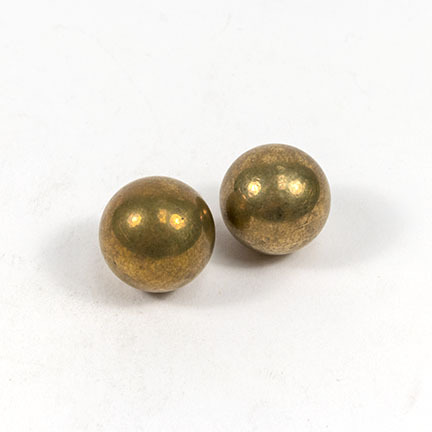 When these two (2) 0.5 lb steel spheres are smashed together, the kinetic energy transforms into enough heat to burn a hole through a piece of paper! 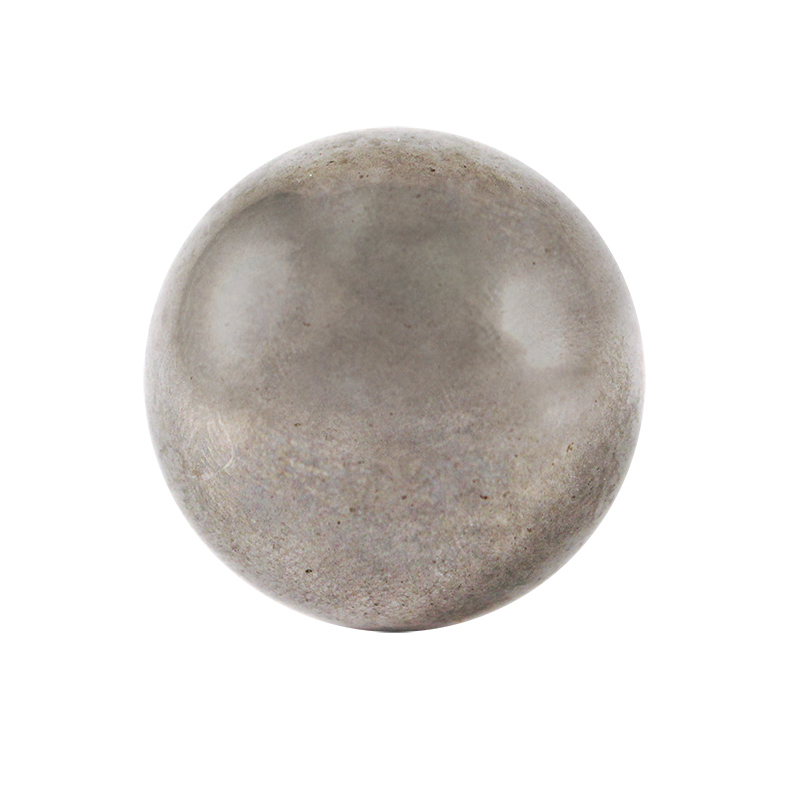 The spheres are an excellent way to demonstrate energy transformation! 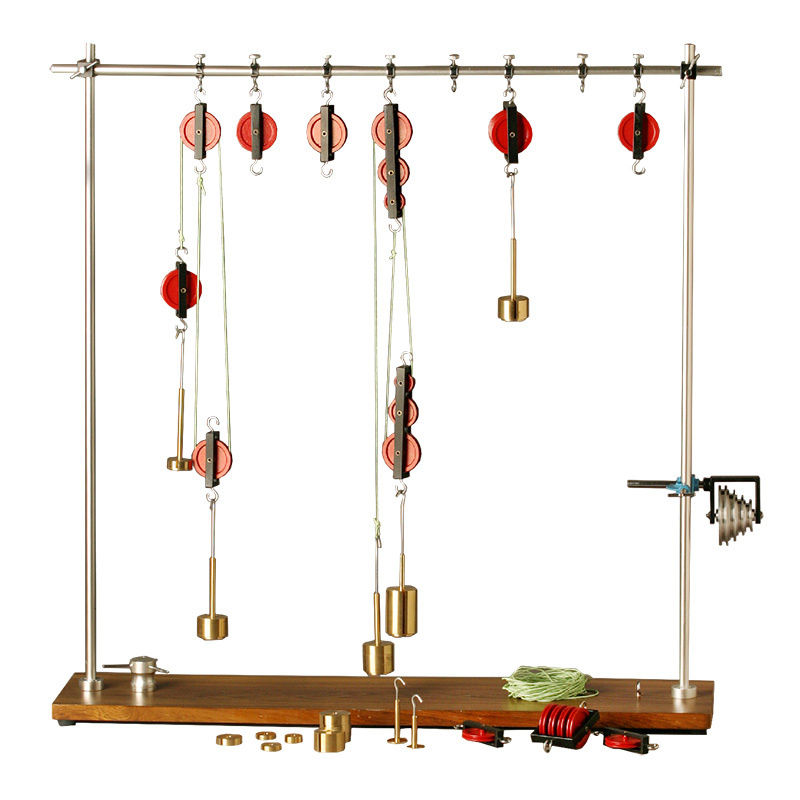 For physics experiments and demonstrations such as kinetic, density, and volume measurements, pendulum bob, potential energy and conservation experiments, ballistics, etc. 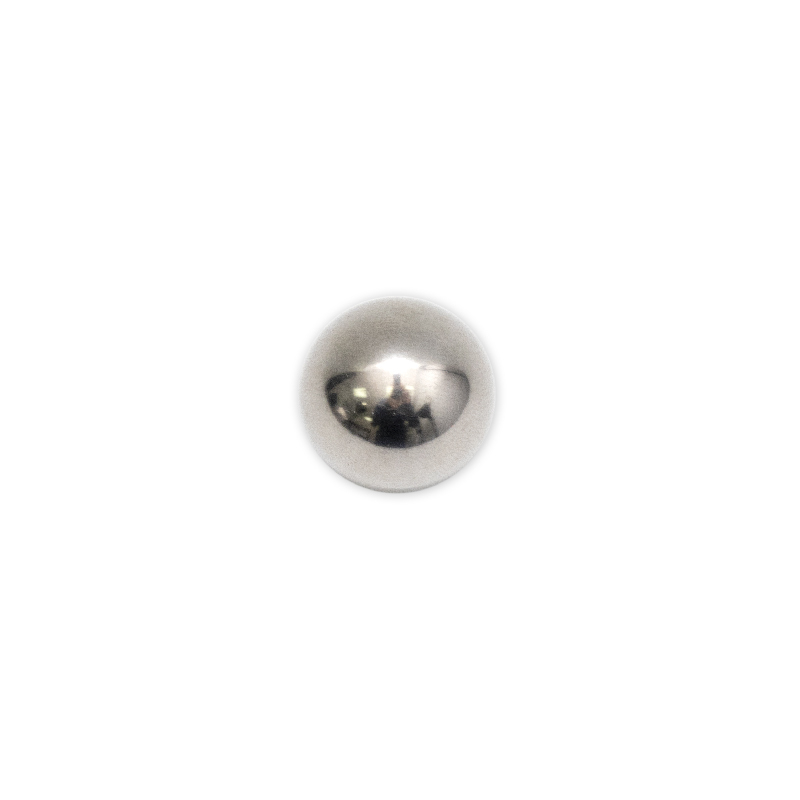 • 1.5″ (40 mm) Dia.